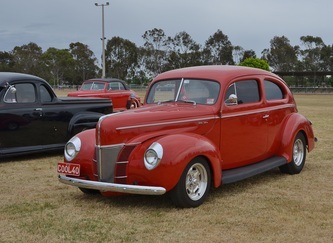 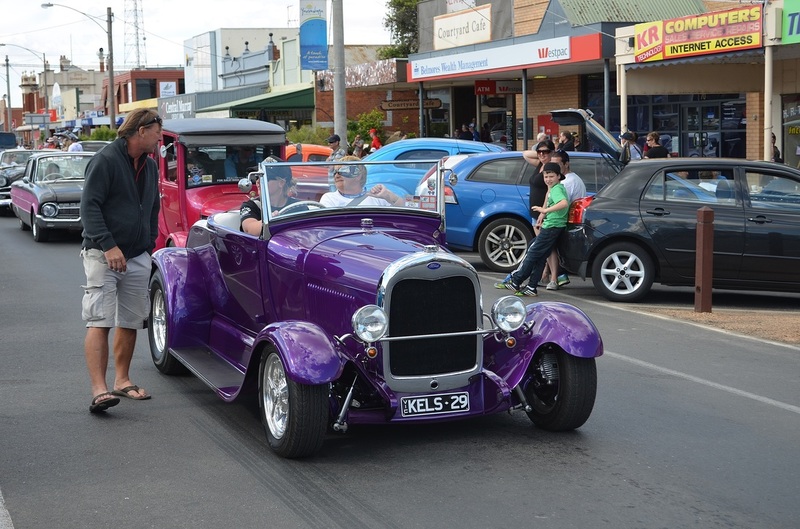 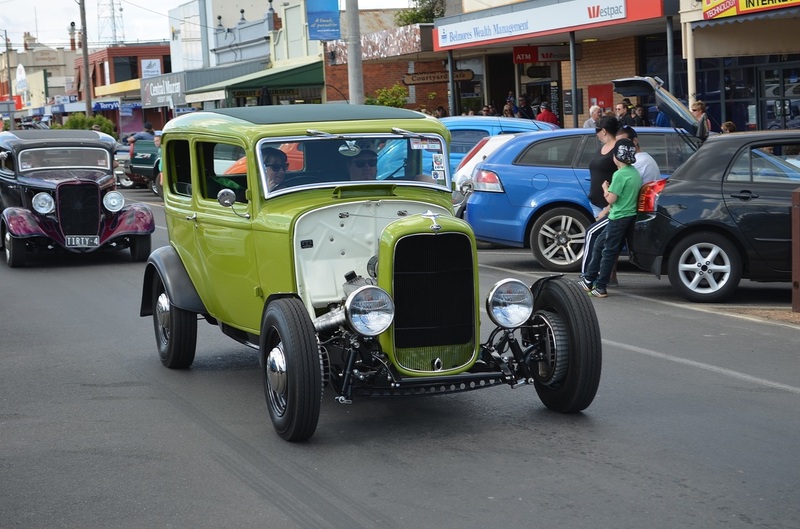 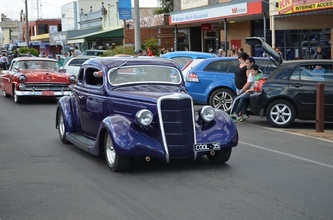 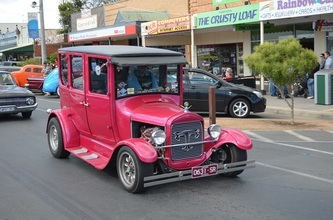 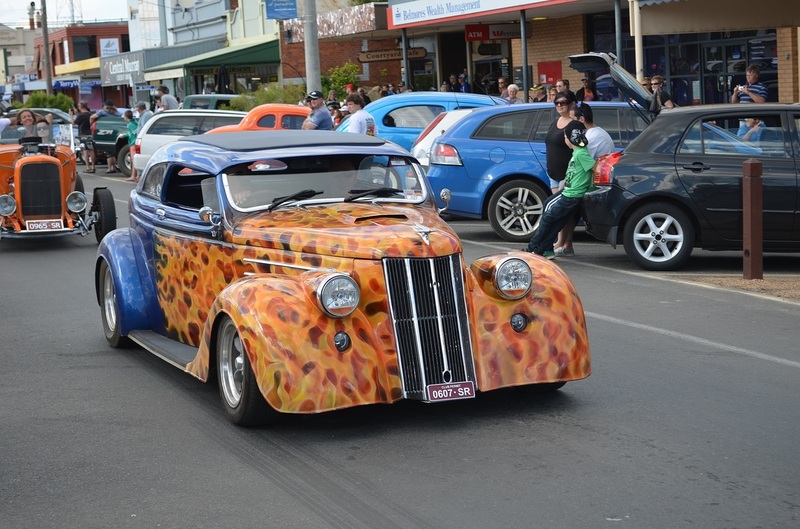 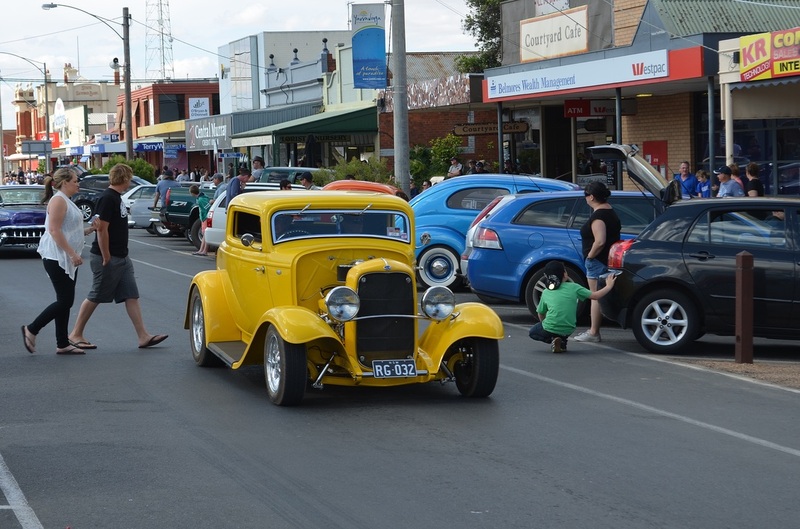 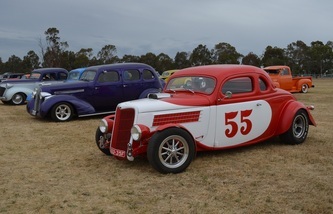 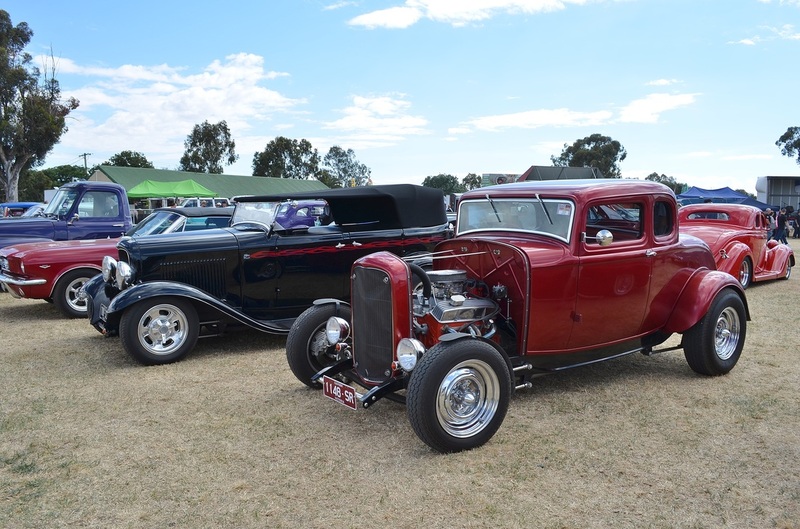 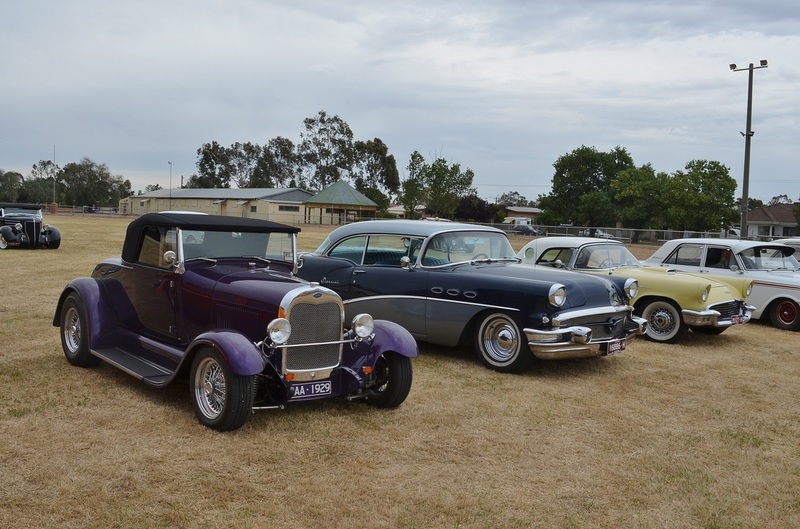 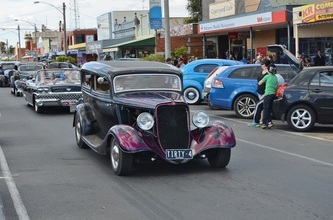 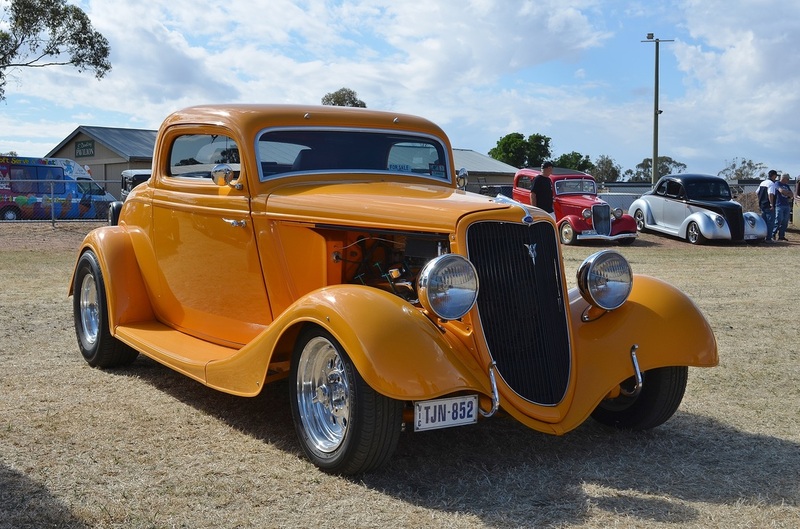 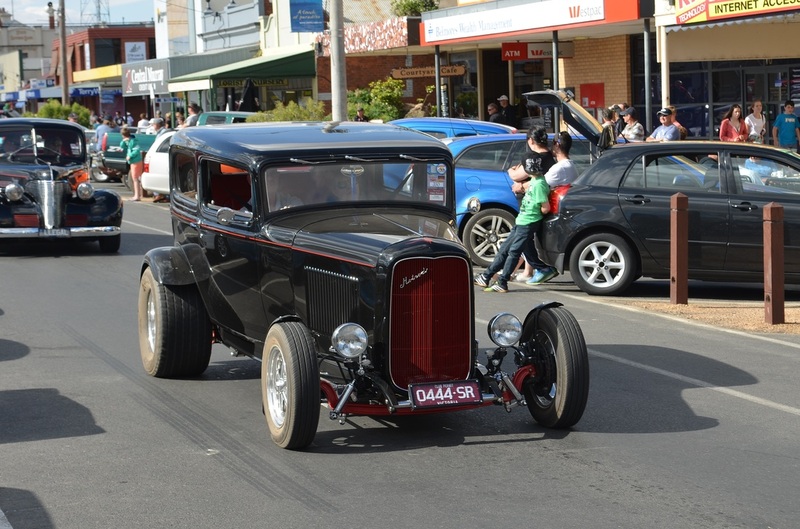 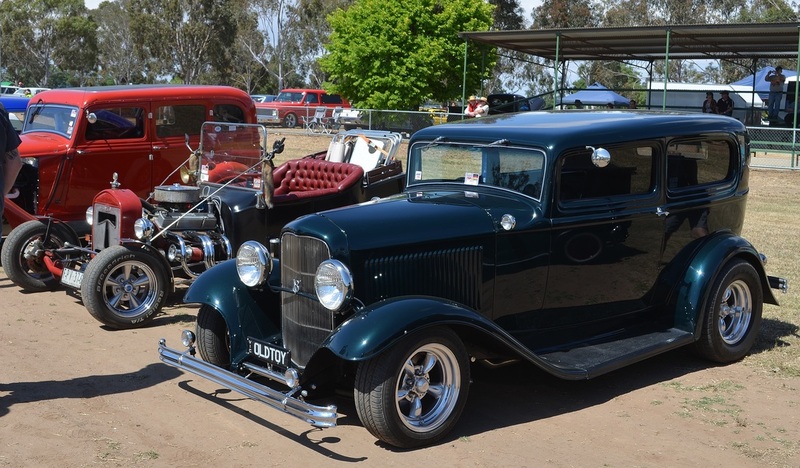 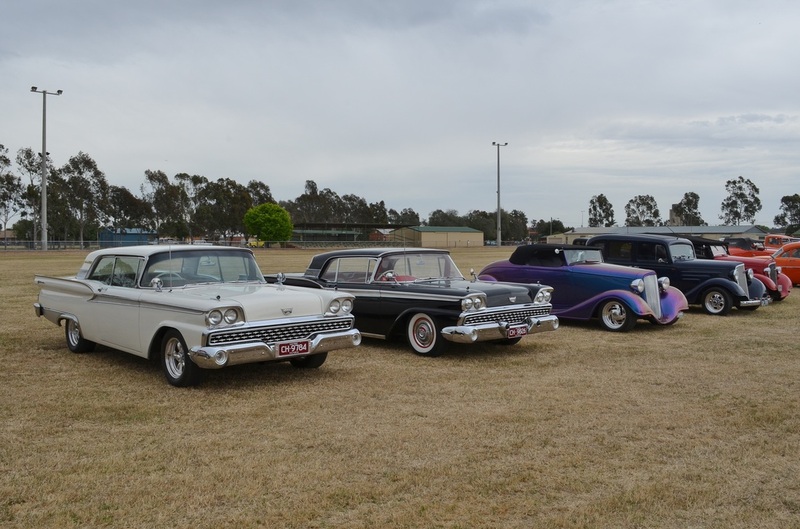 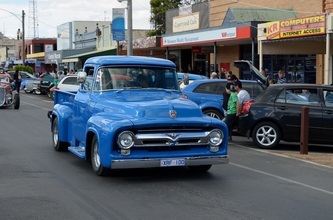 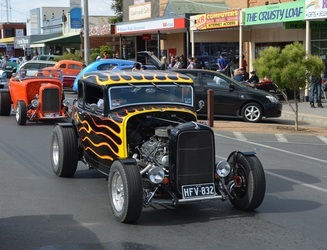 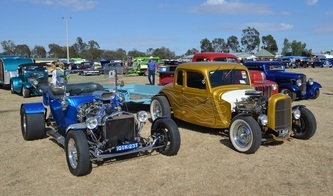 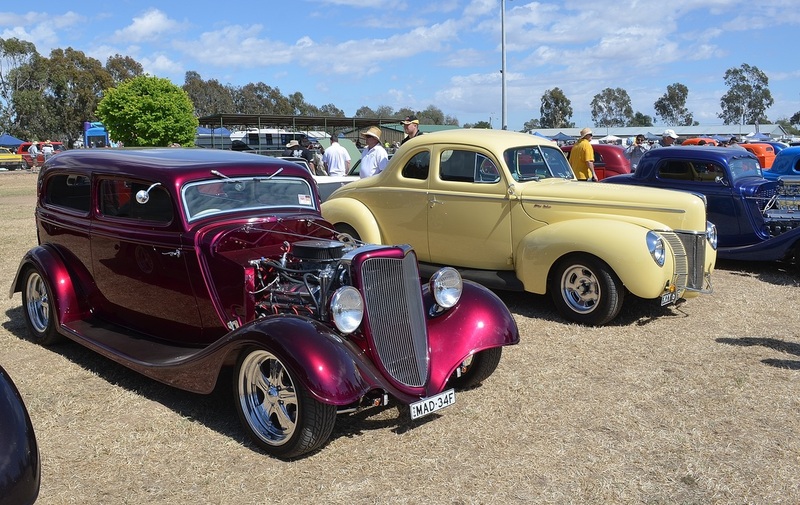 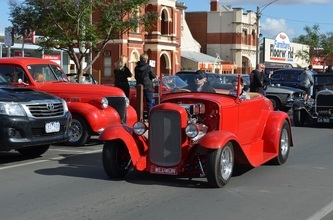 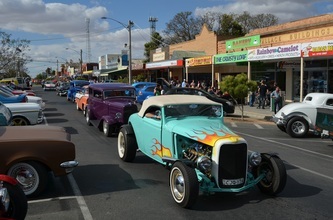 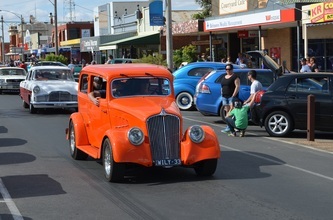 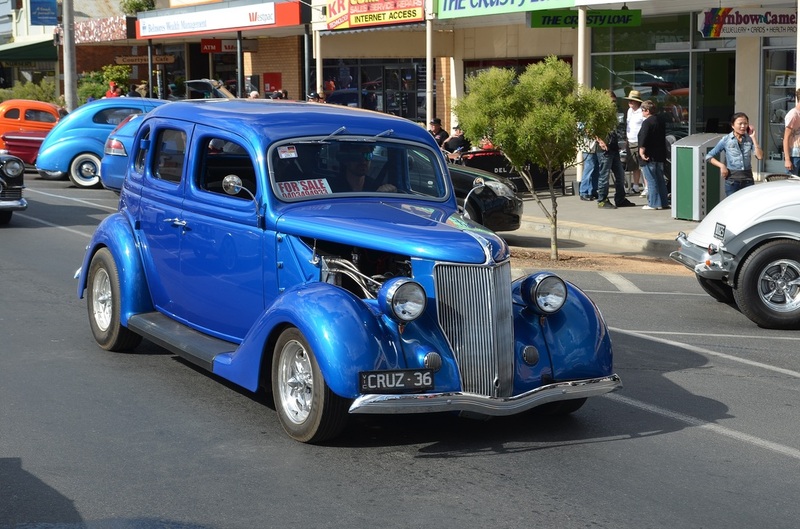 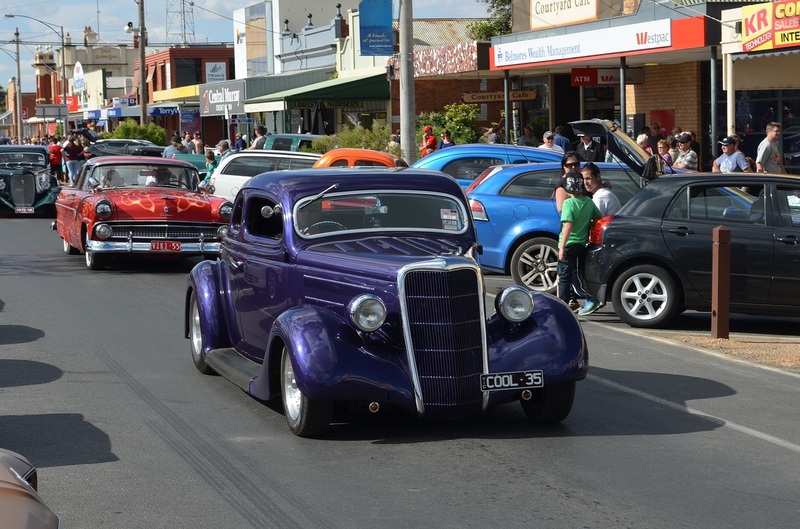 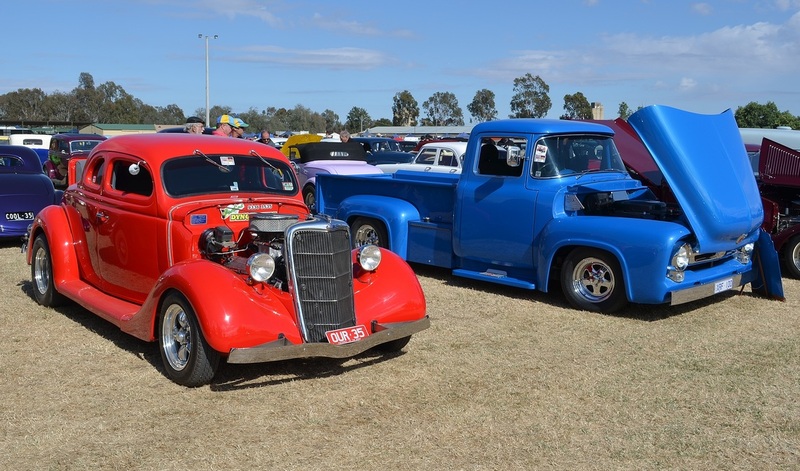 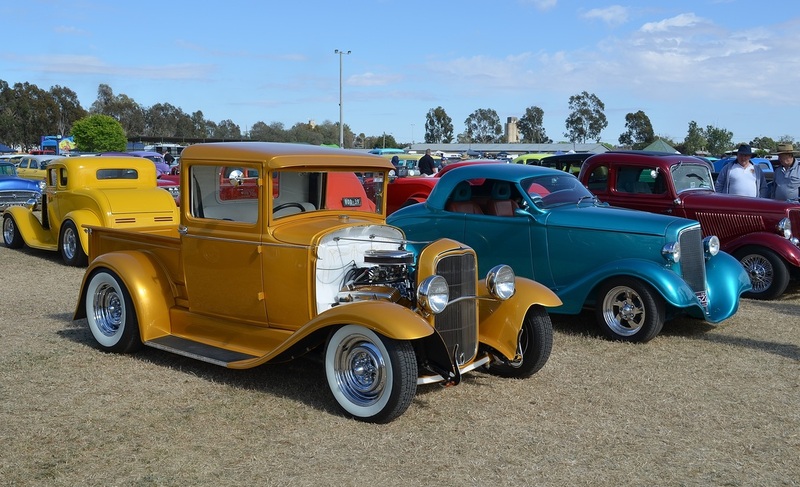 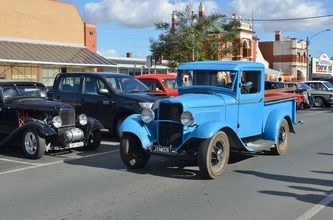 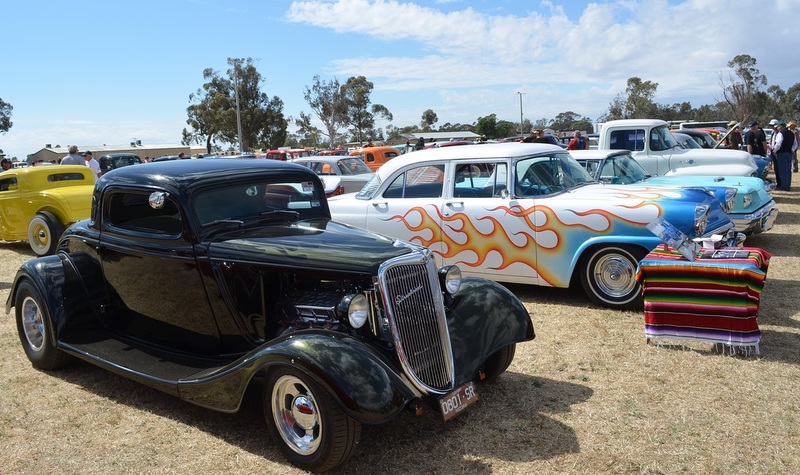 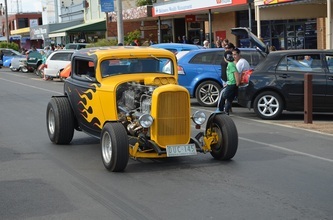 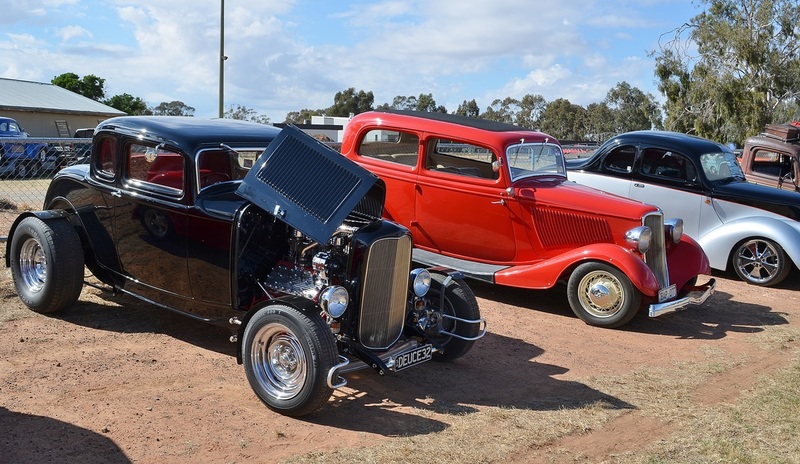 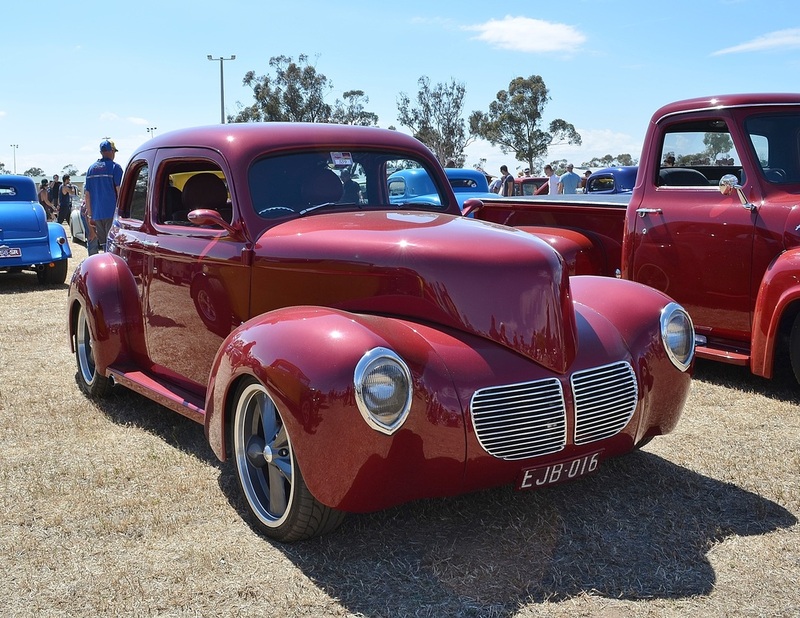 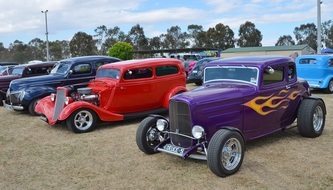 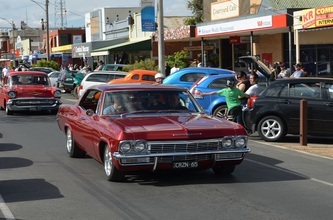 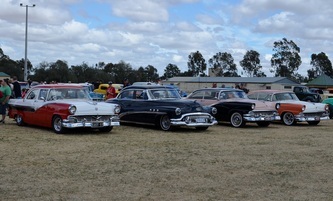 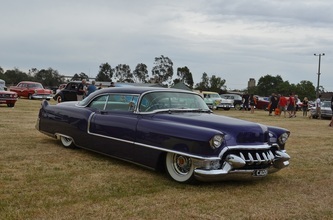 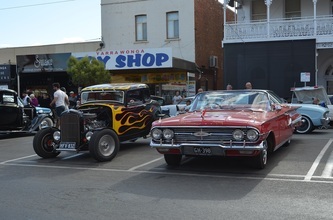 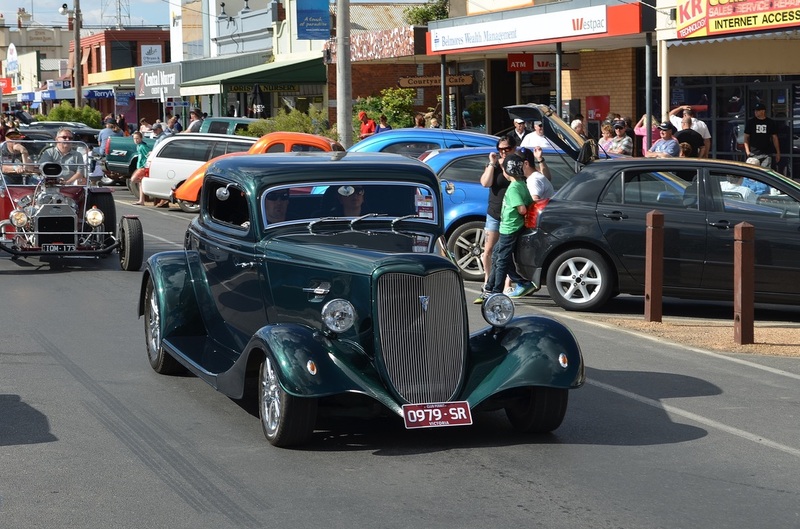 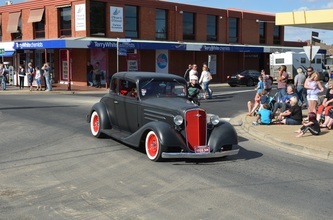 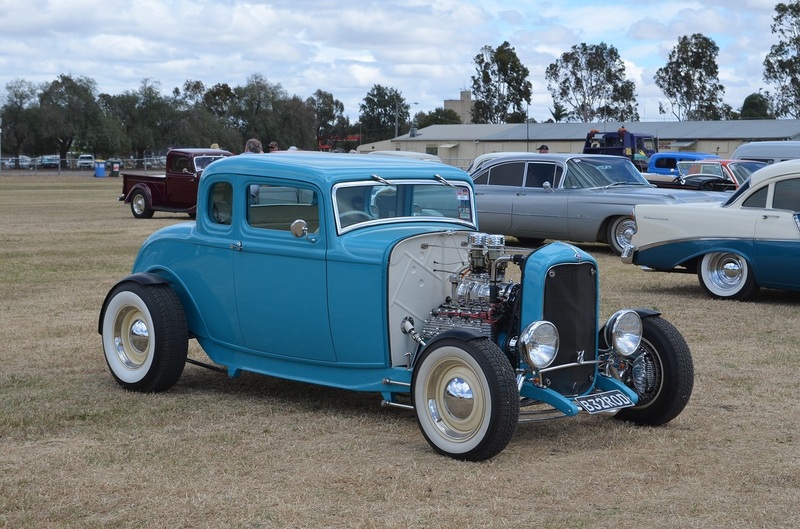 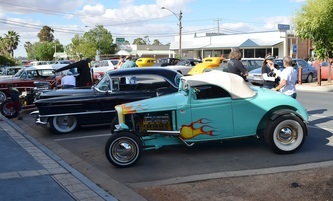 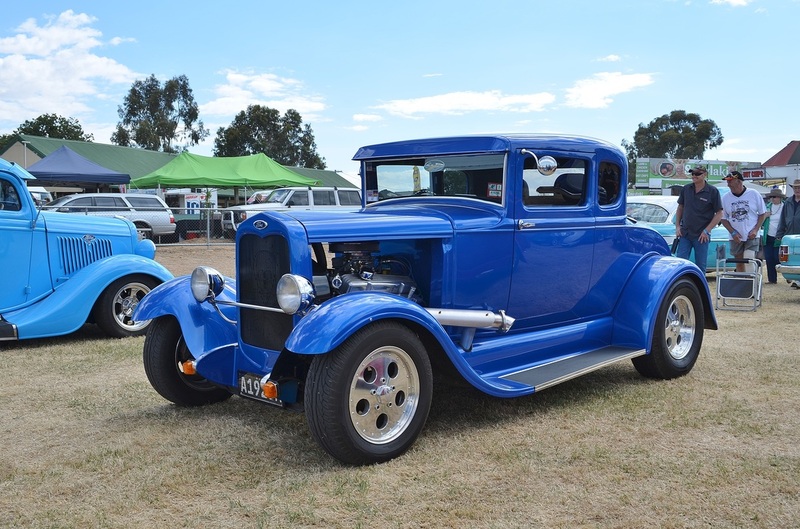 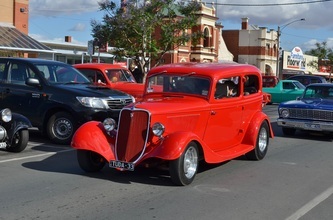 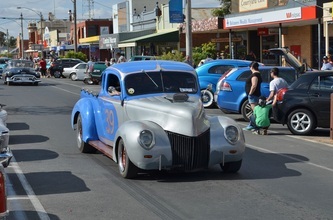 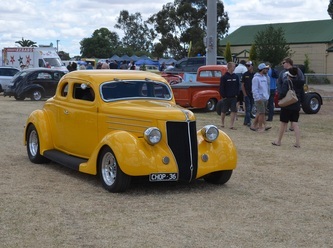 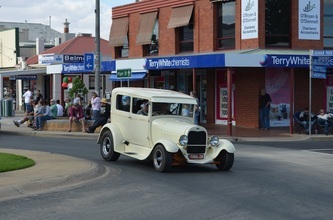 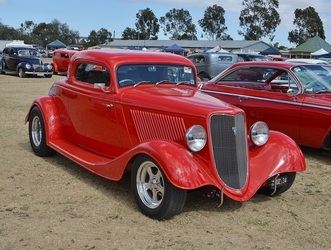 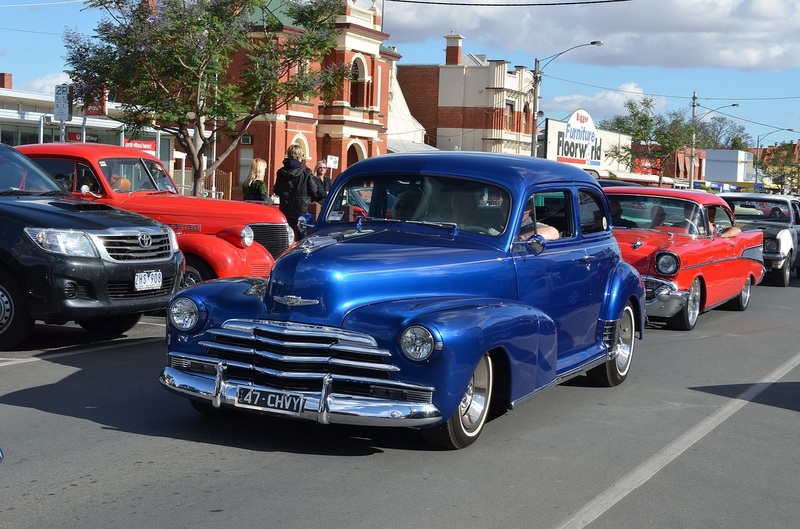 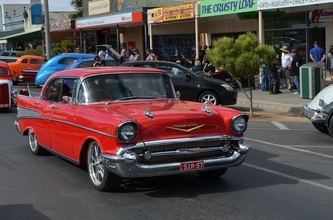 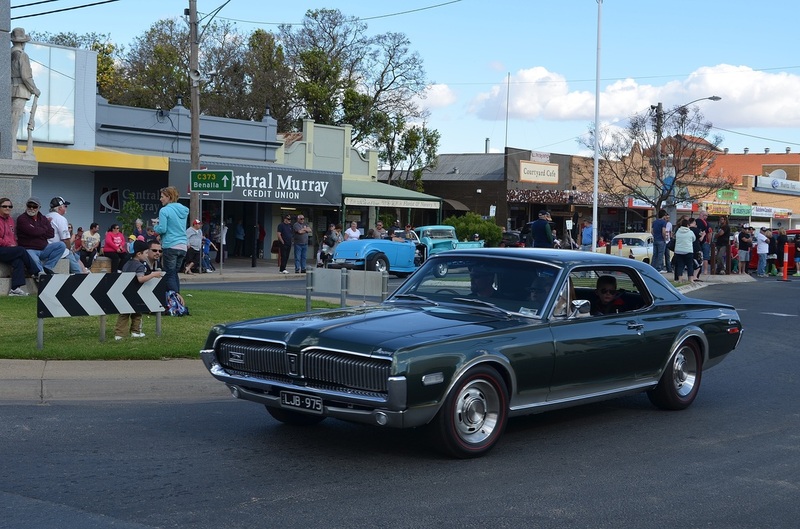 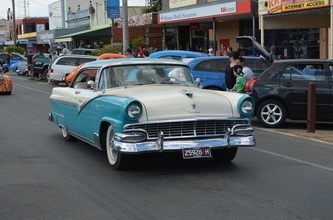 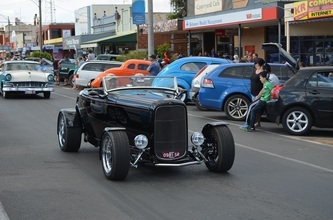 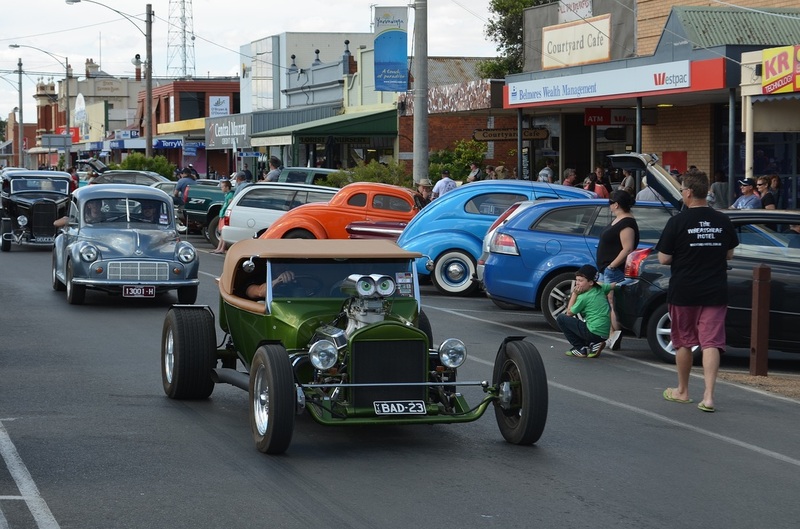 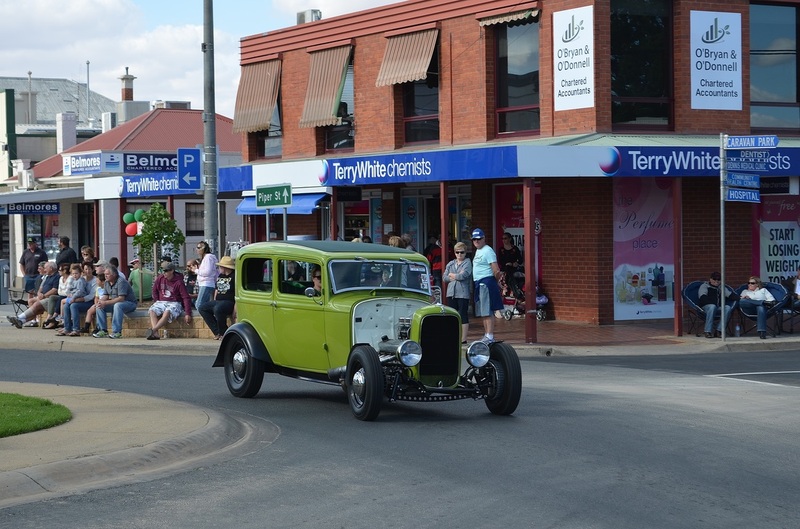 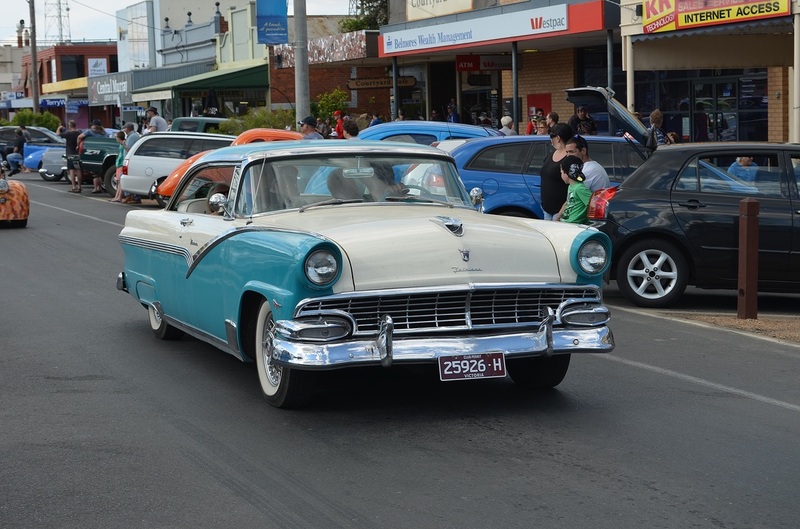 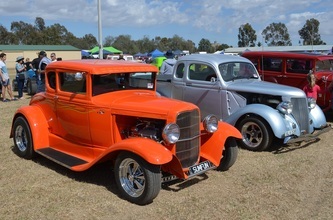 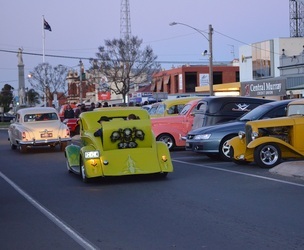 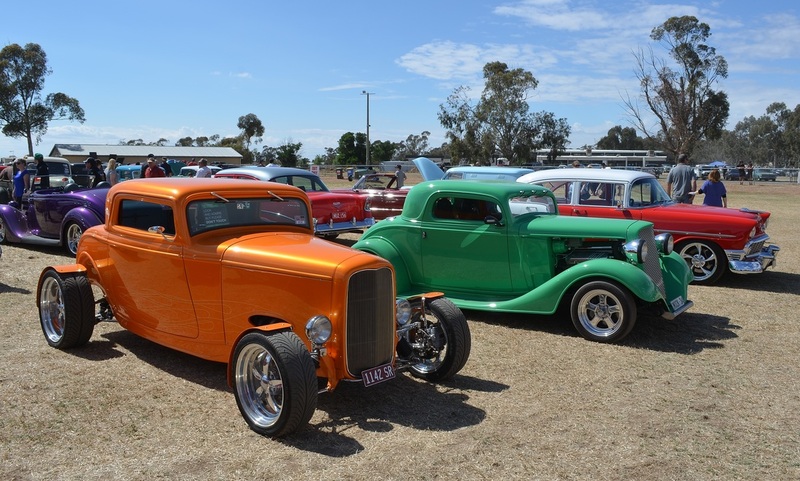 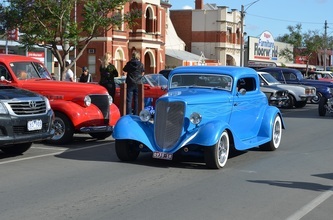 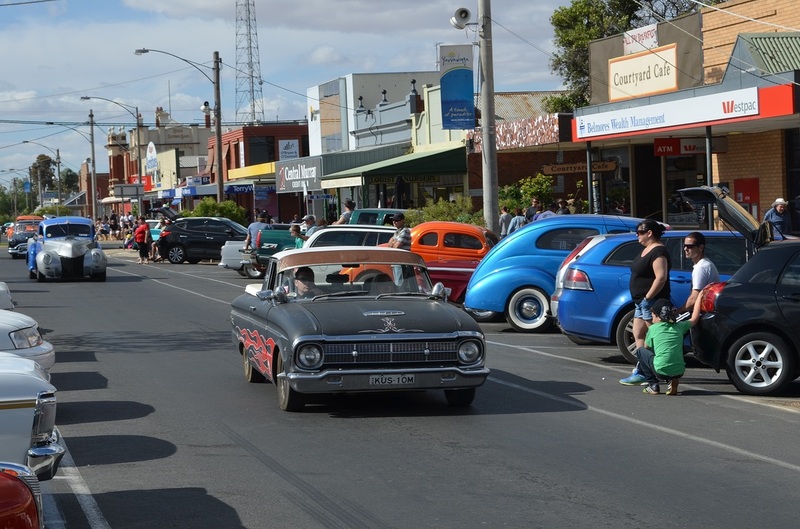 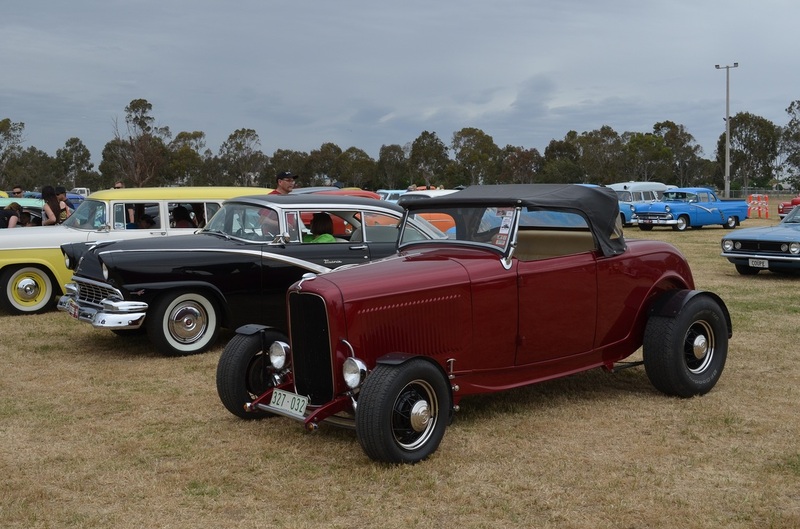 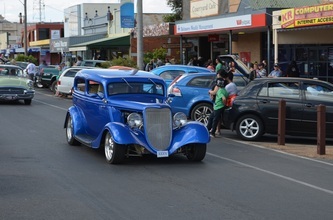 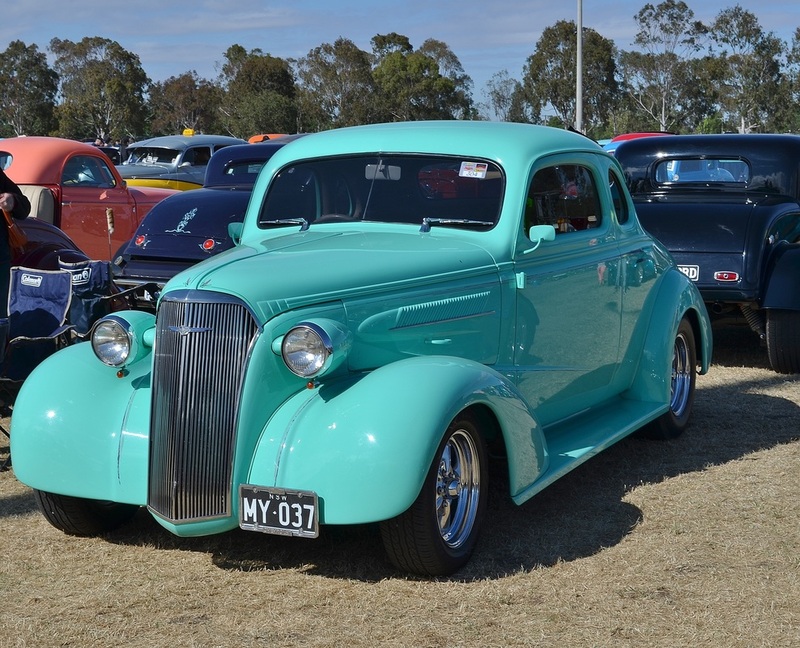 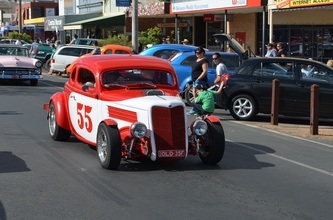 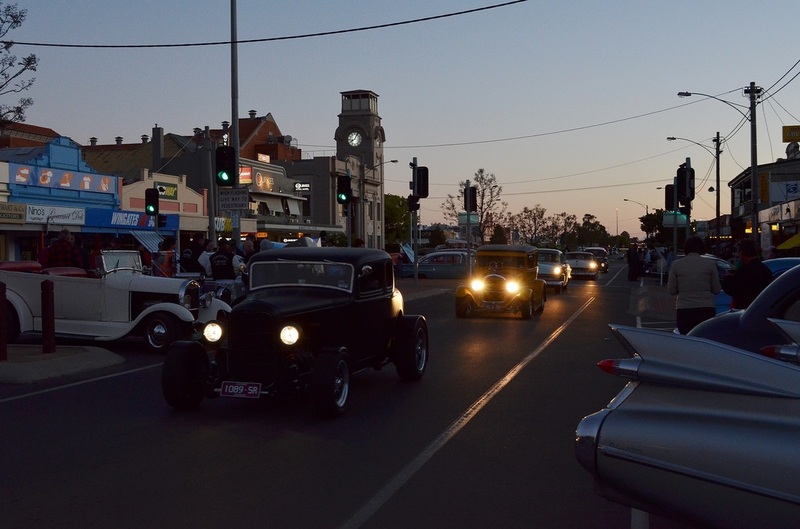 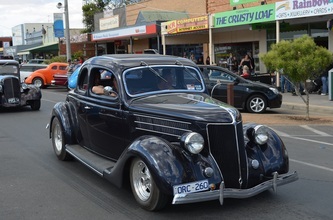 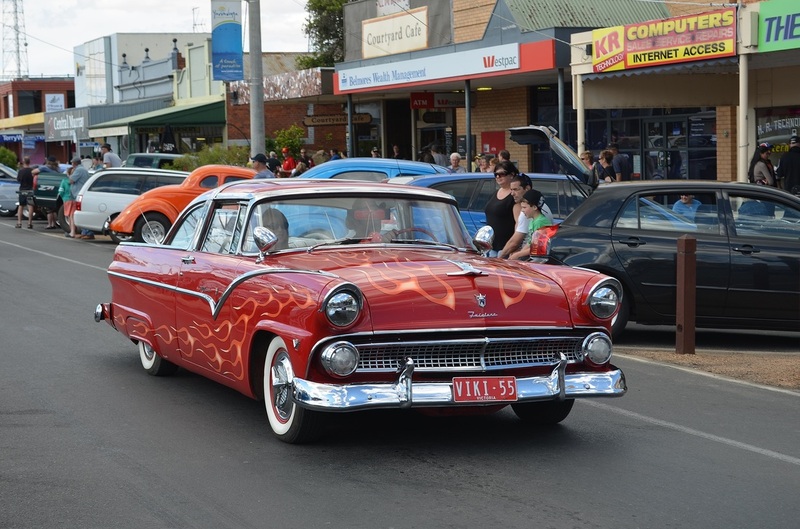 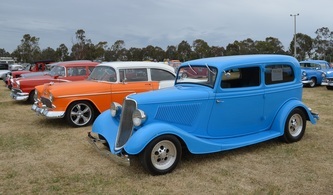 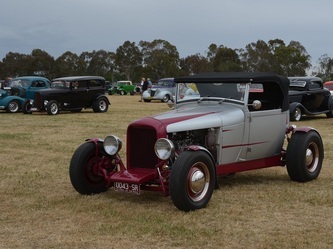 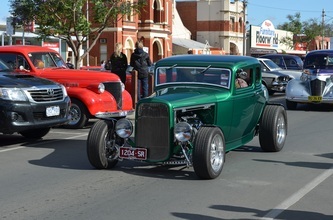 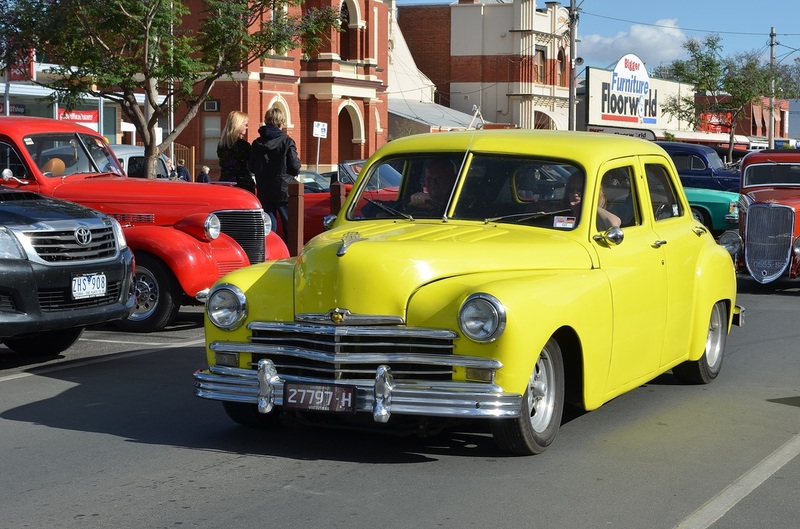 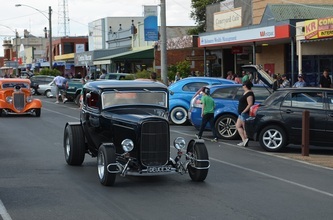 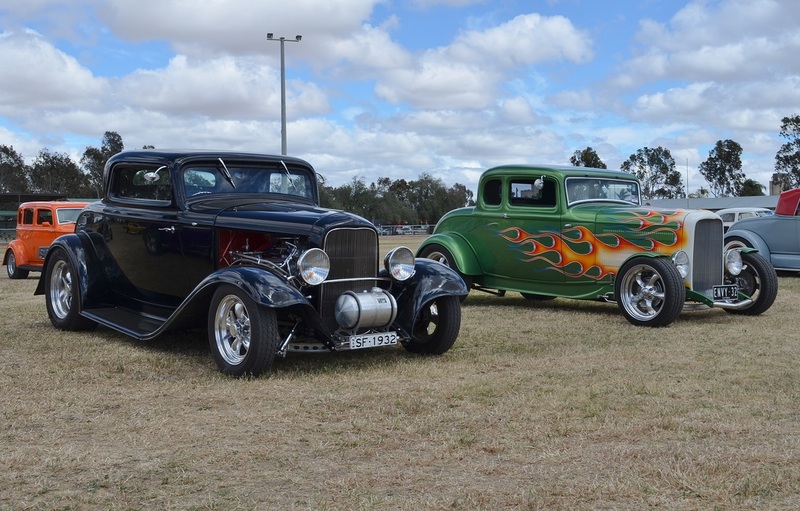 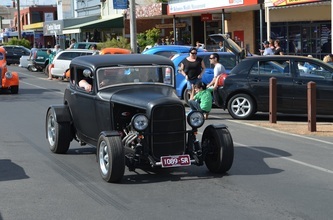 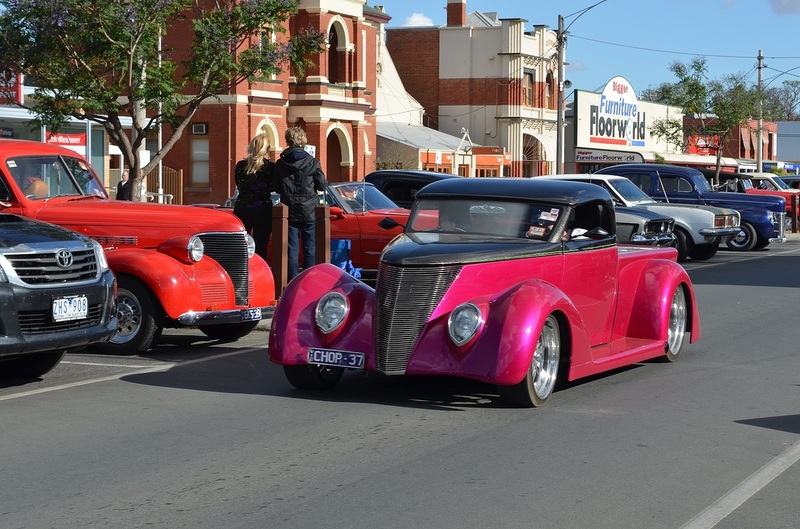 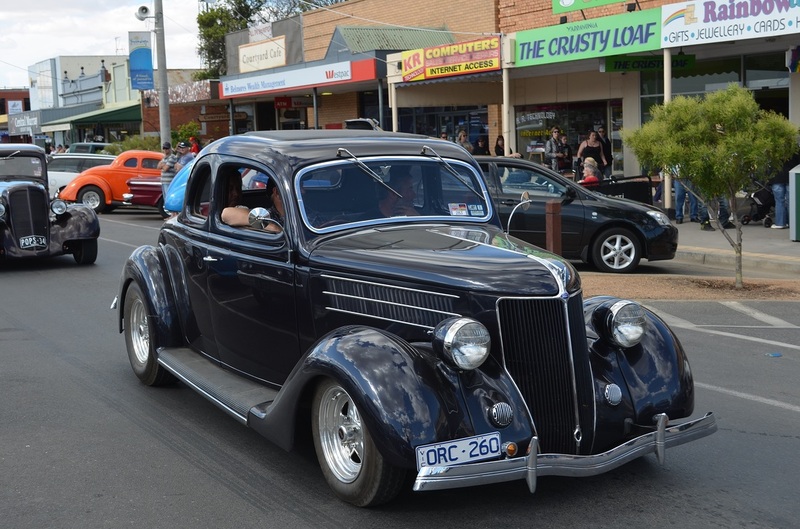 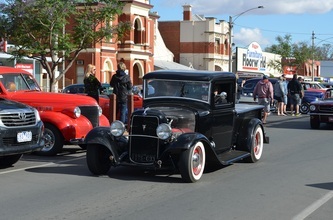 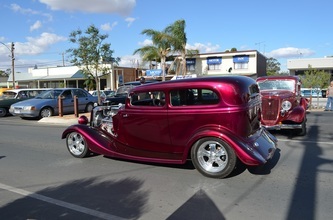 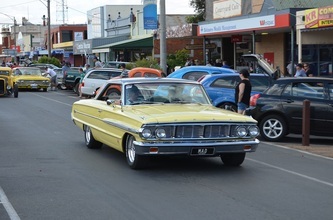 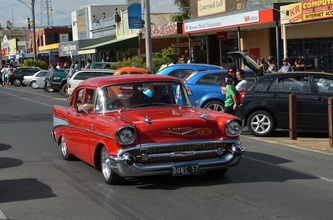 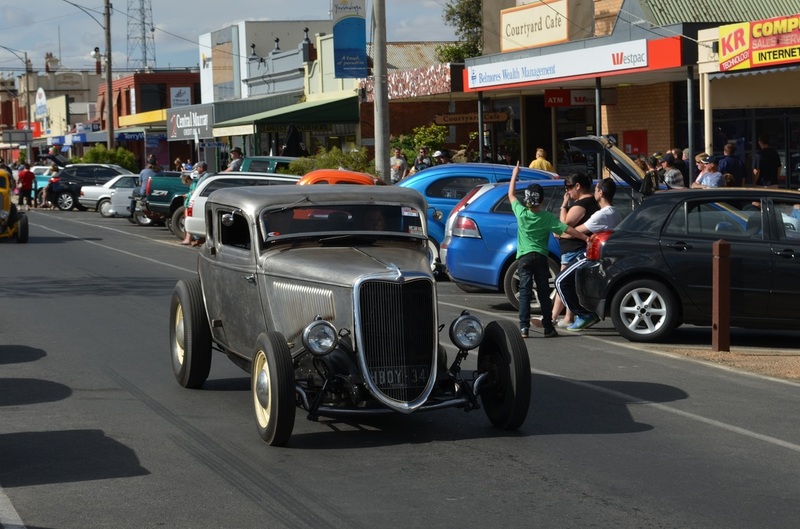 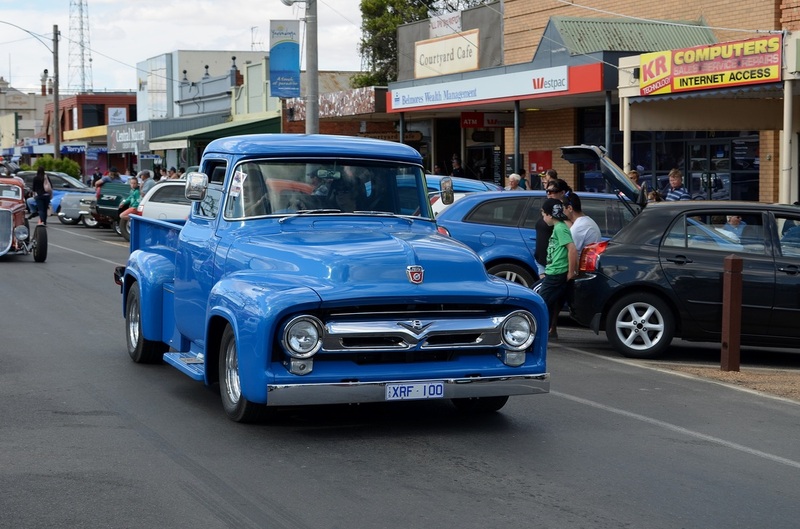 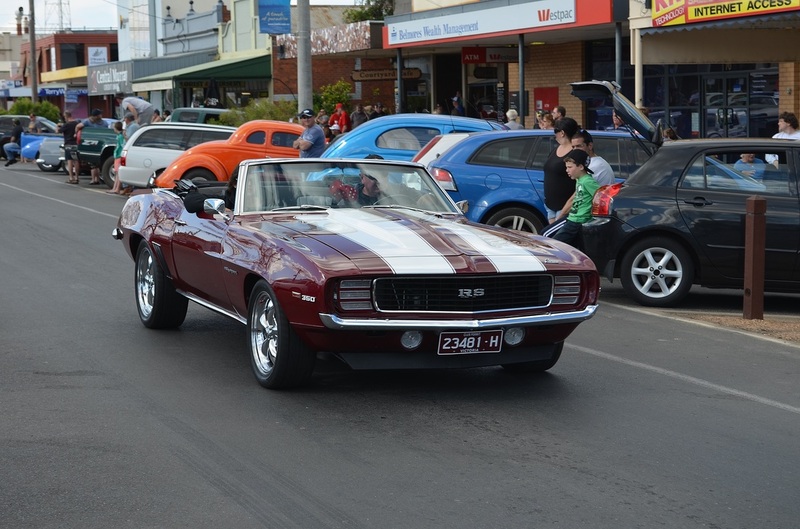 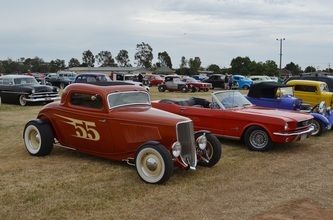 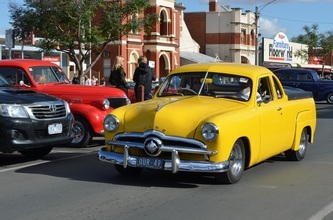 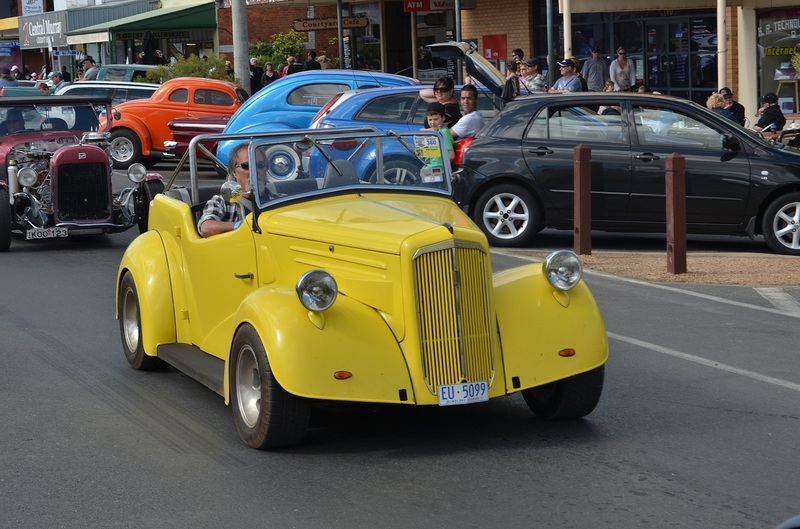 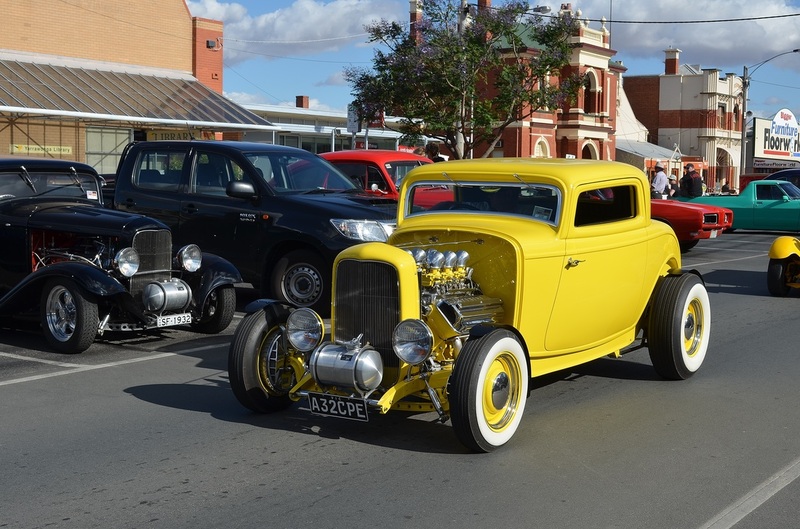 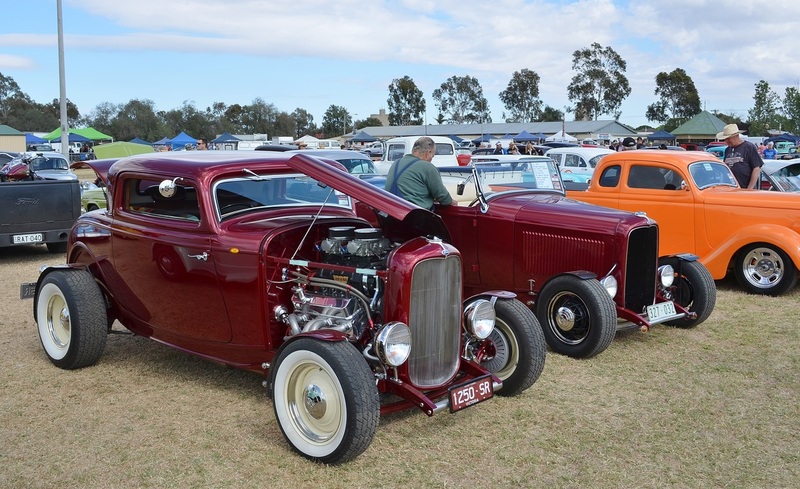 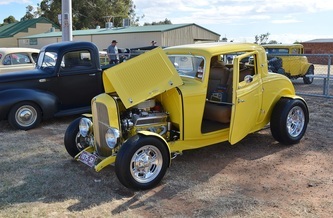 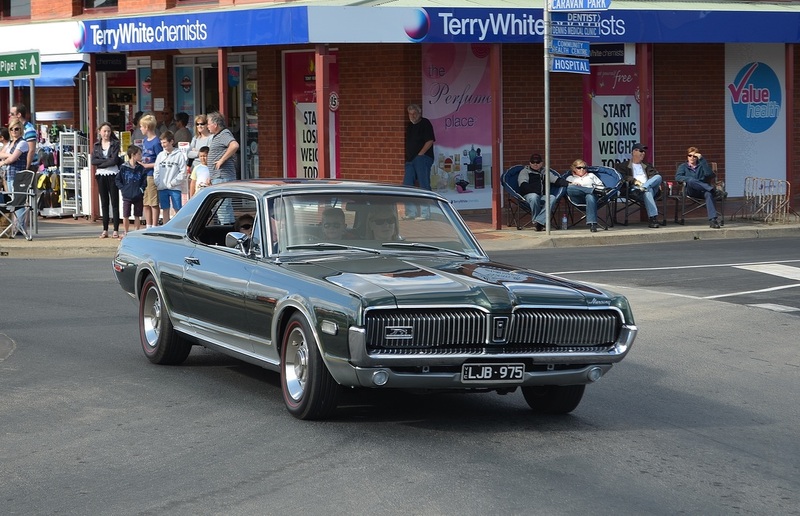 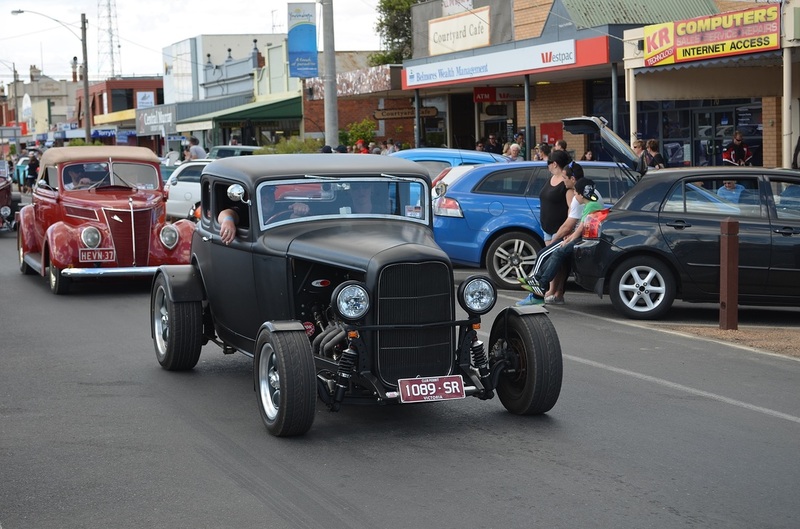 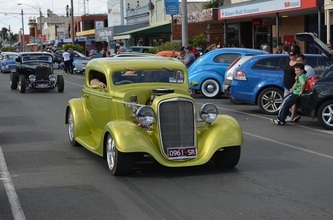 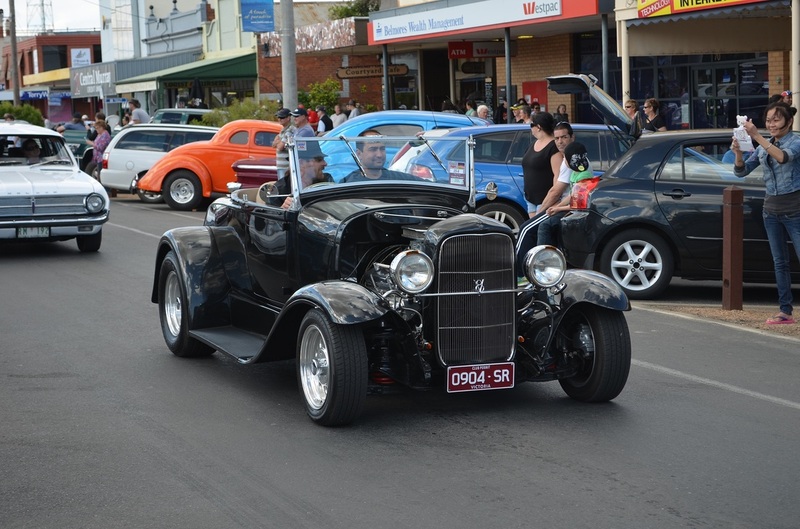 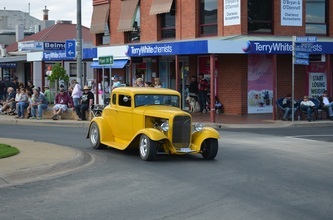 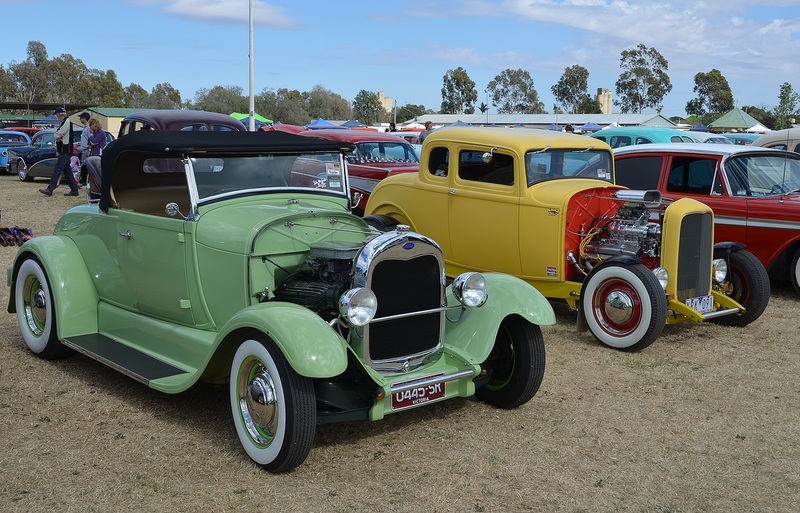 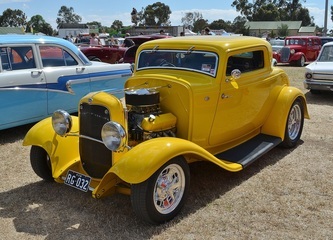 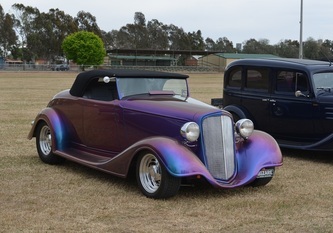 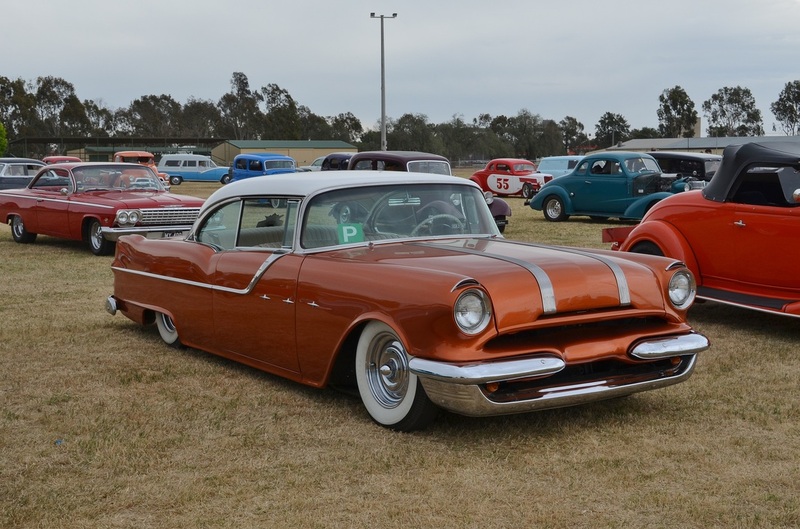 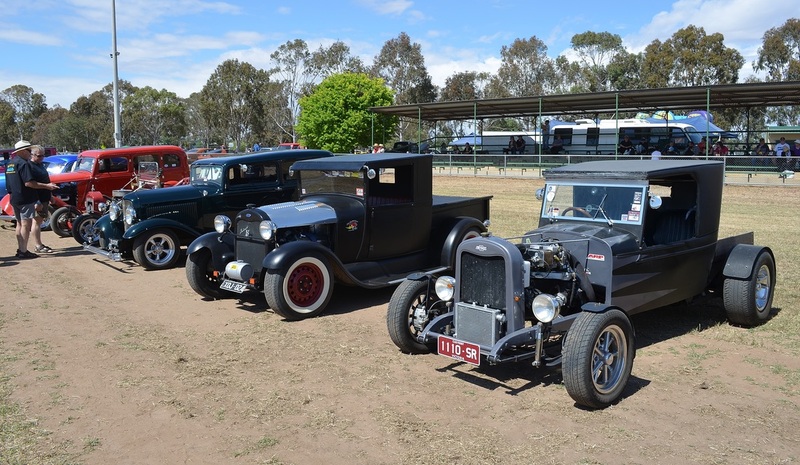 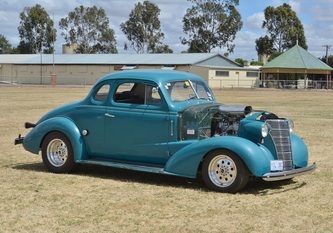 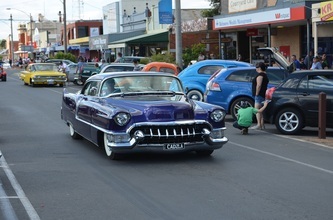 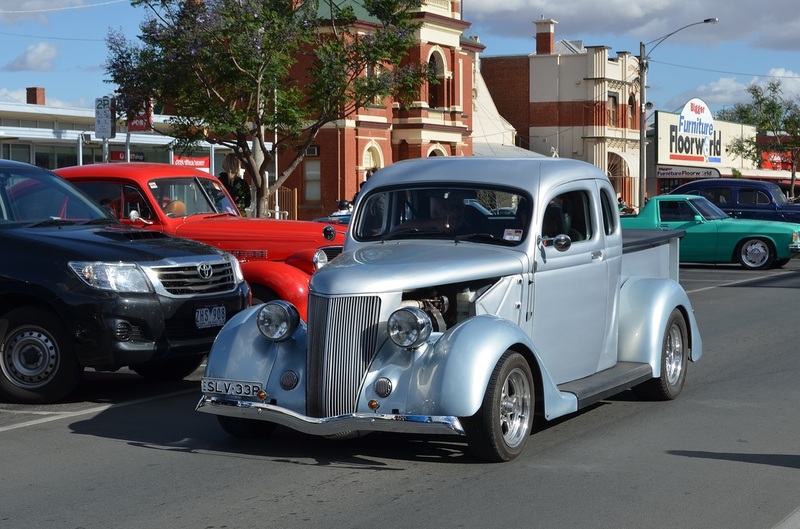 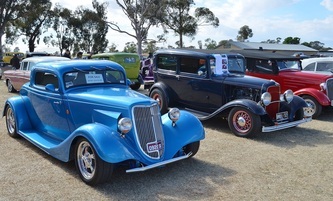 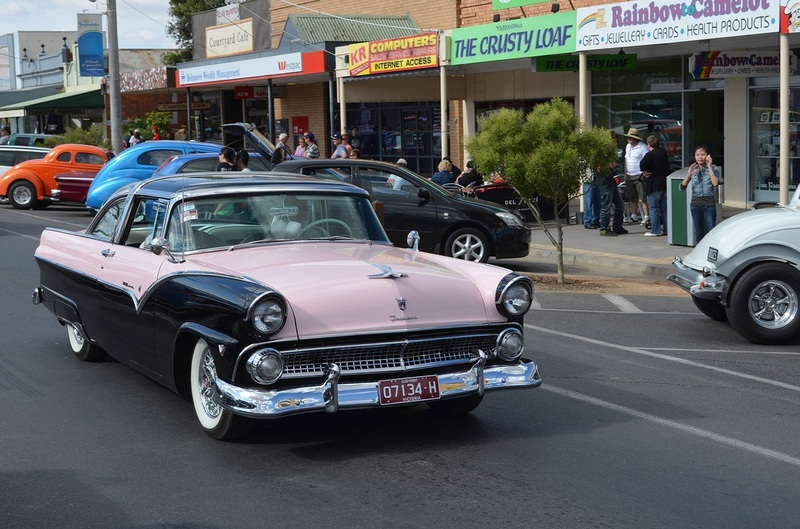 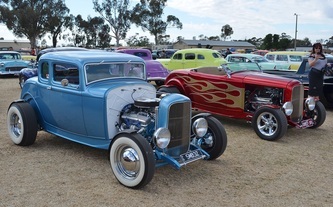 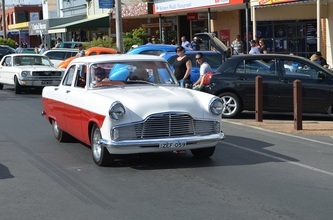 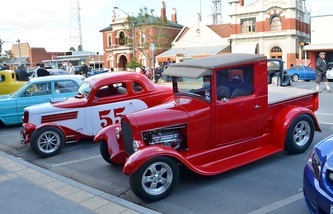 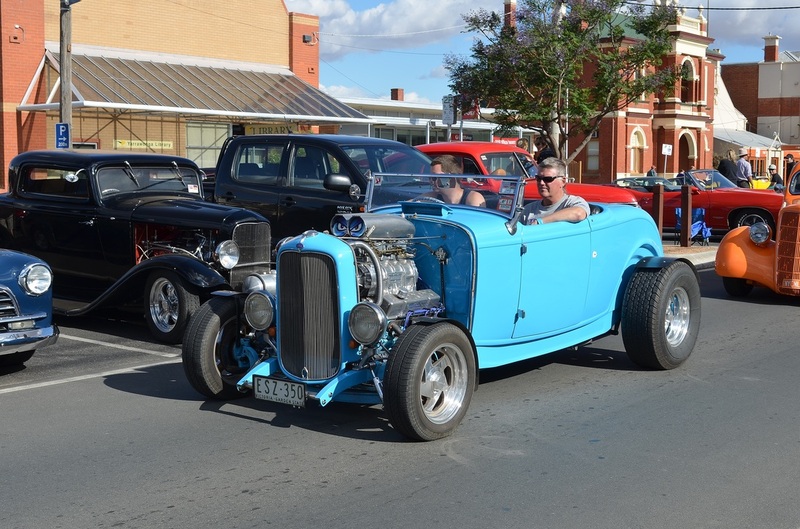 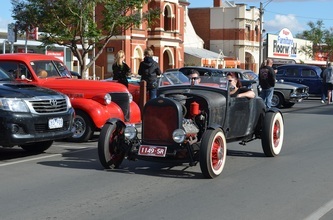 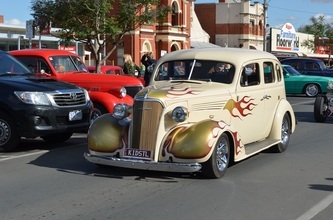 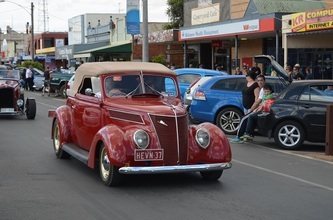 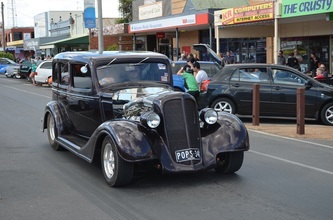 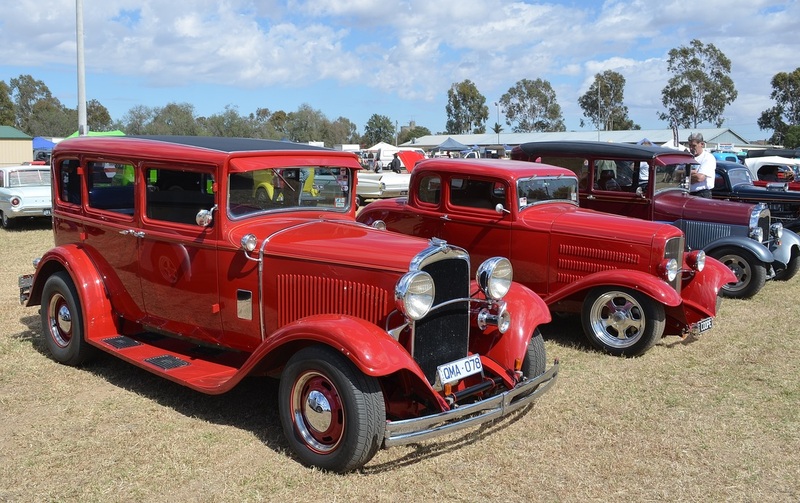 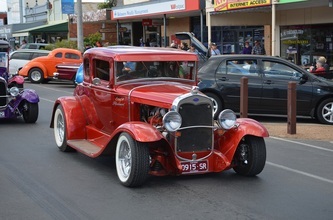 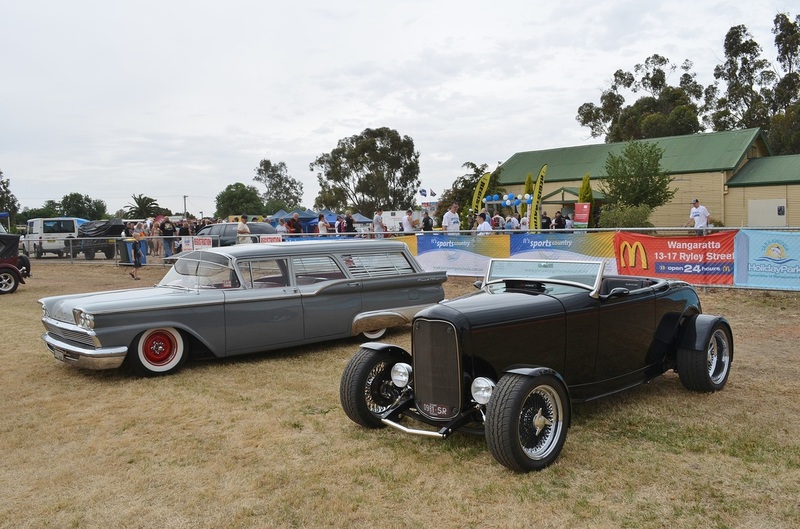 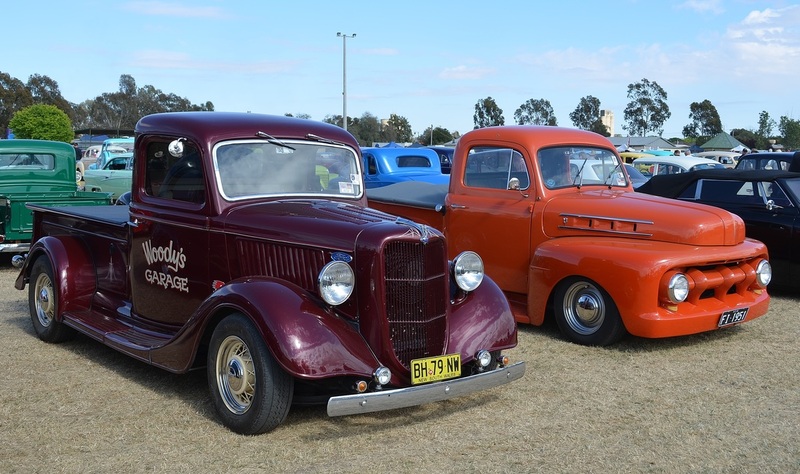 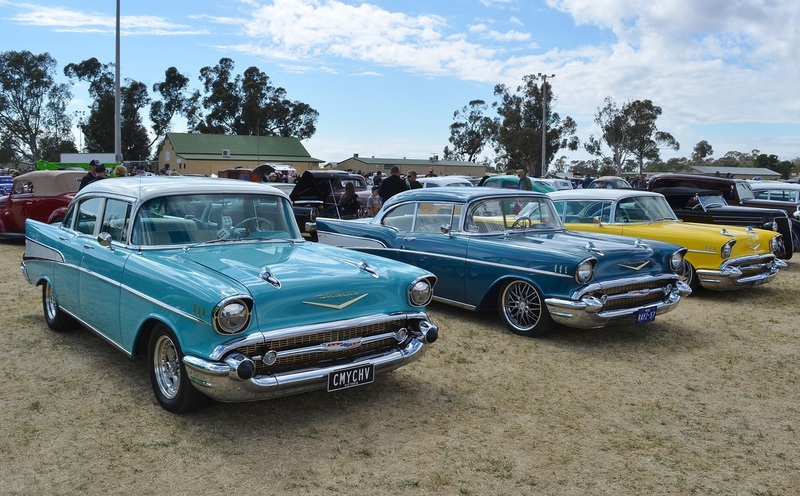 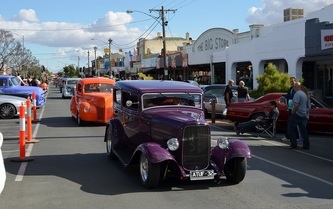 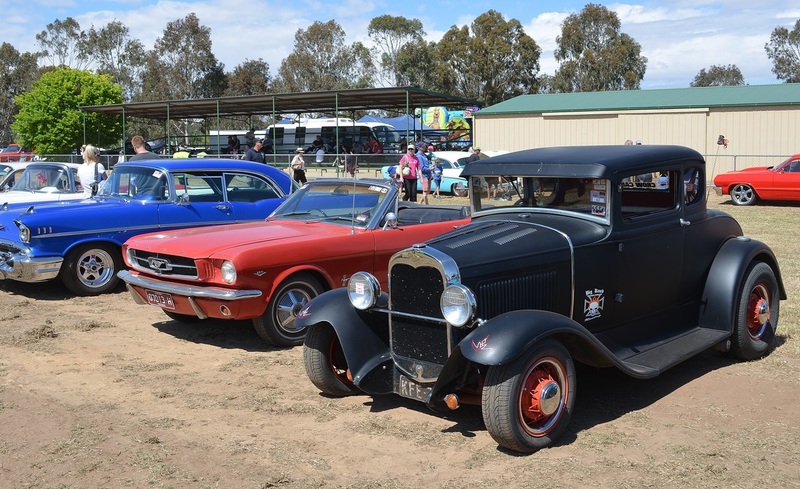 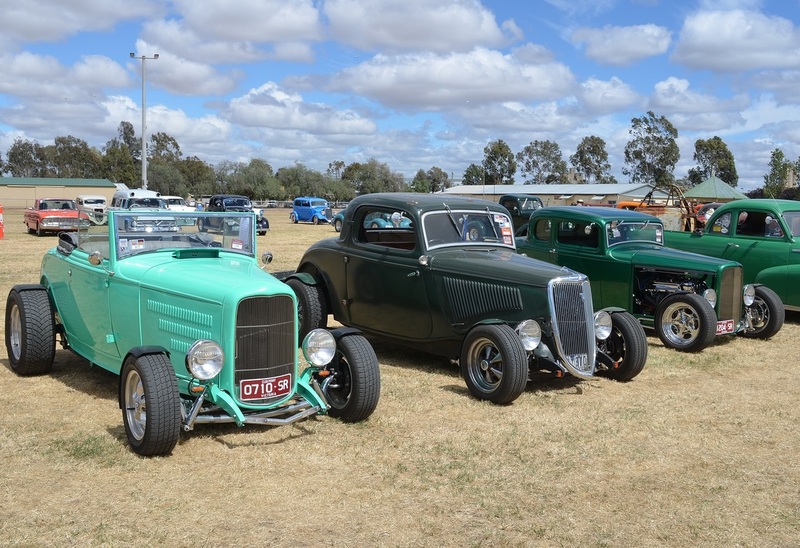 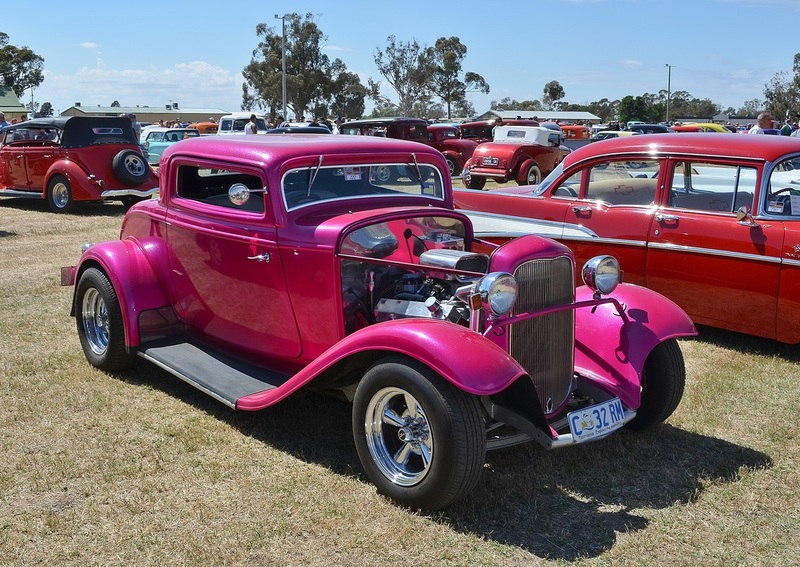 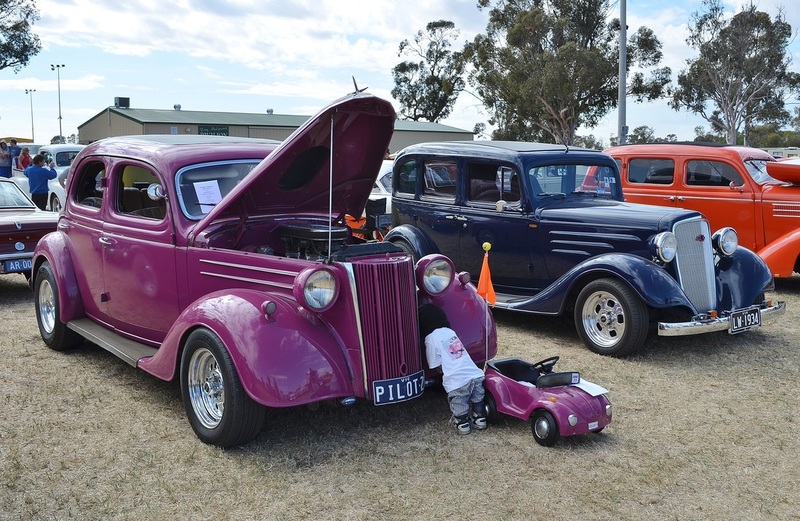 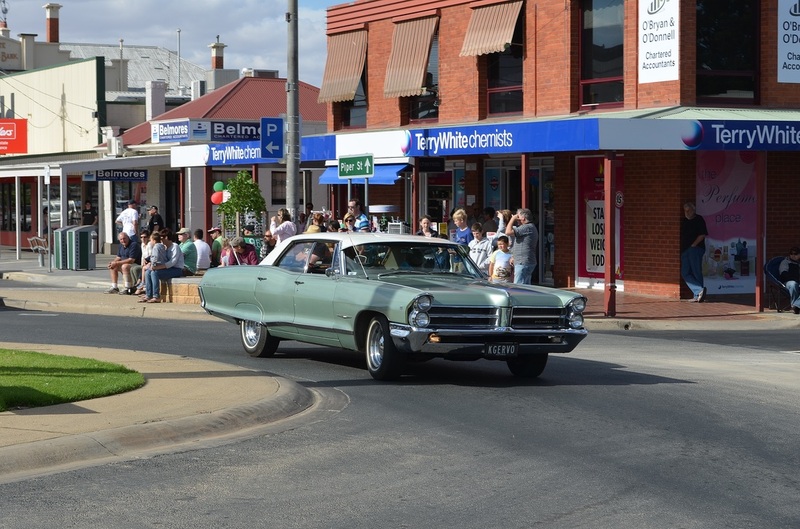 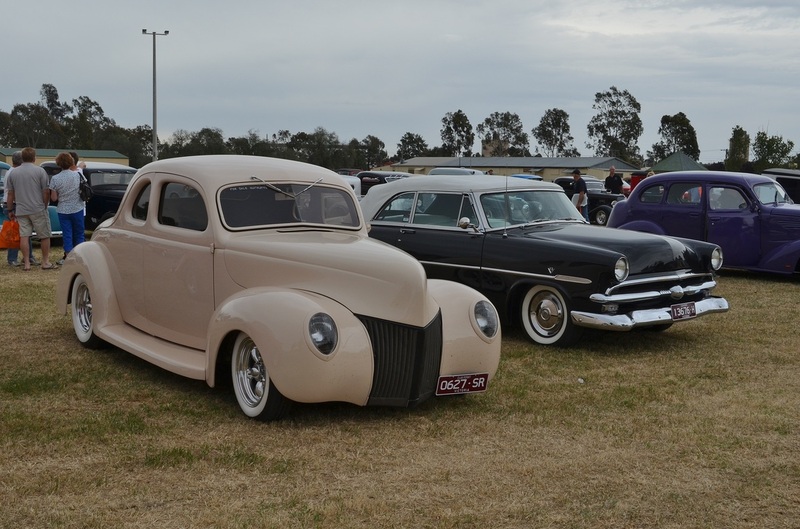 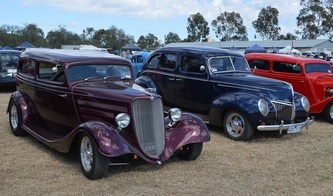 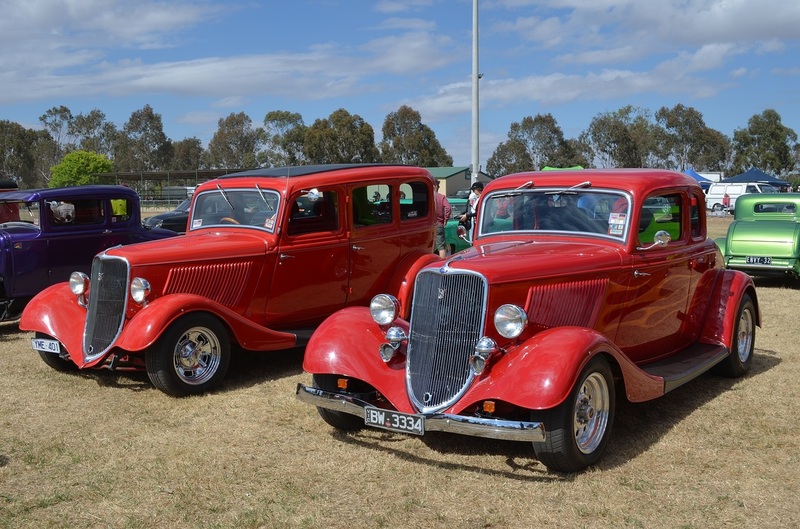 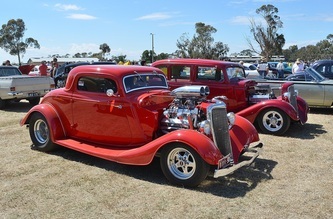 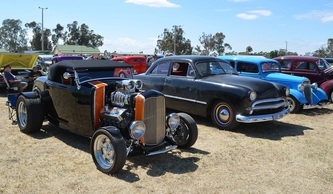 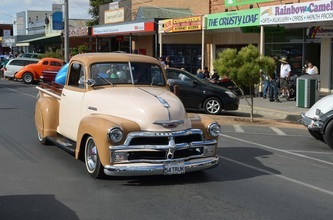 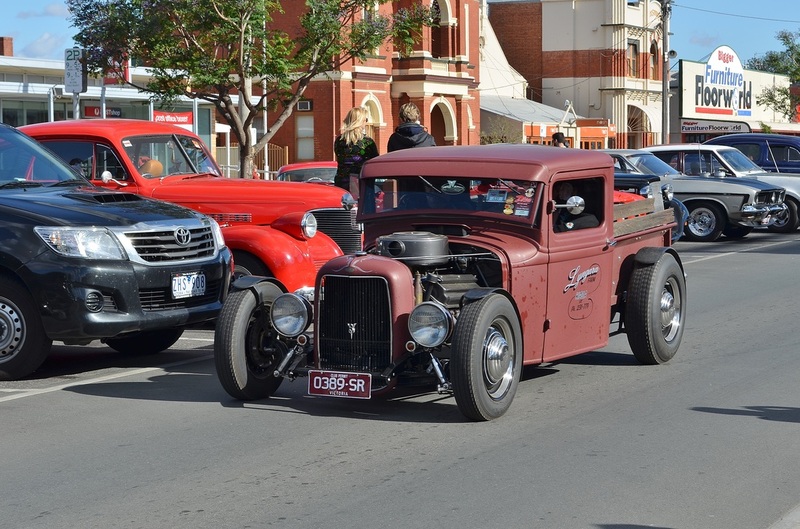 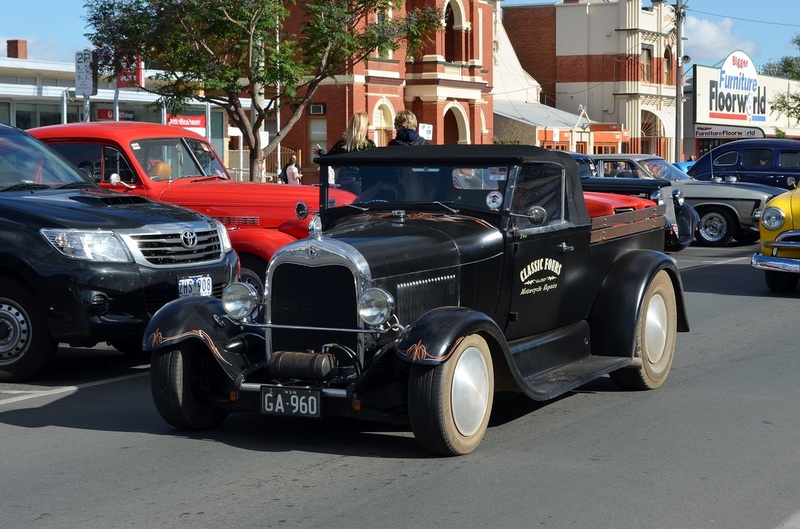 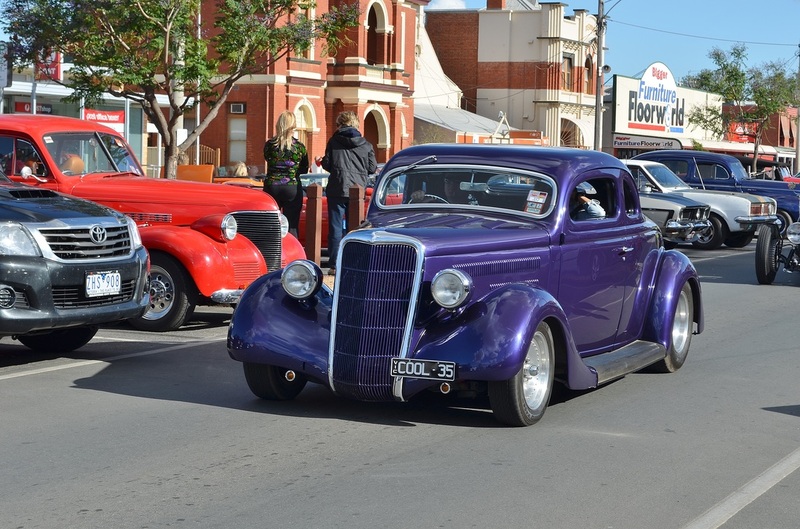 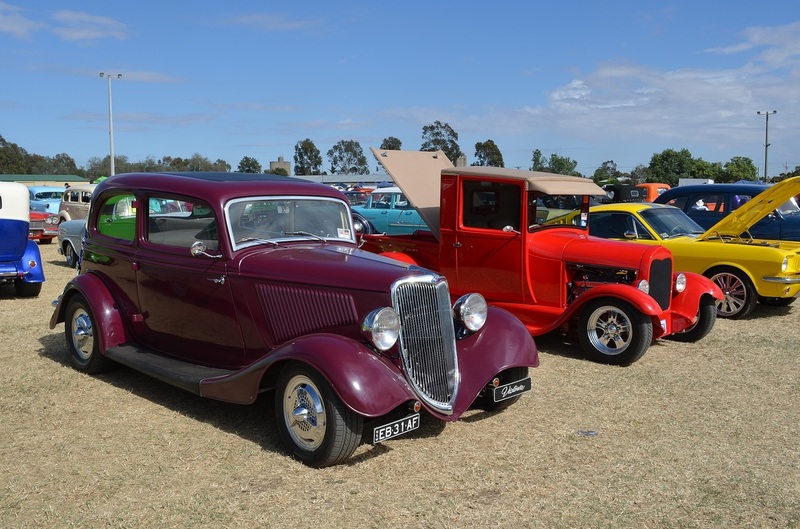 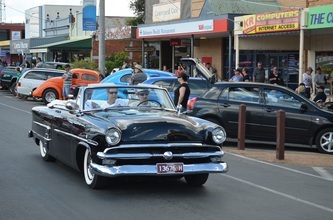 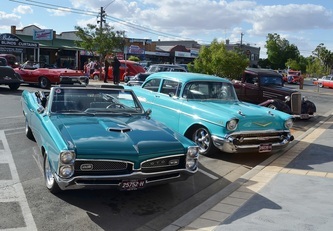 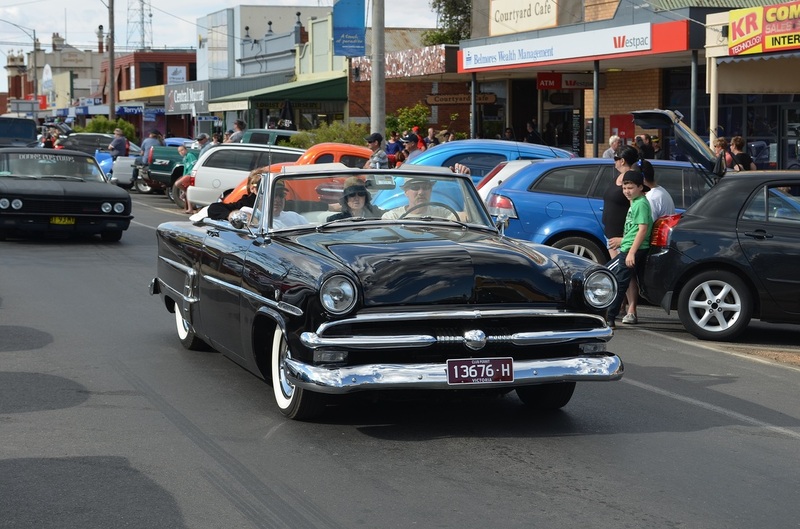 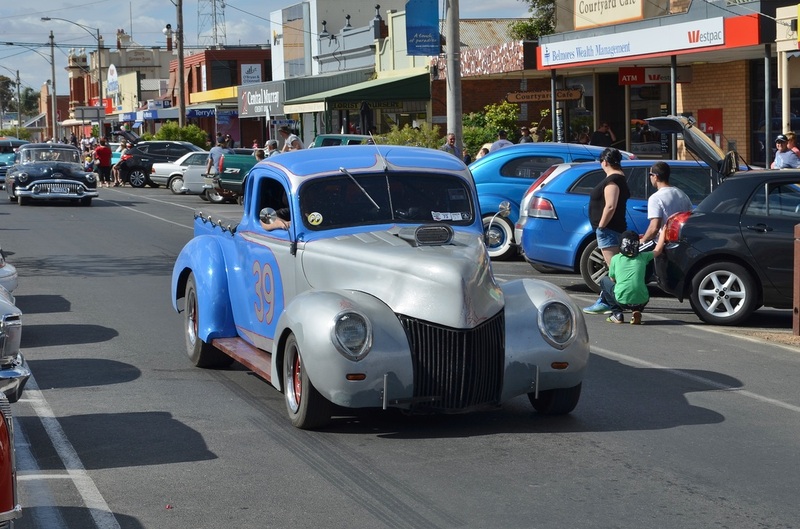 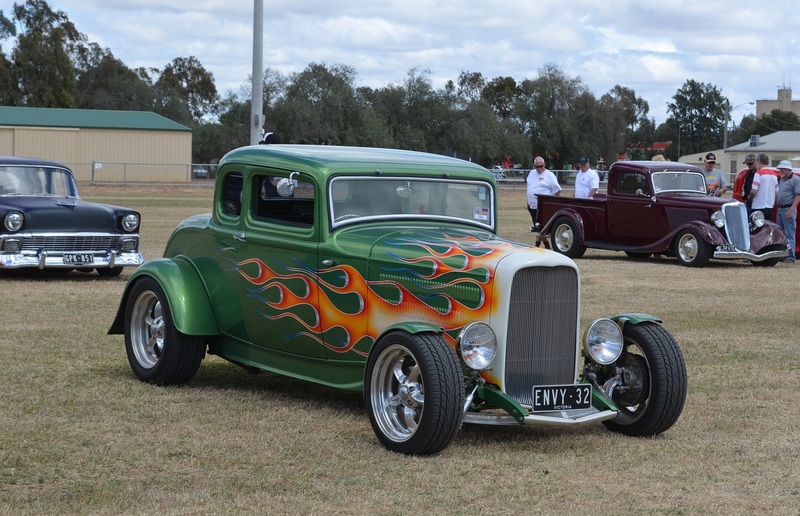 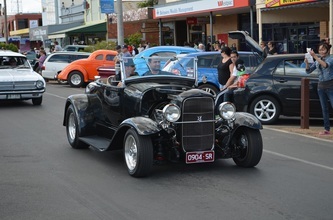 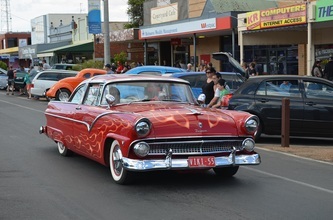 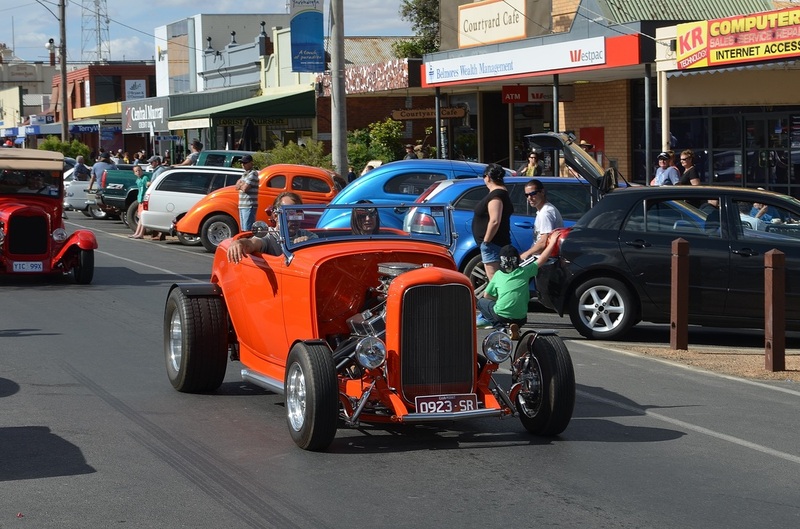 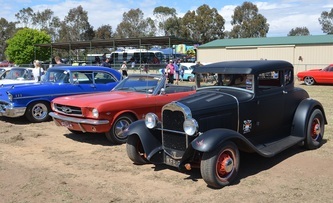 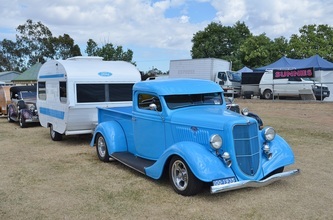 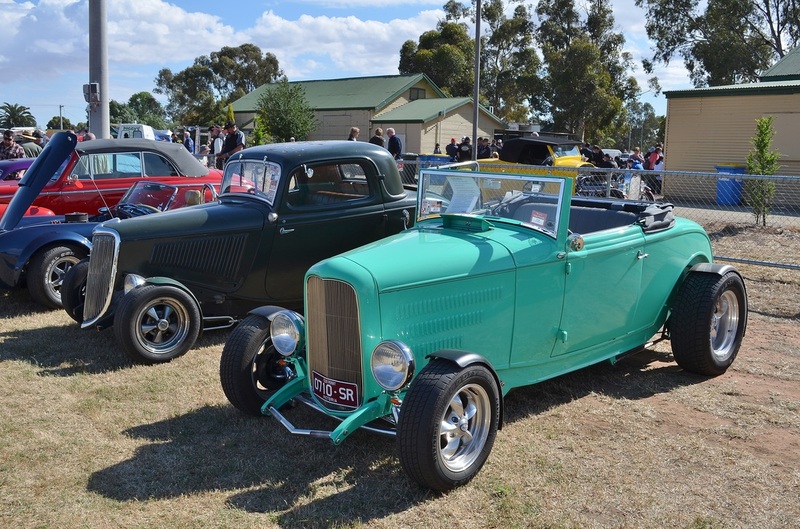 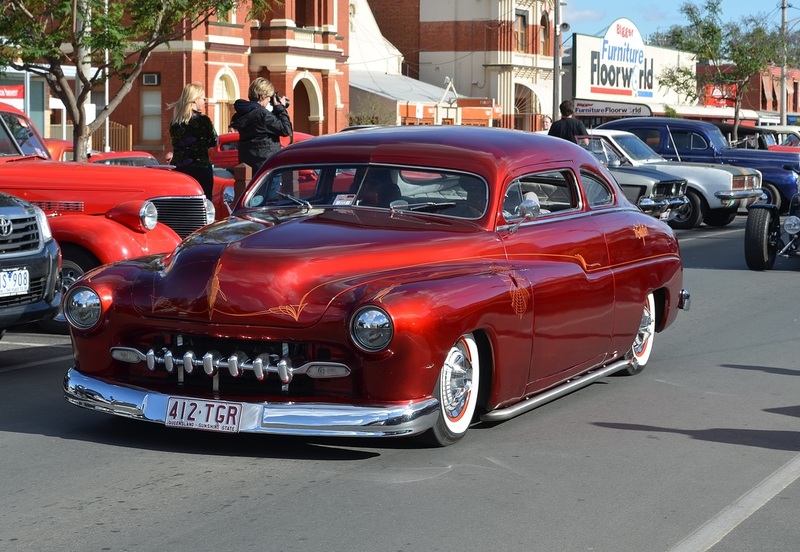 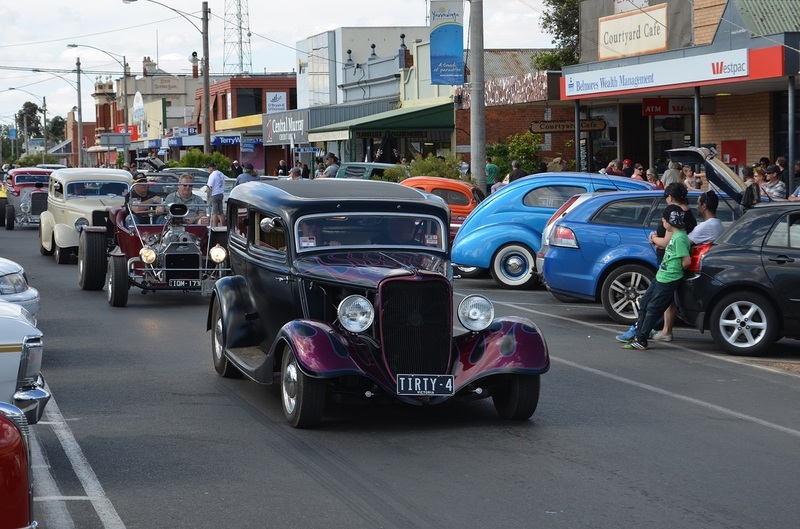 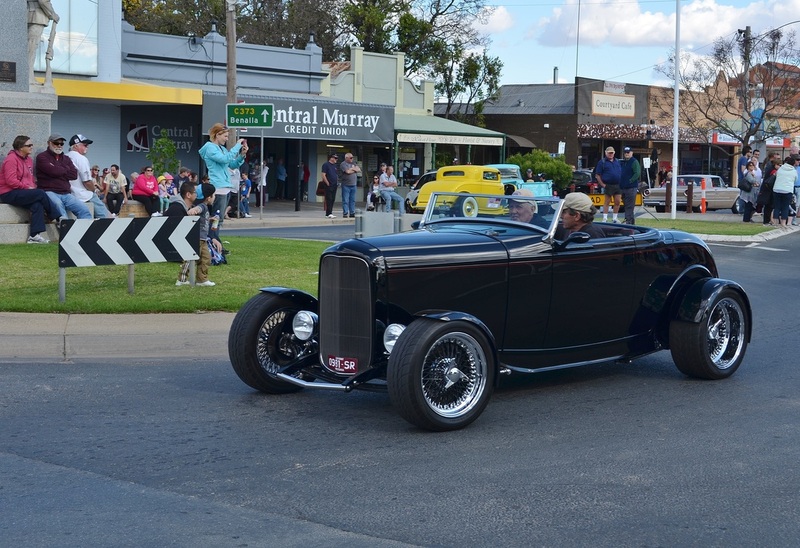 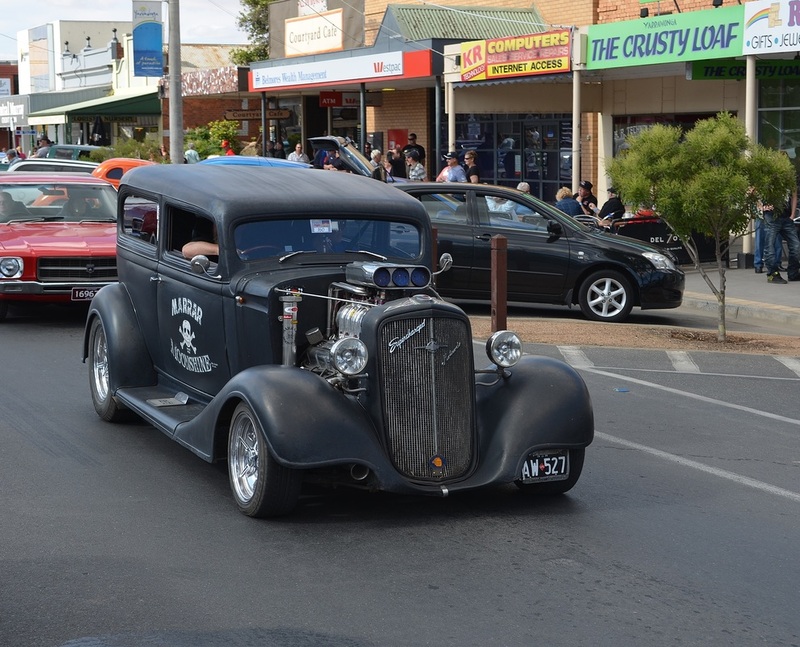 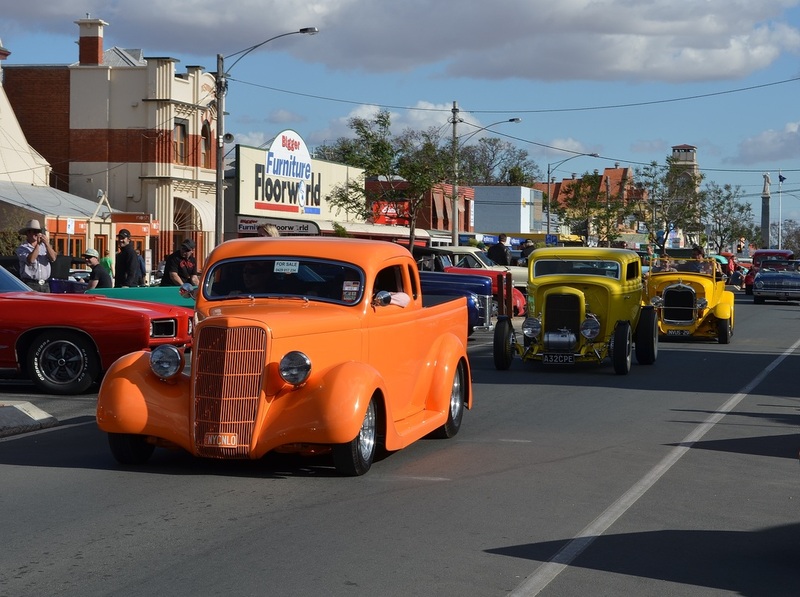 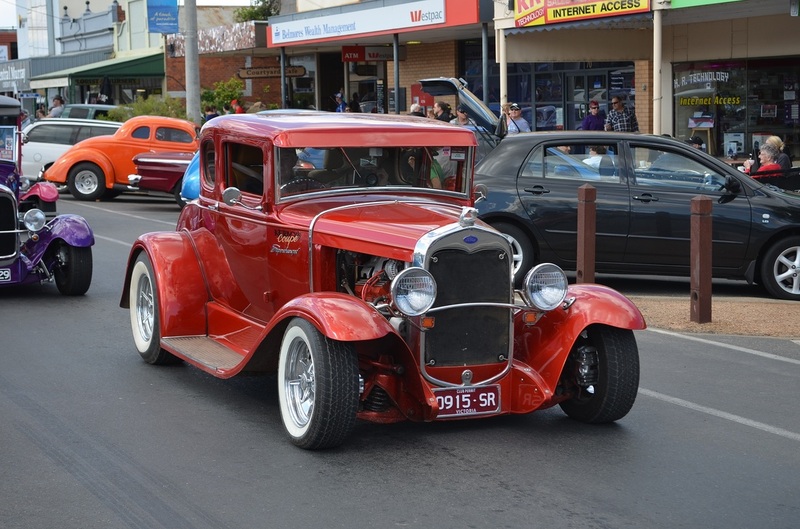 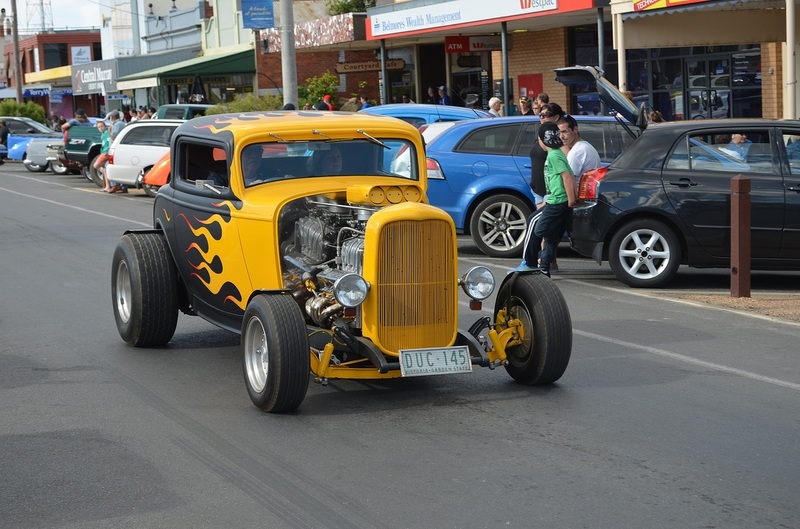 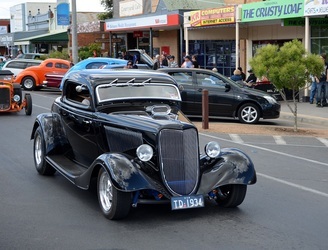 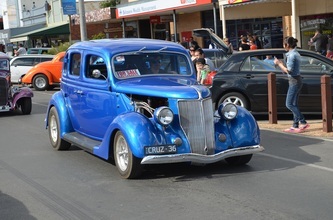 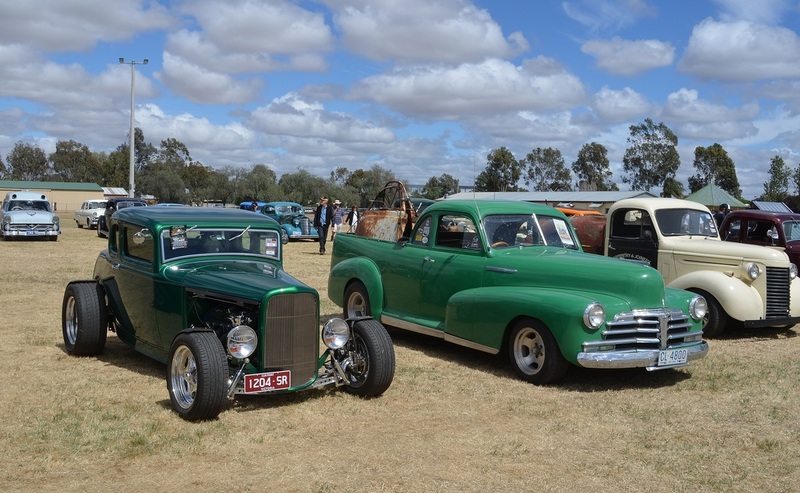 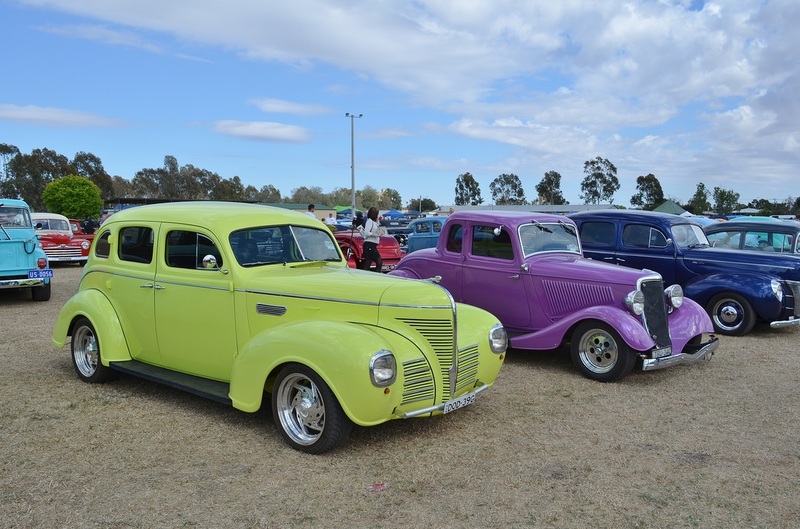 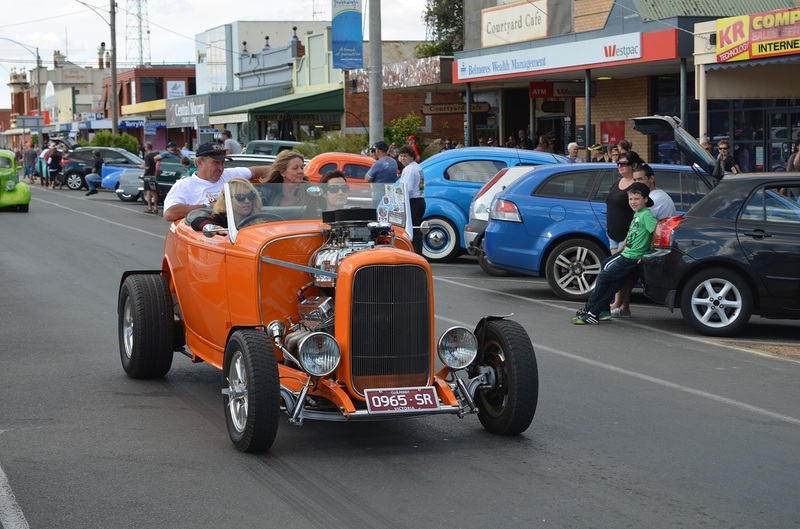 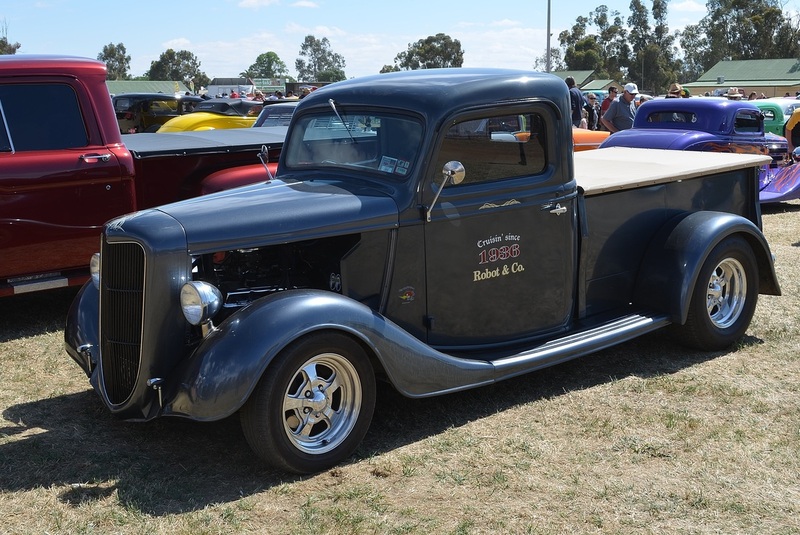 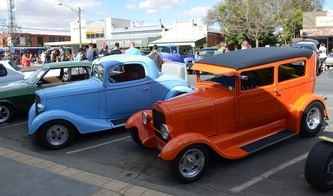 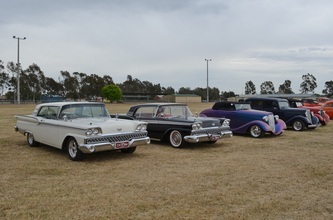 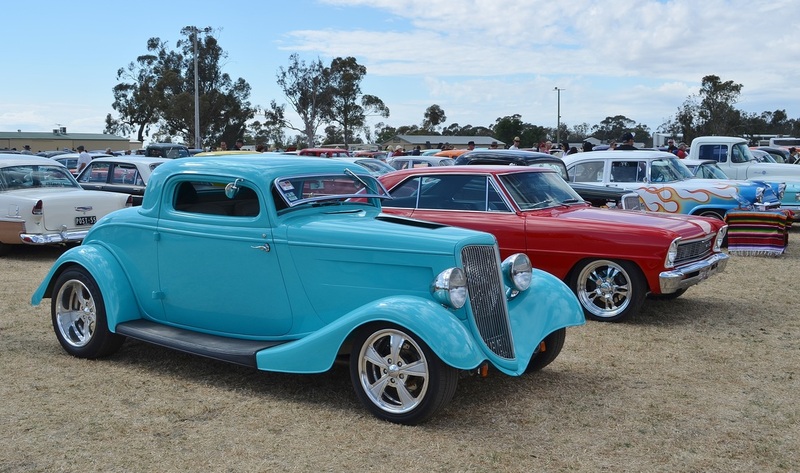 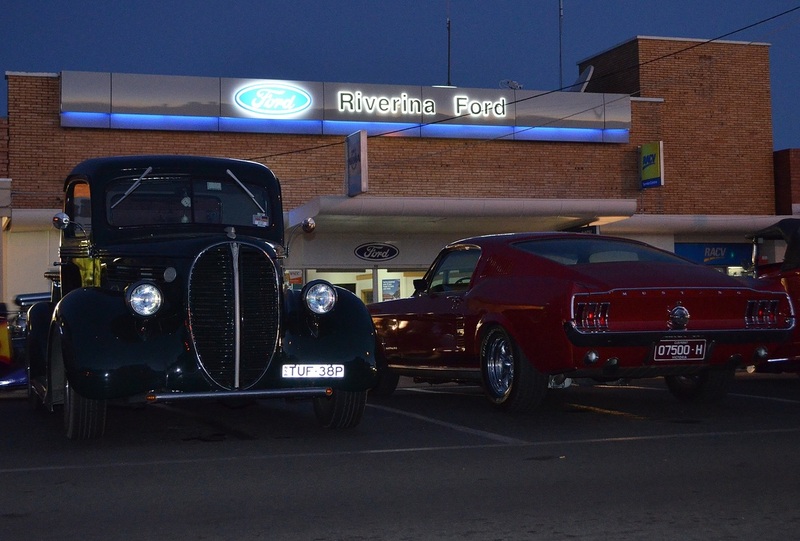 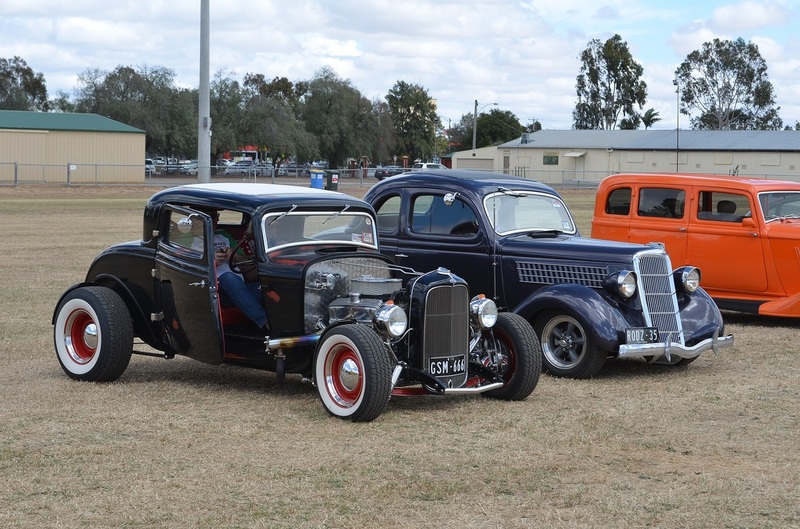 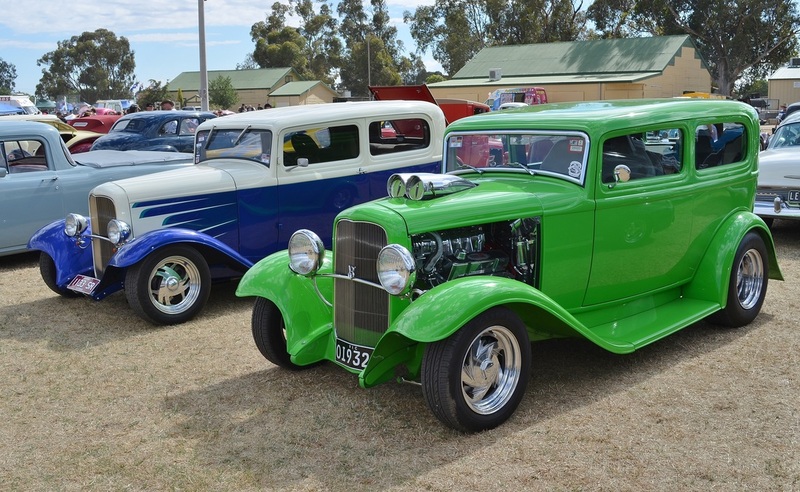 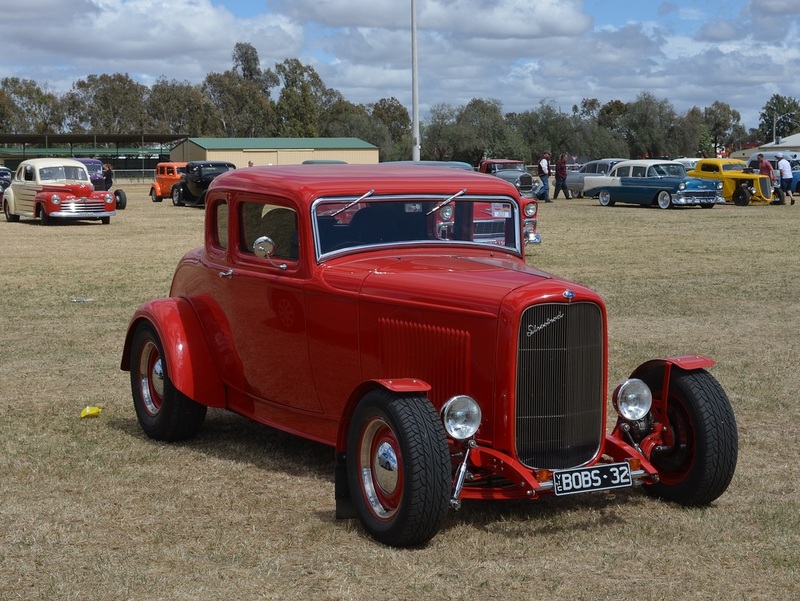 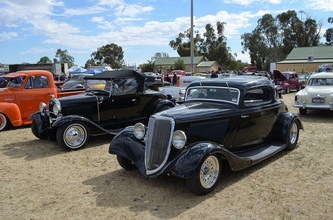 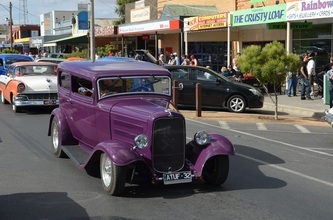 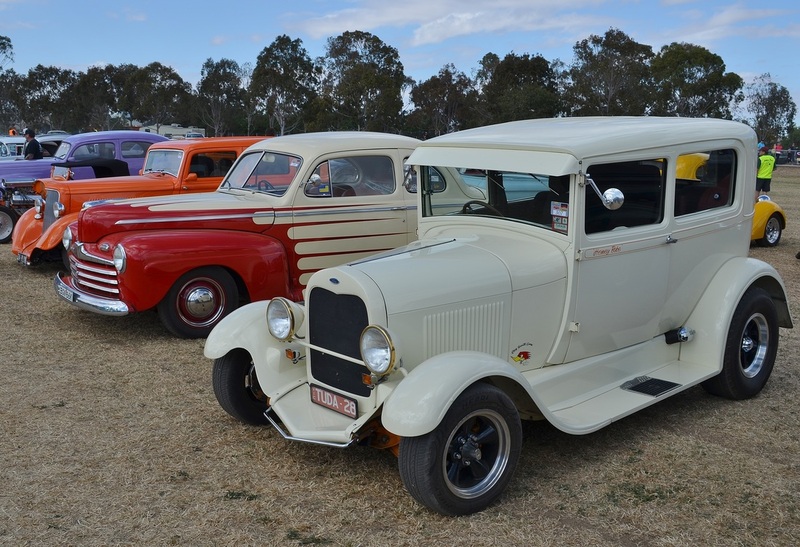 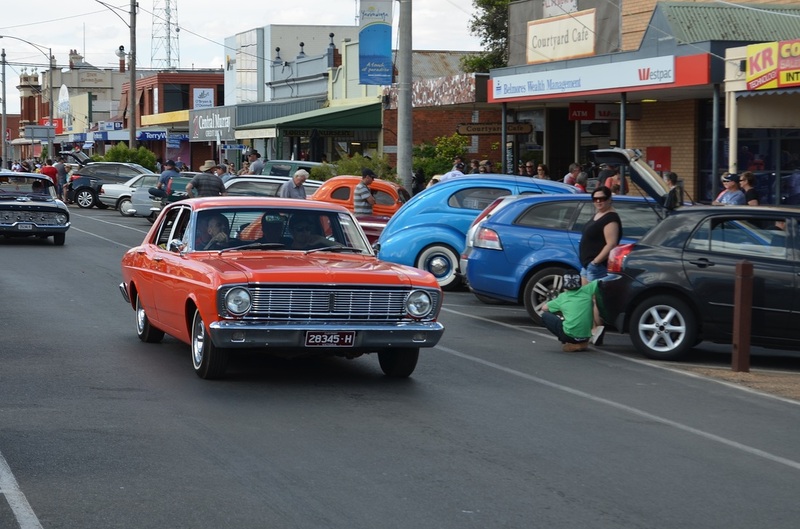 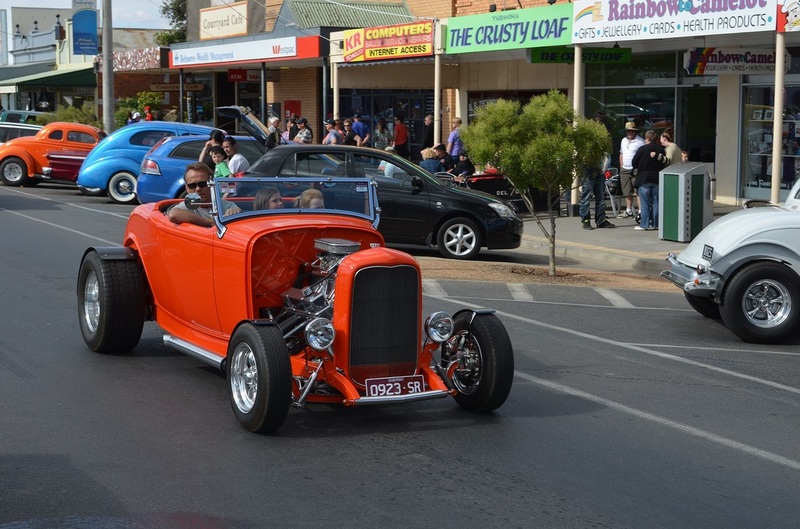 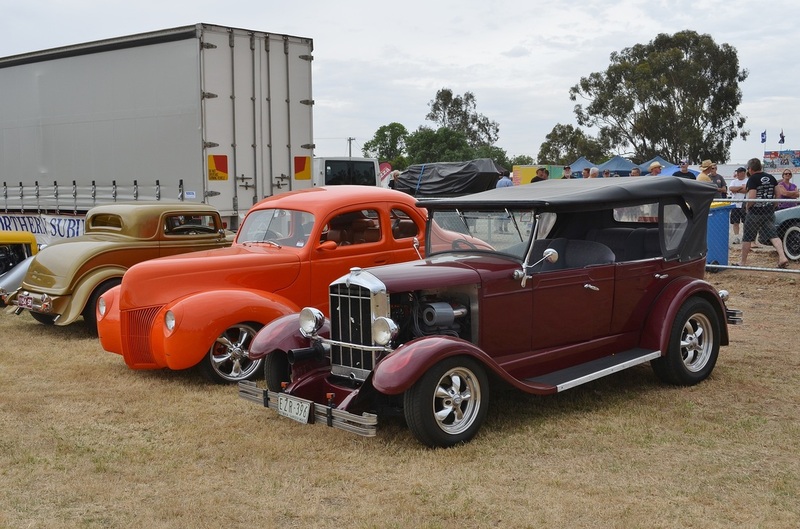 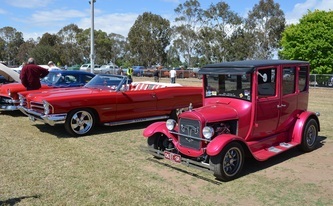 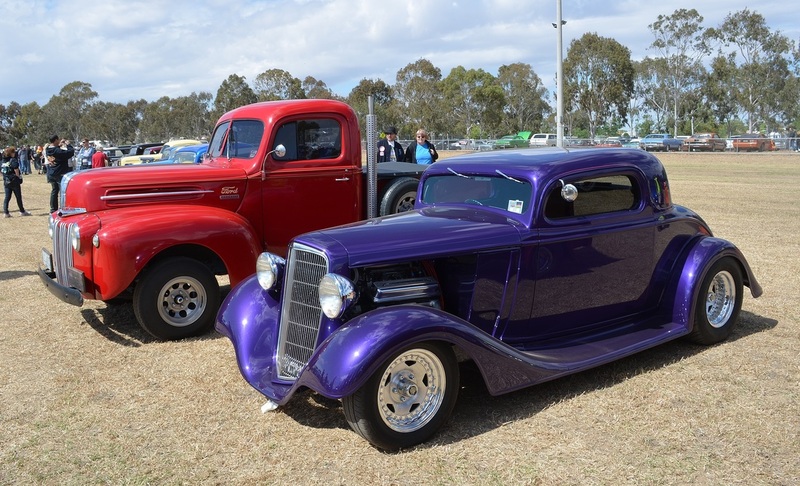 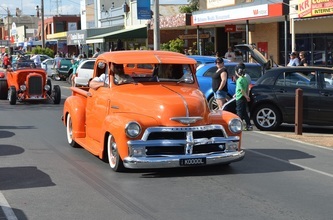 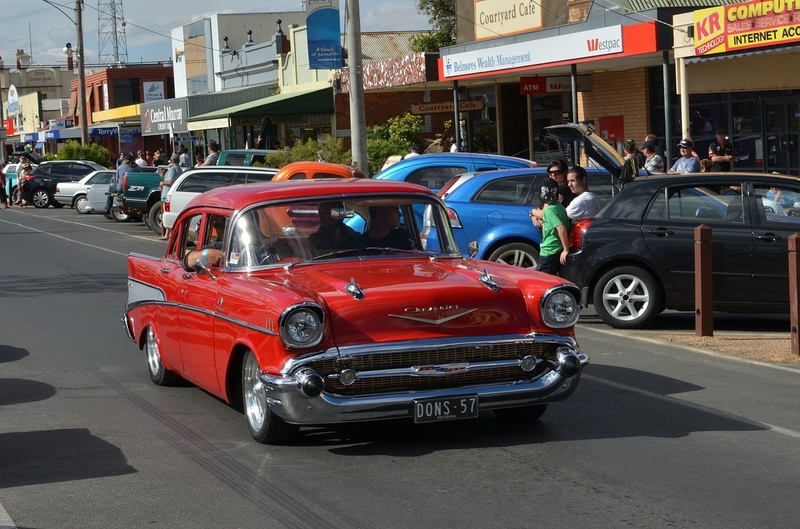 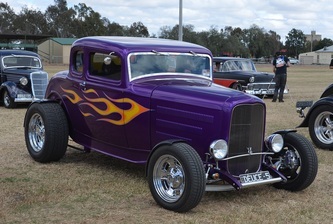 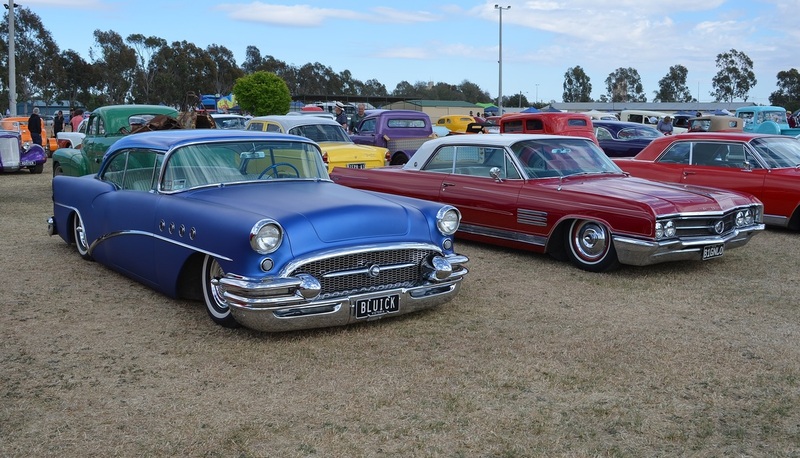 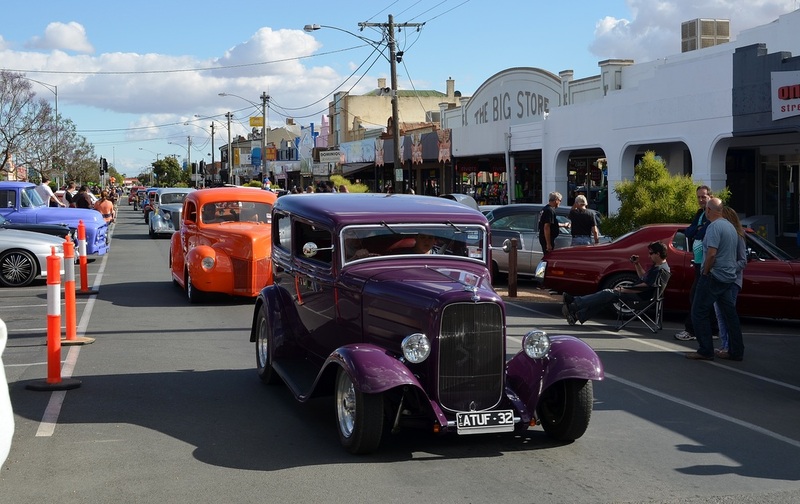 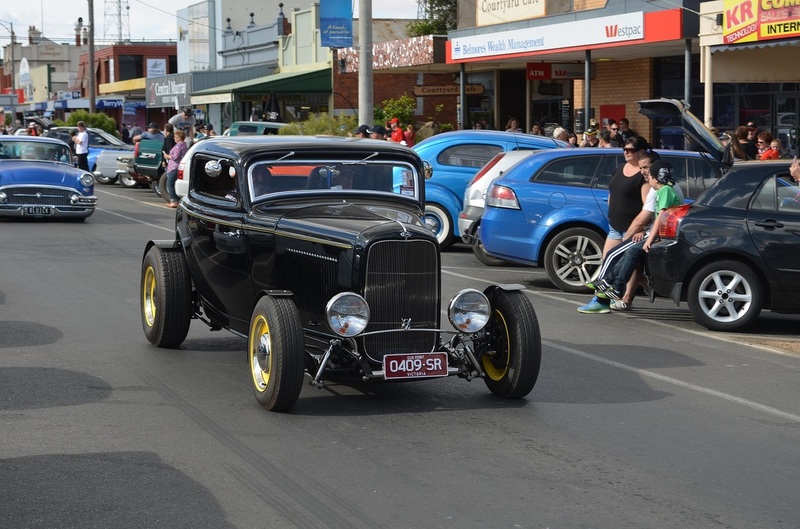 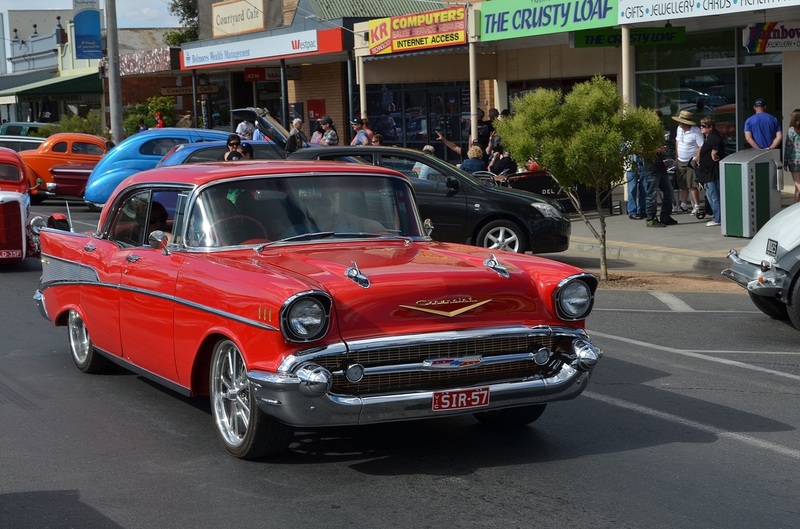 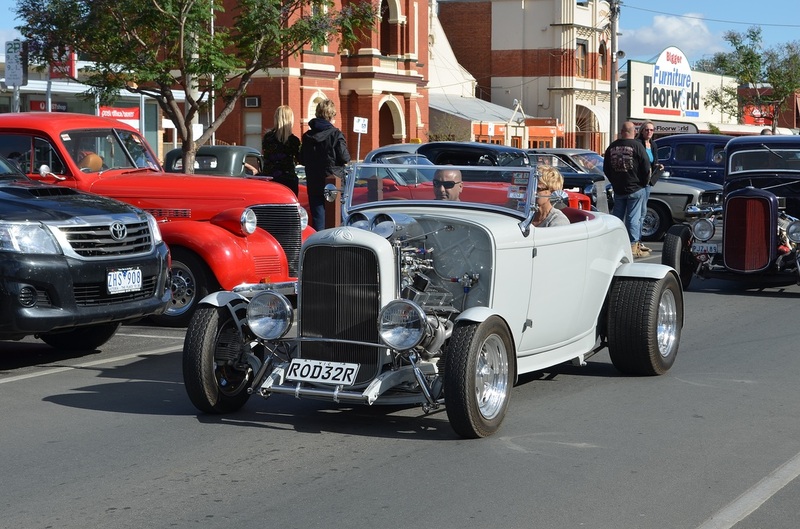 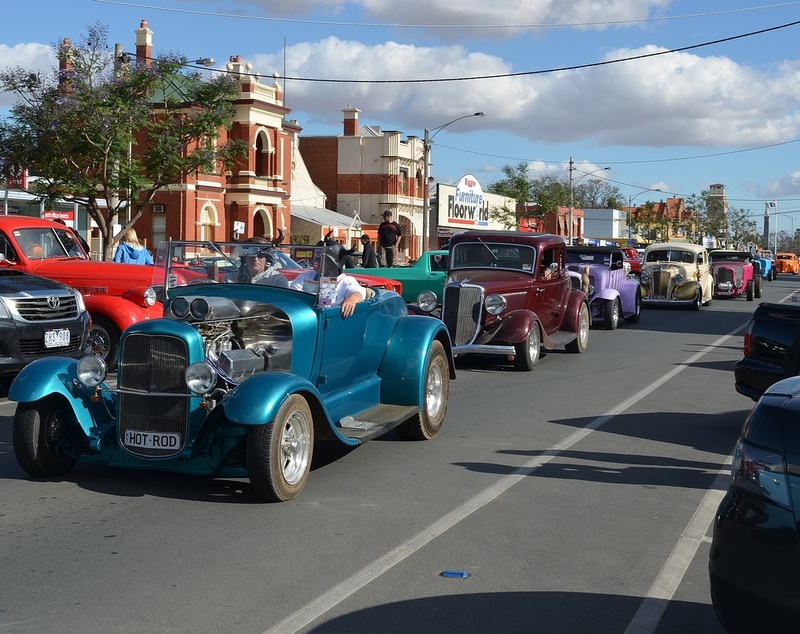 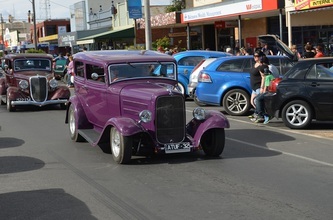 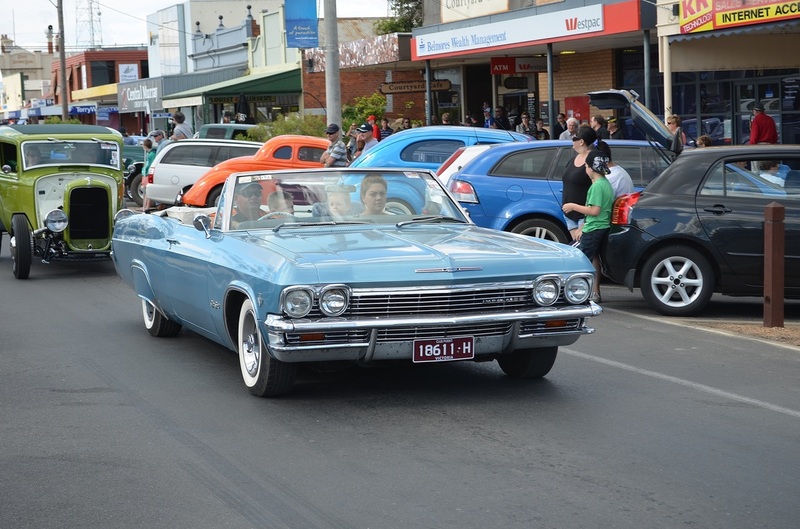 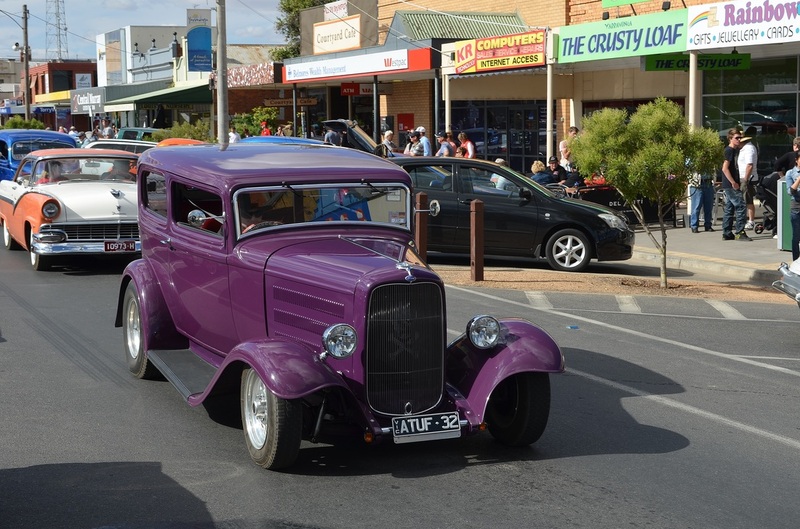 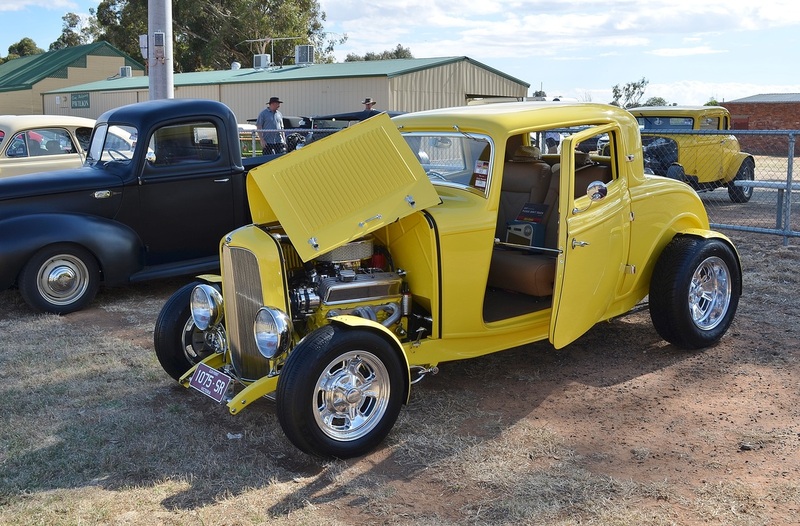 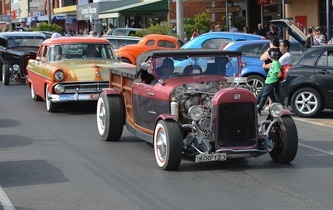 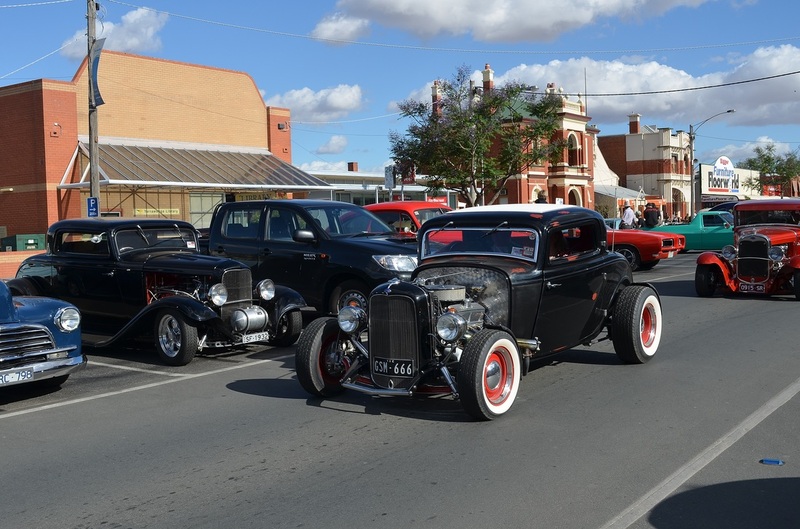 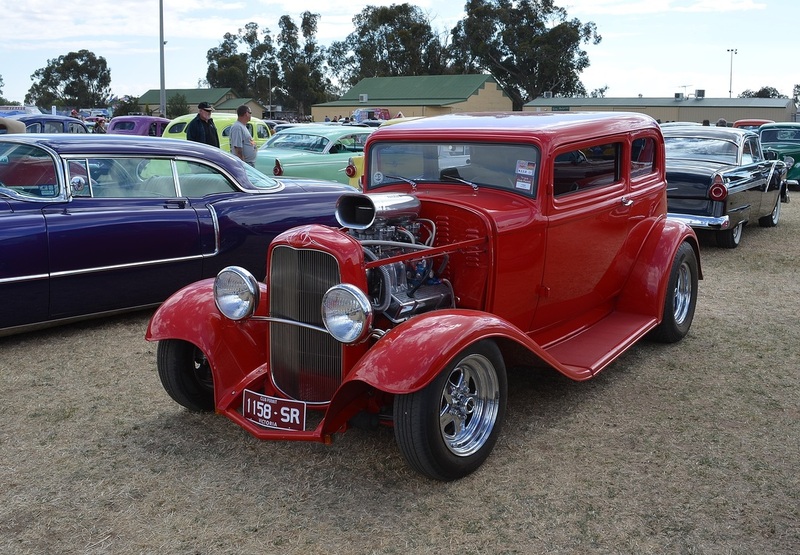 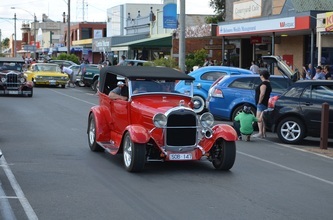 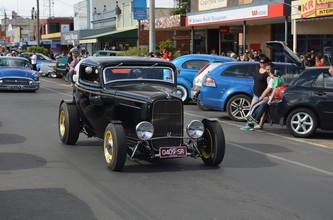 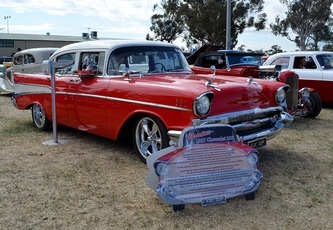 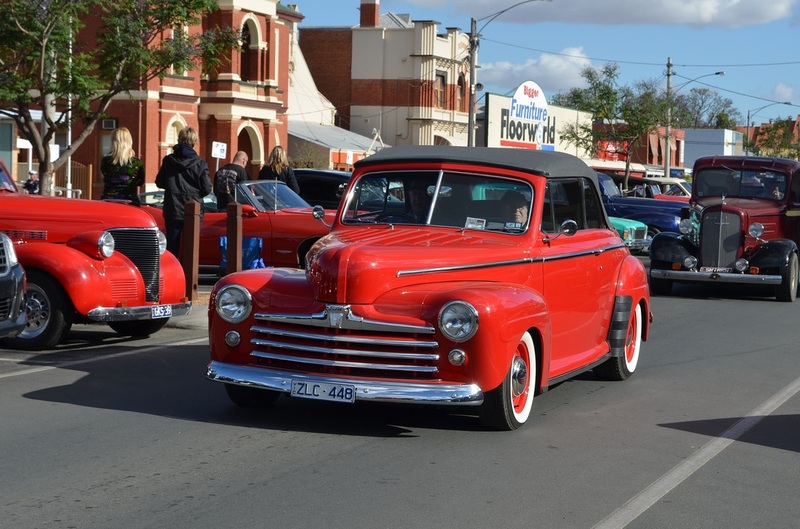 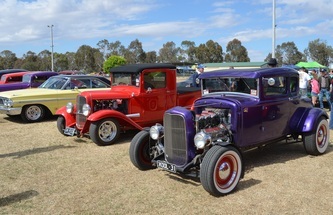 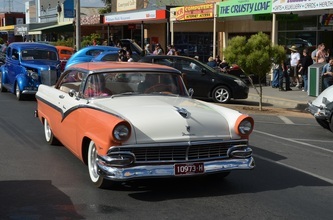 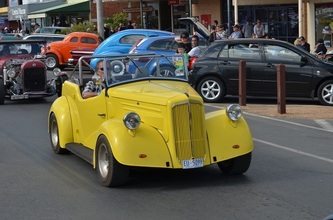 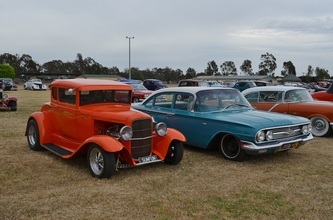 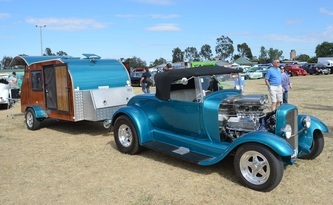 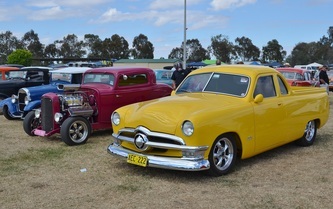 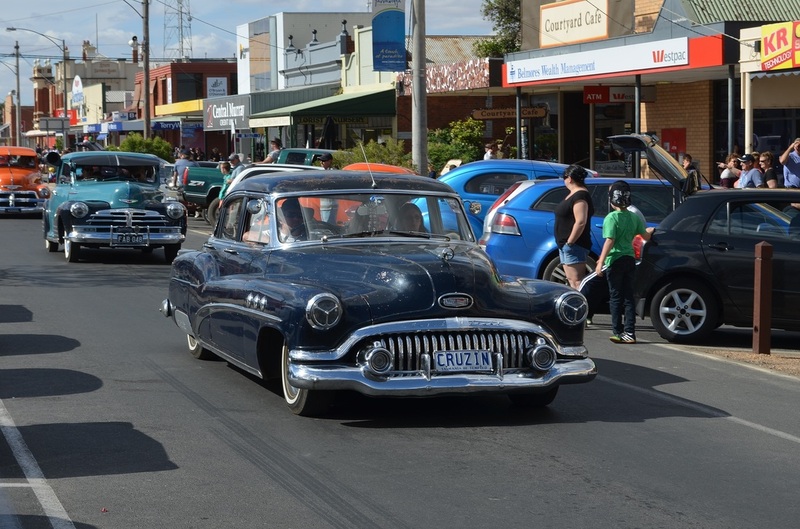 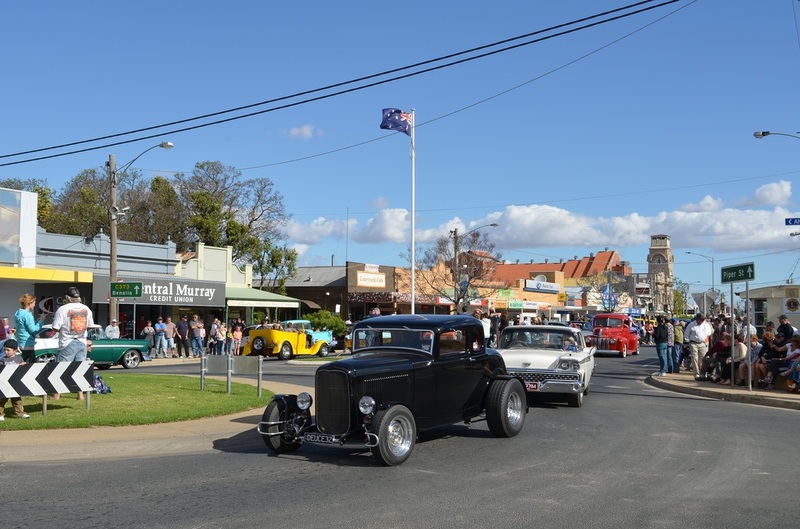 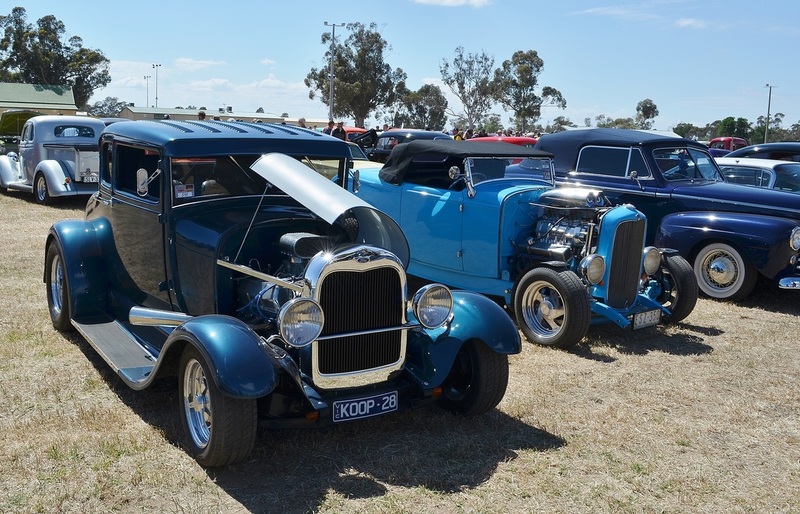 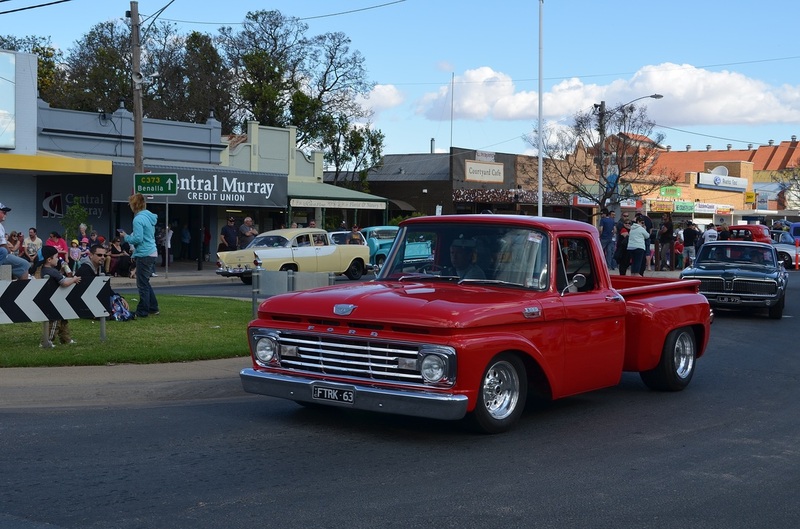 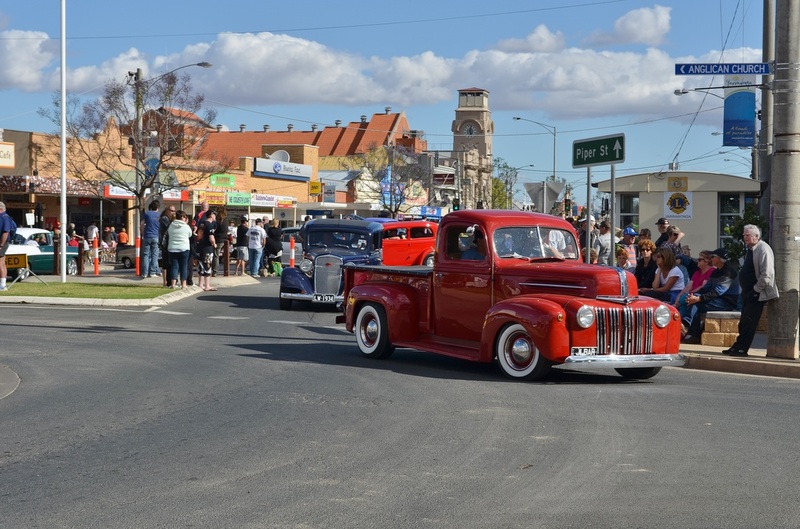 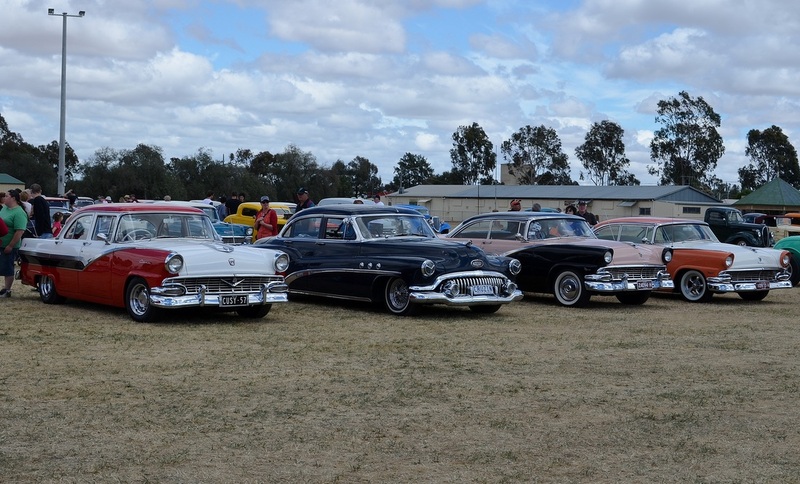 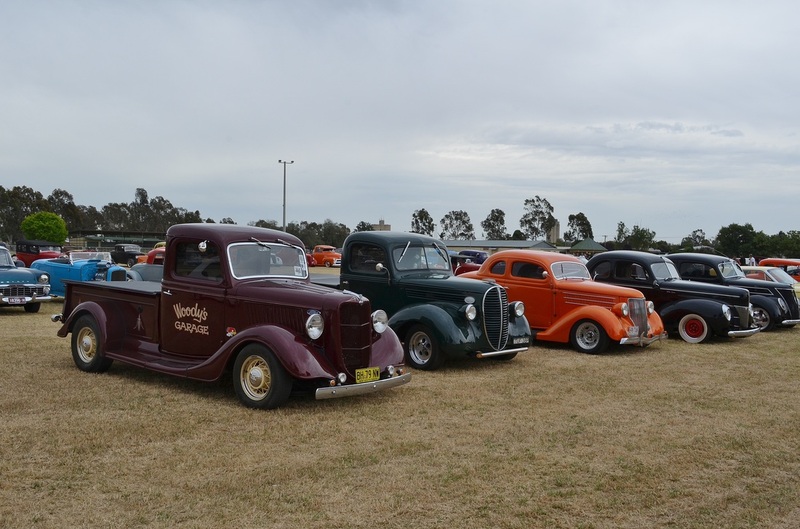 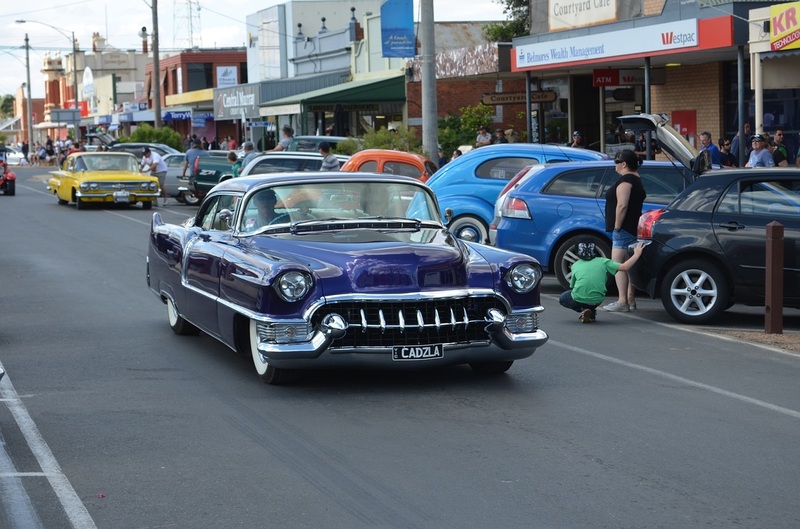 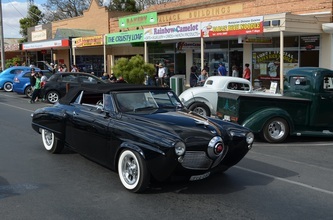 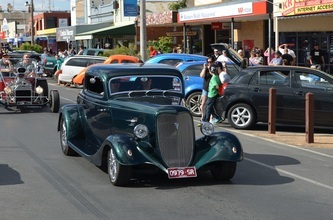 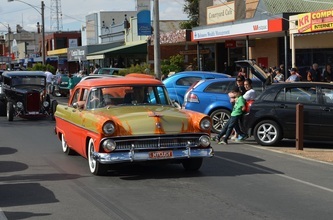 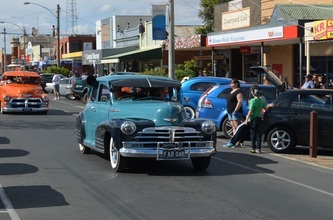 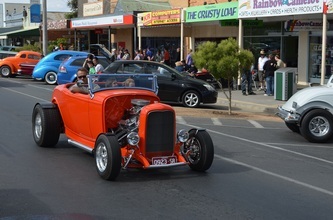 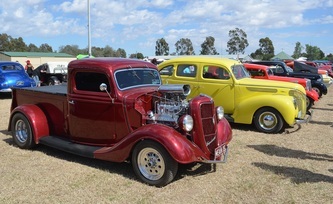 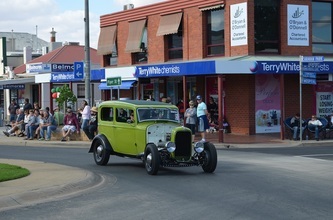 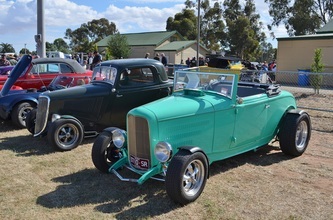 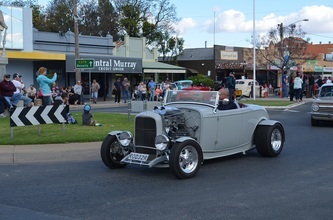 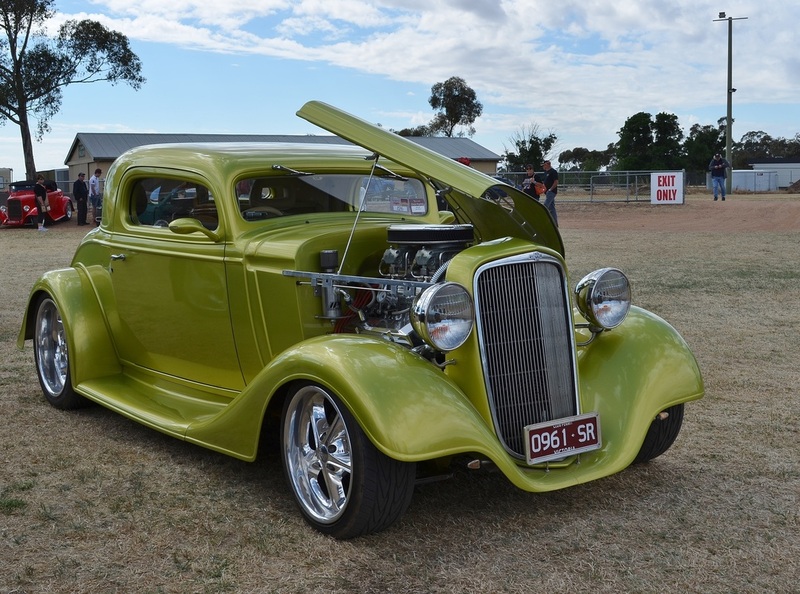 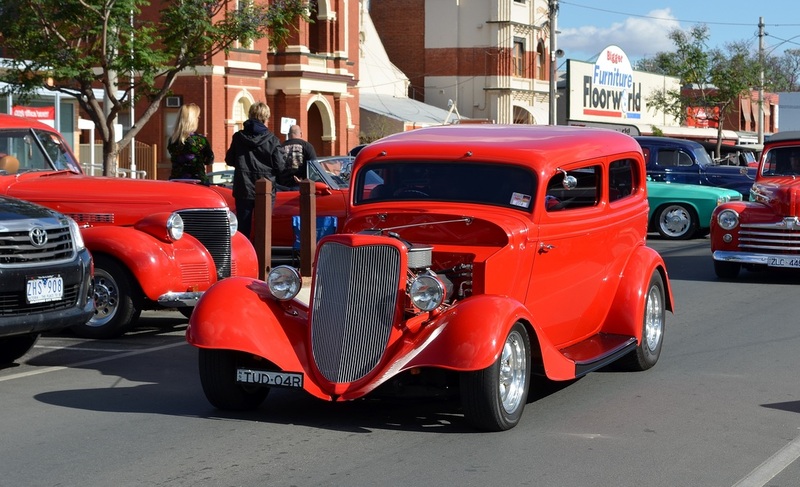 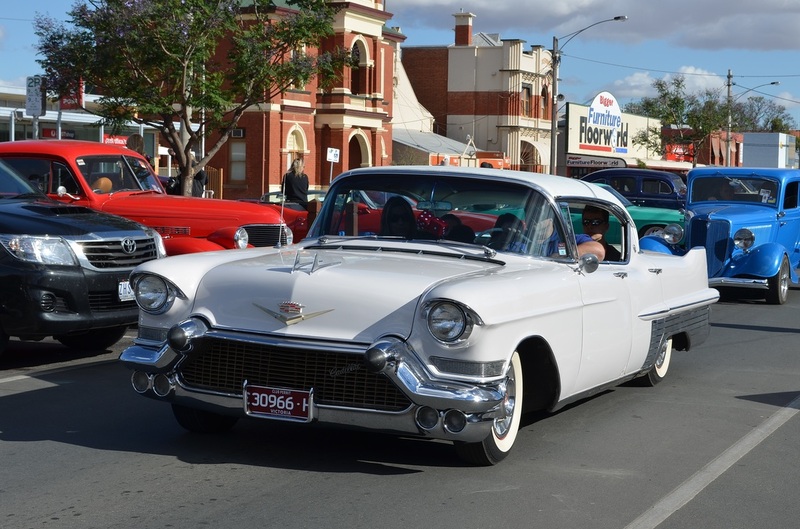 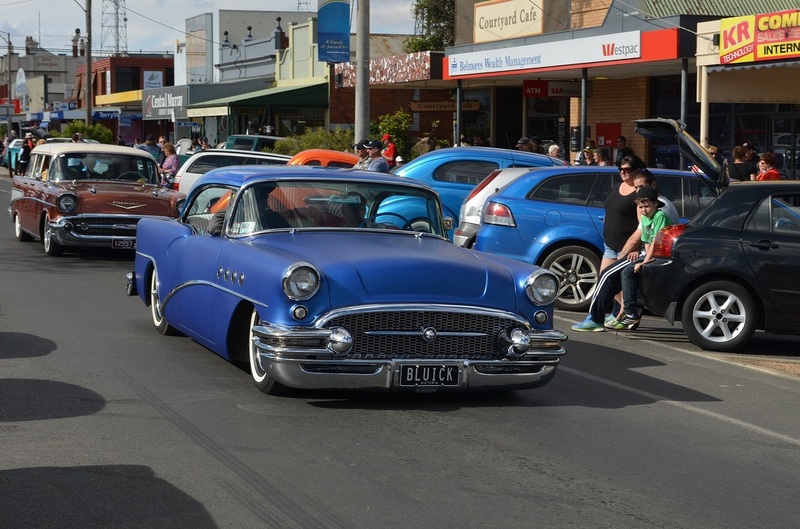 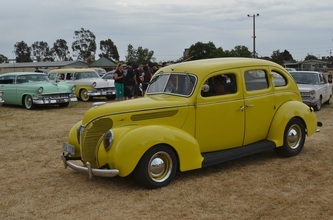 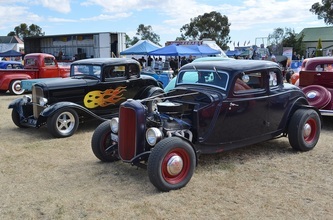 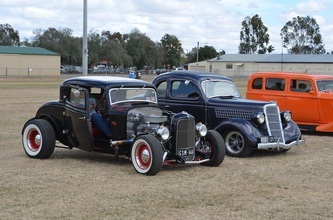 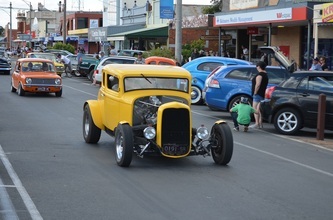 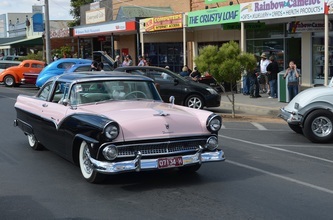 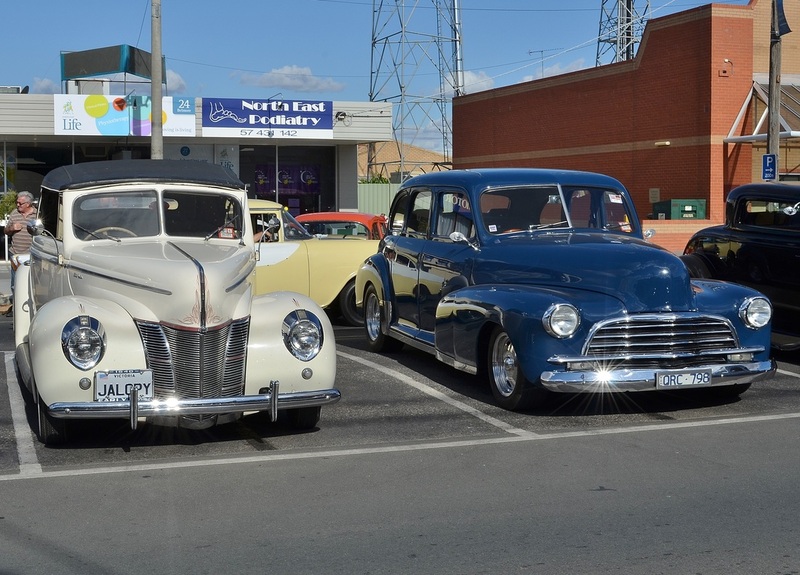 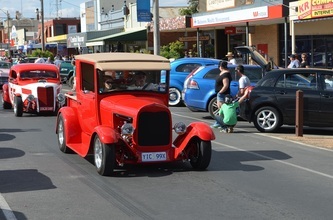 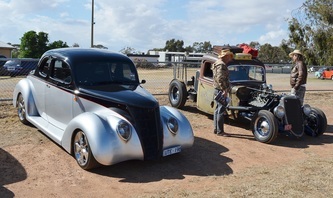 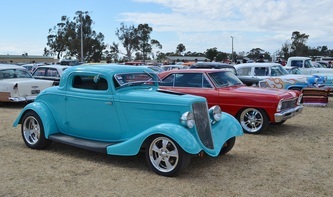 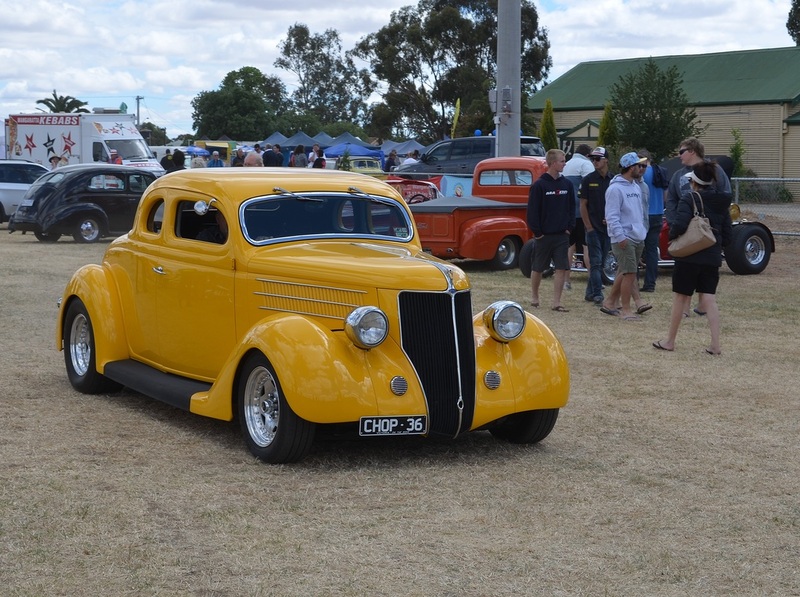 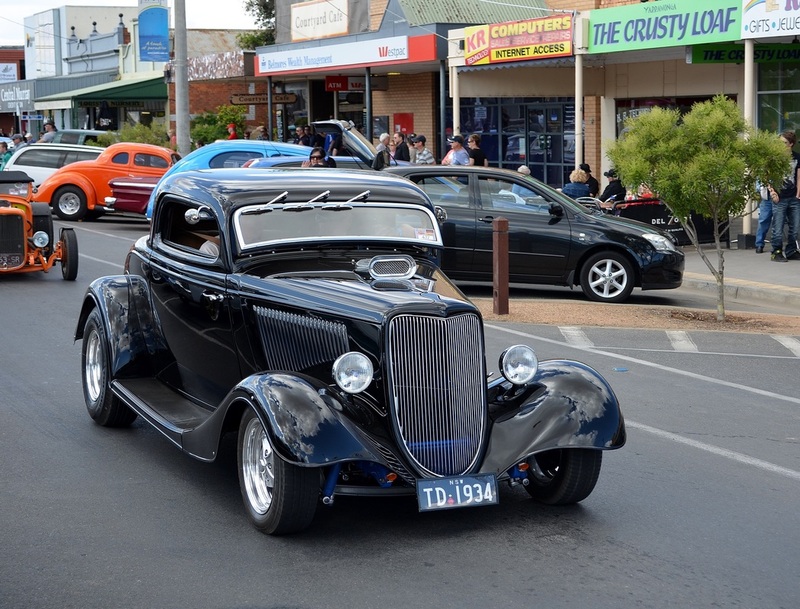 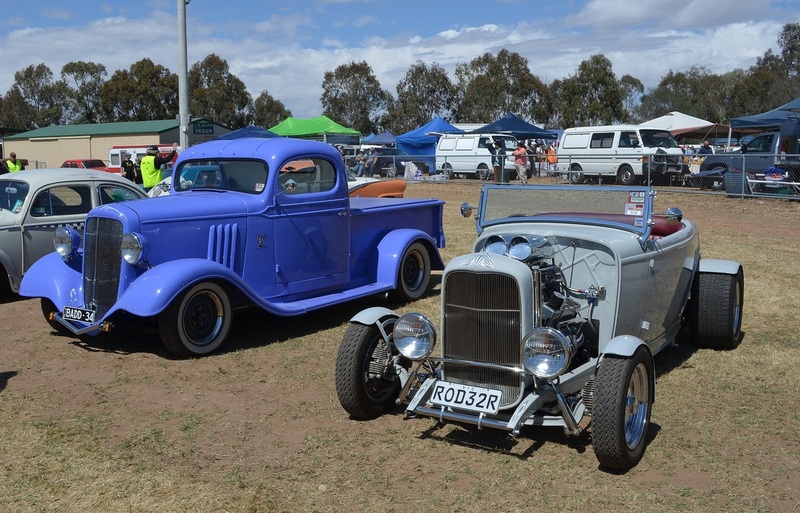 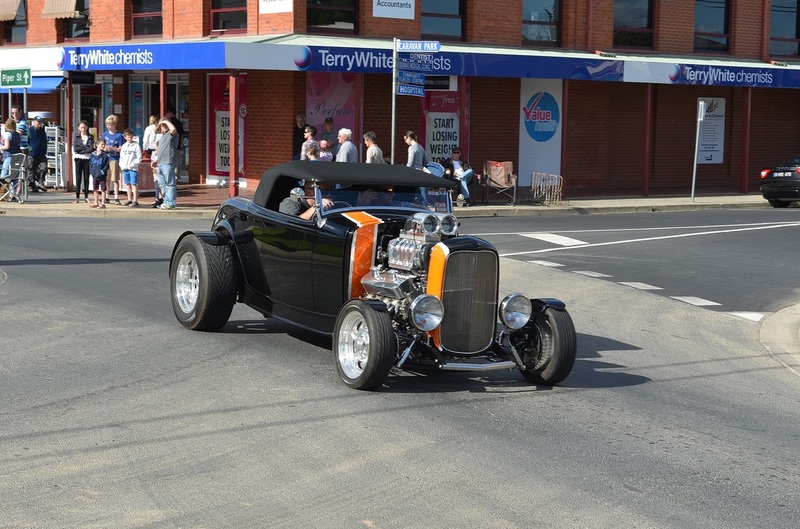 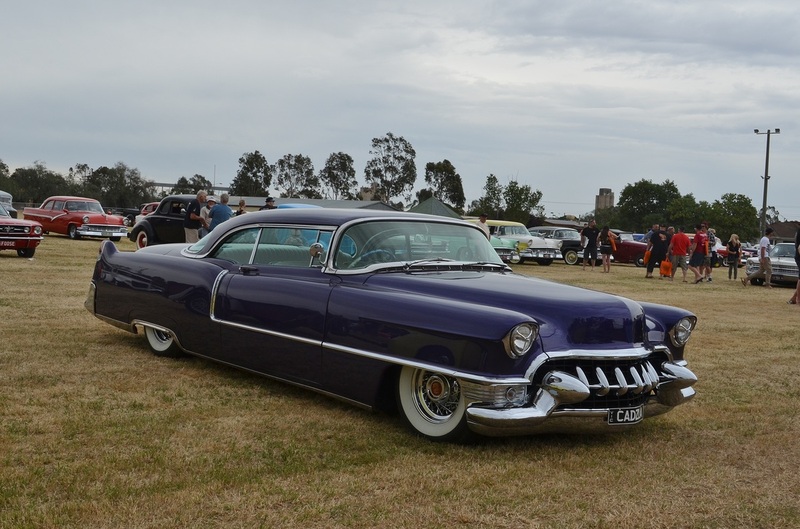 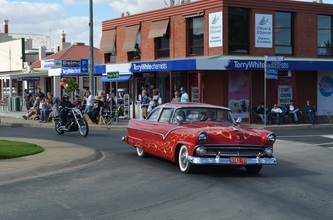 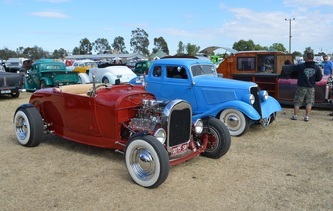 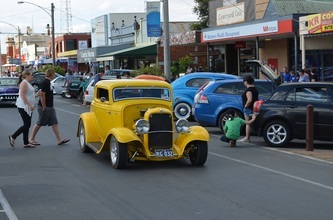 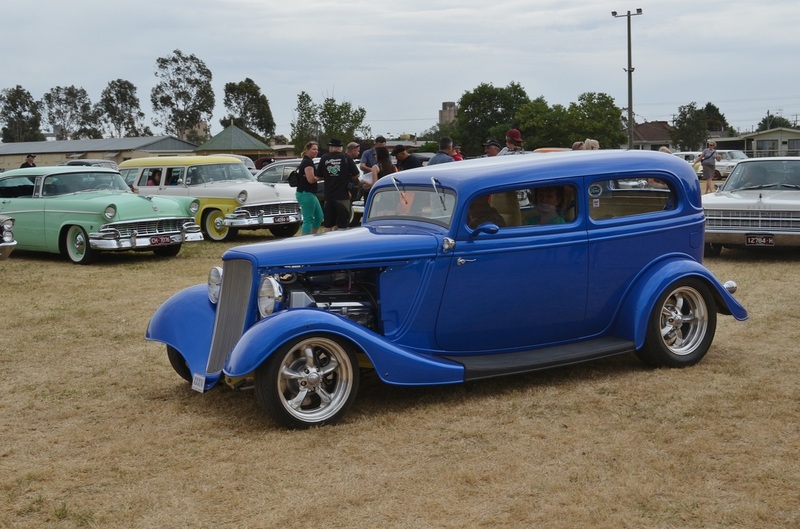 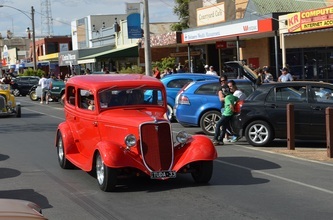 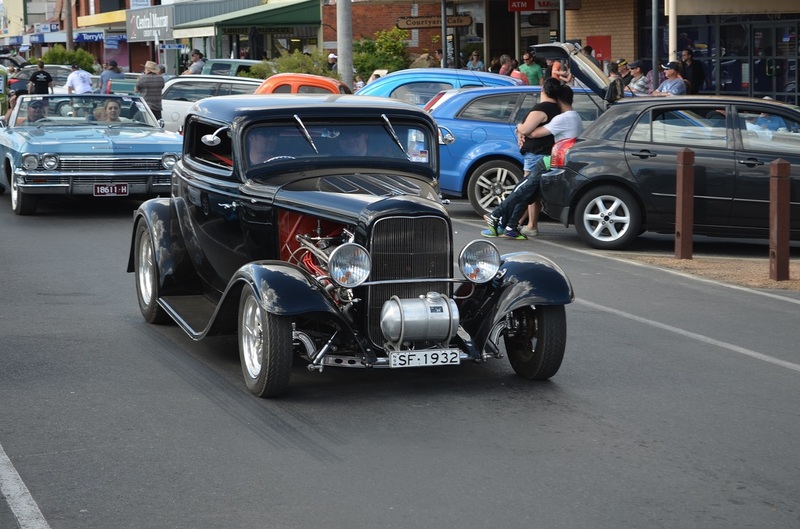 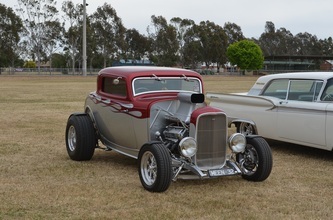 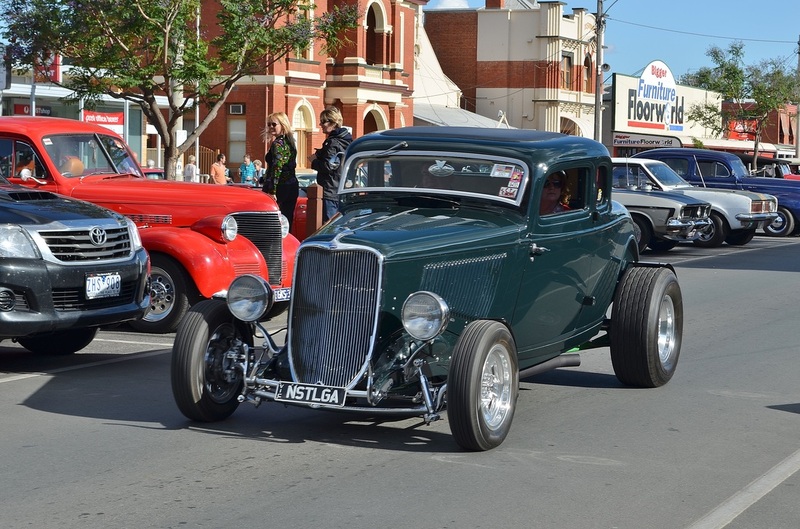 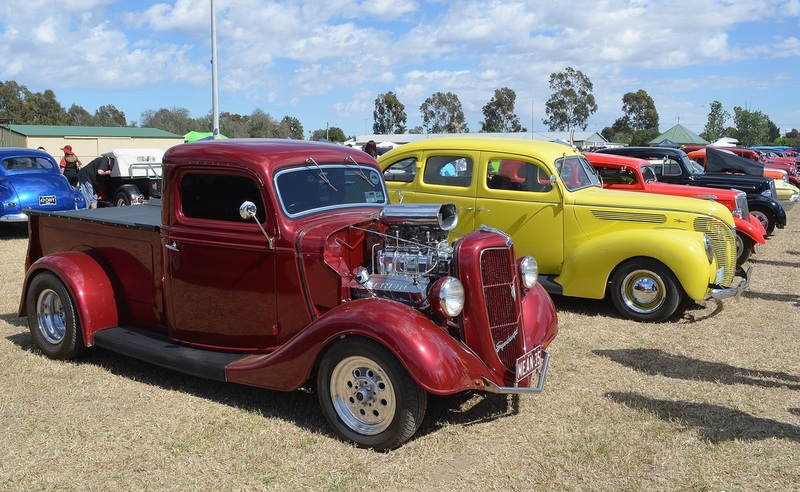 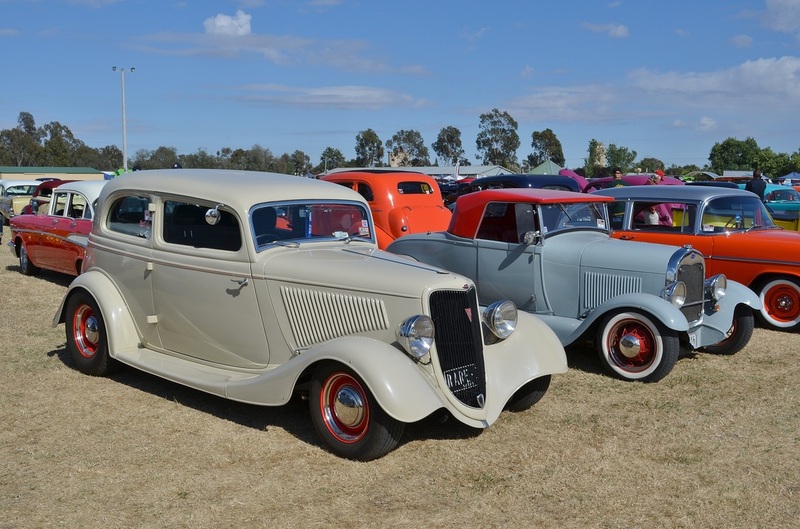 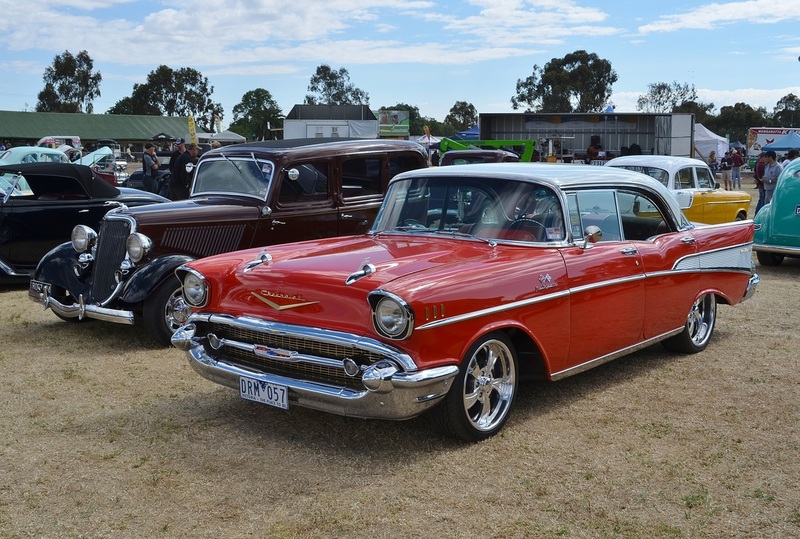 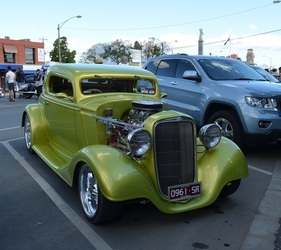 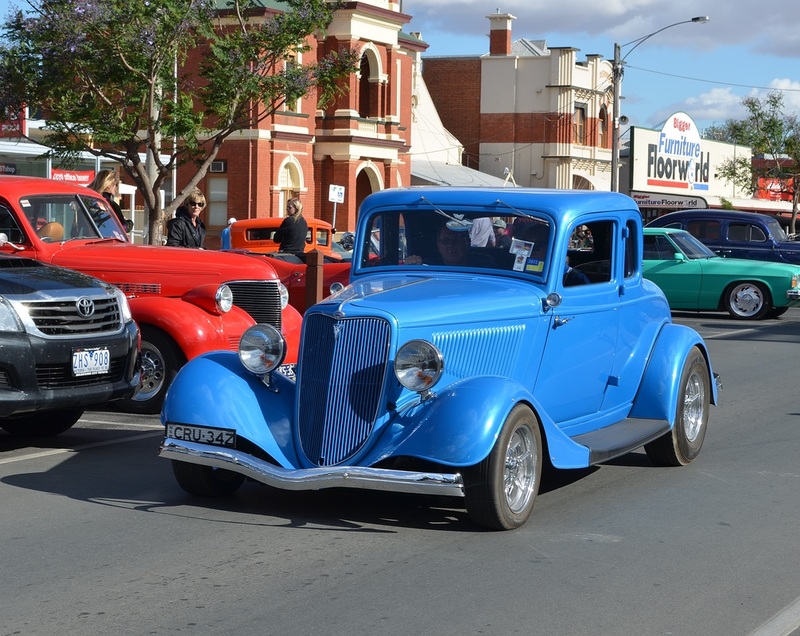 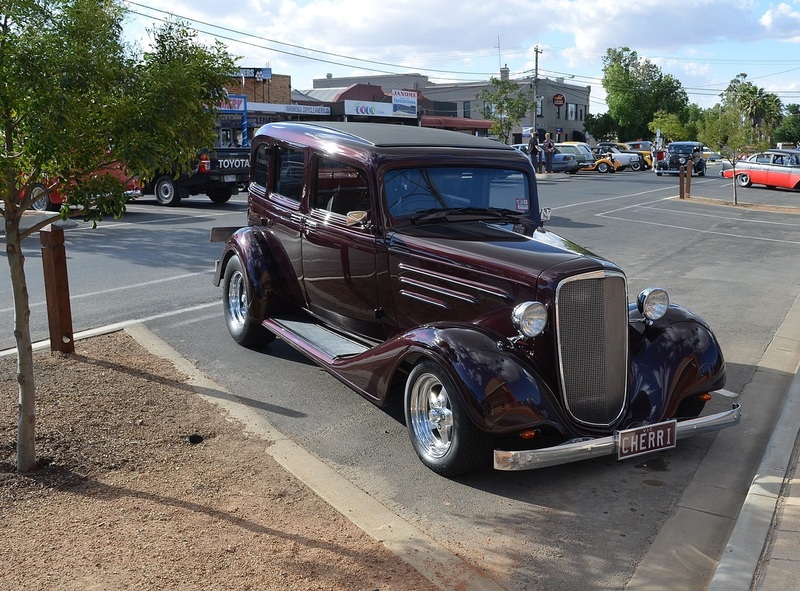 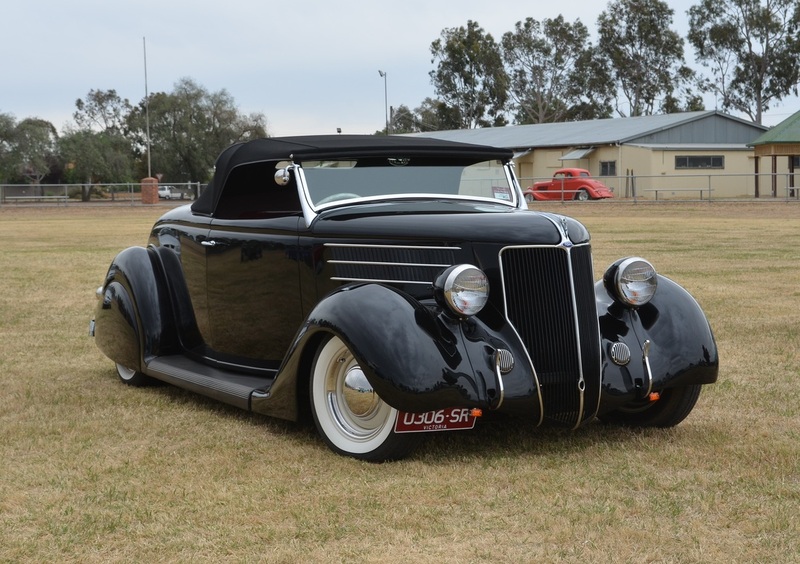 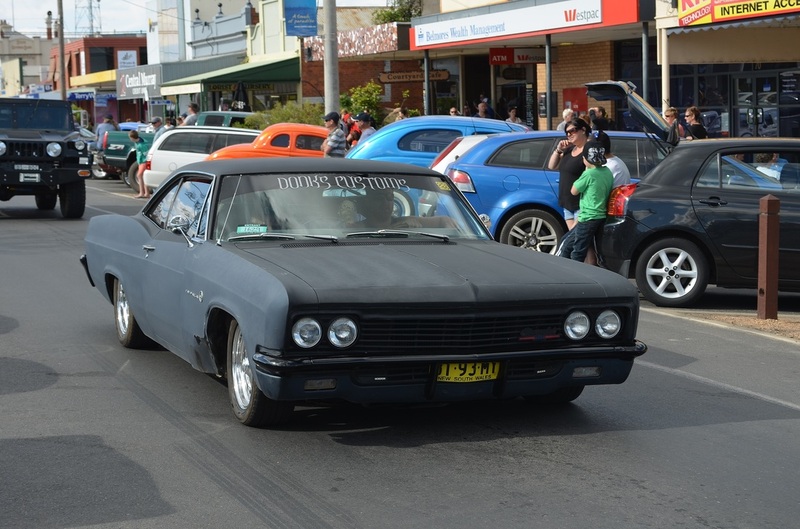 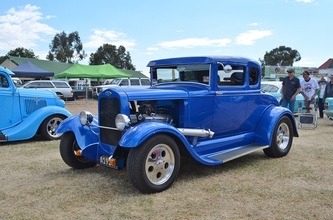 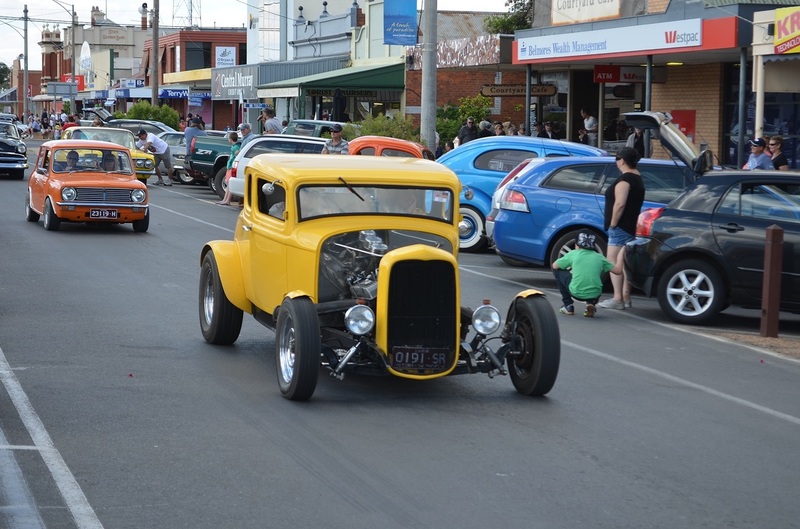 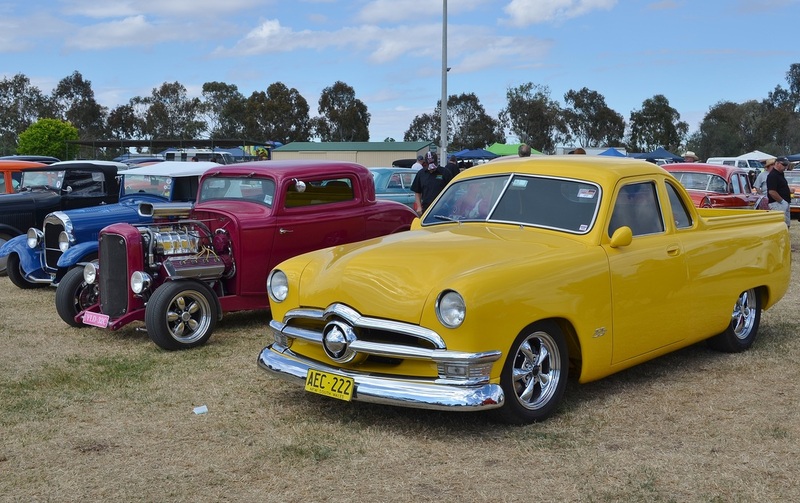 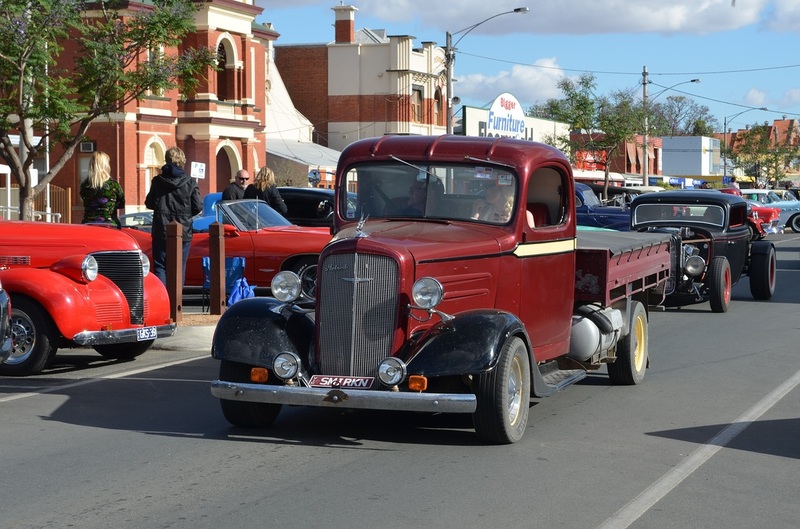 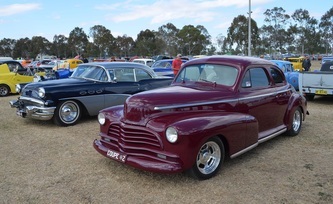 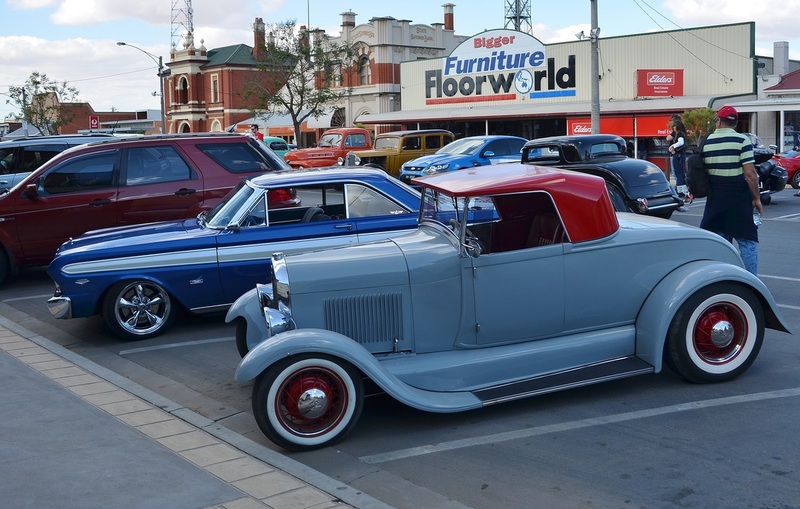 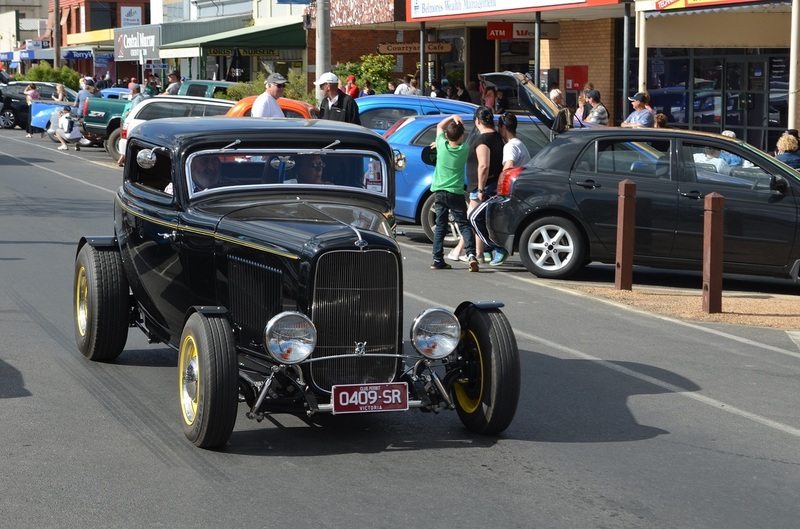 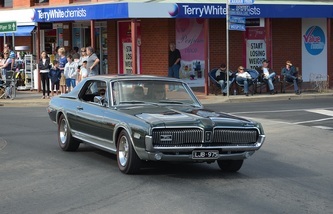 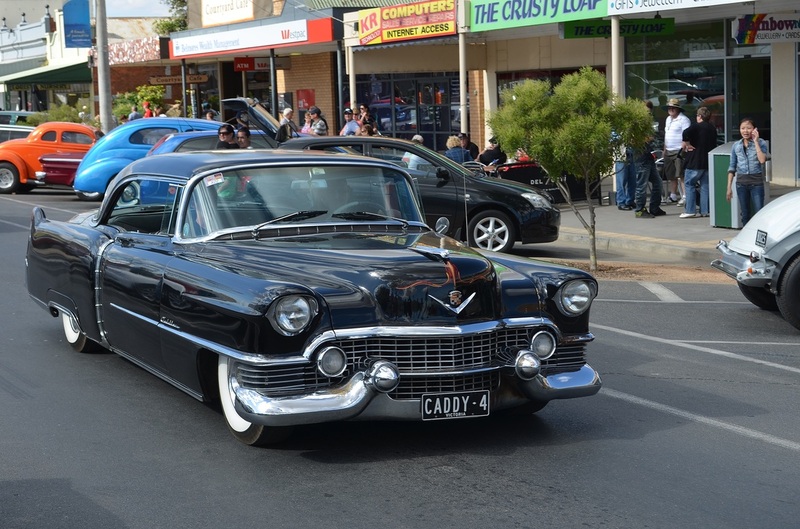 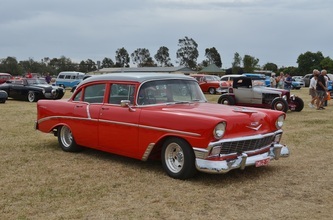 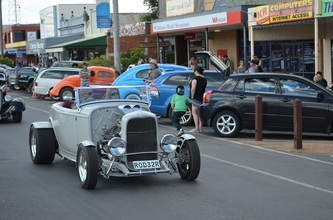 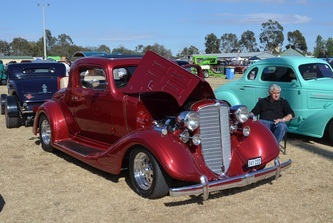 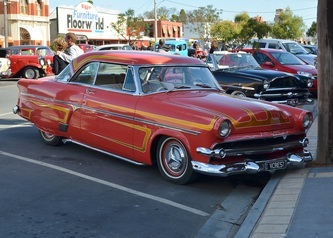 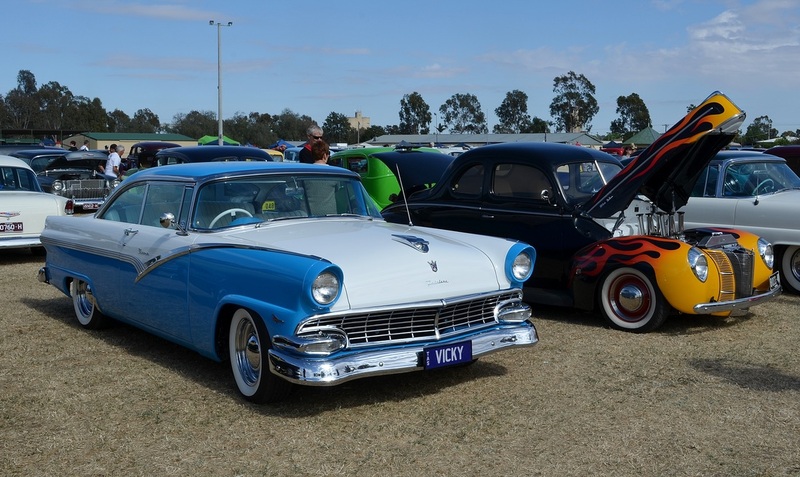 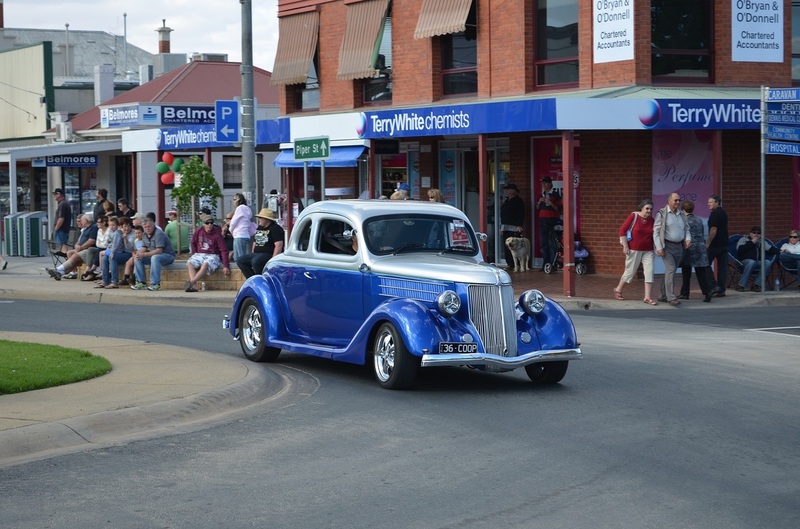 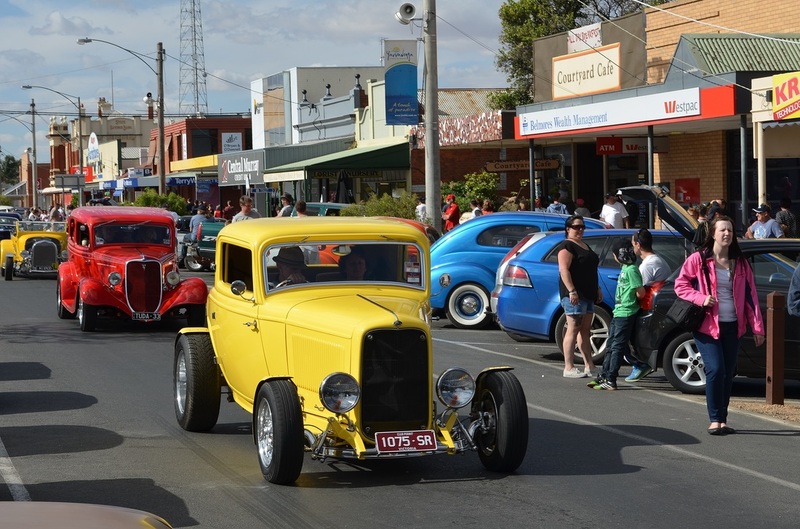 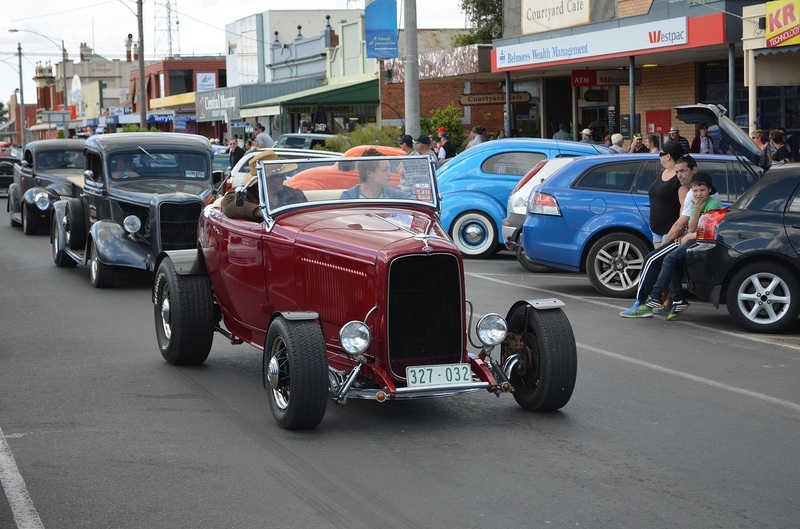 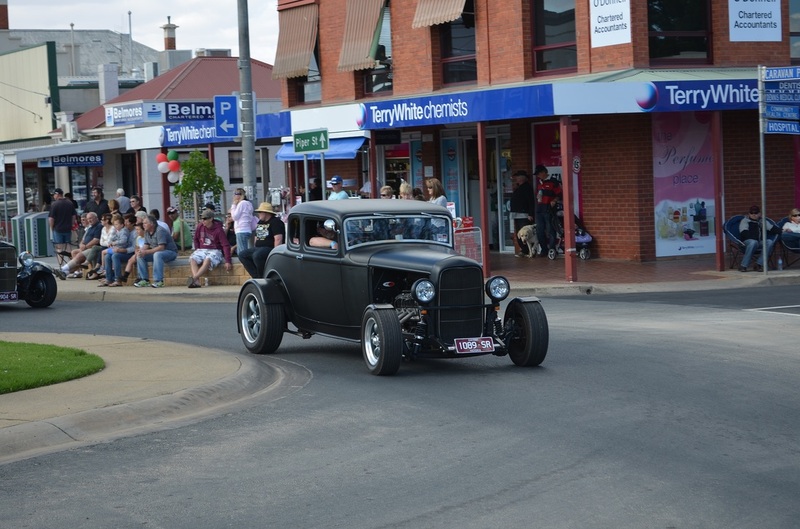 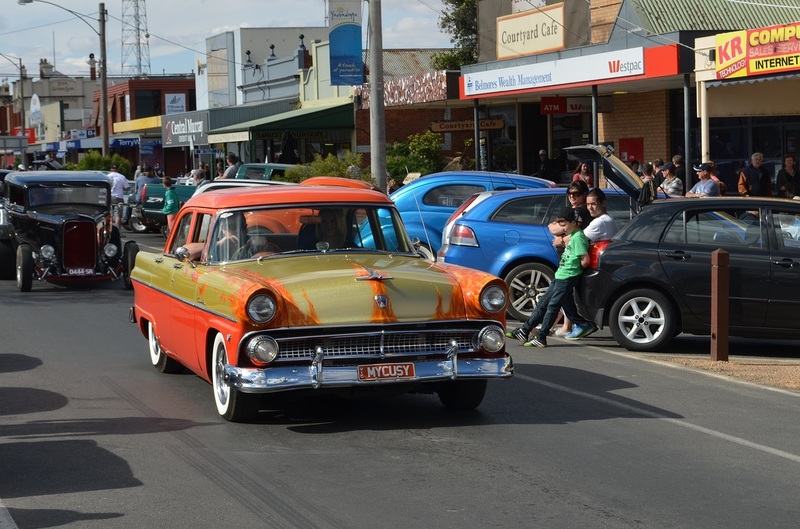 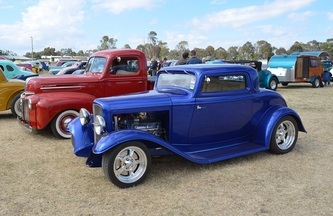 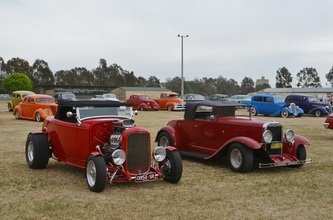 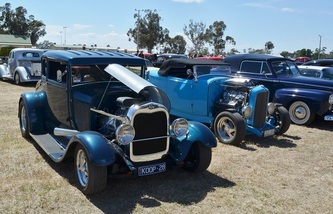 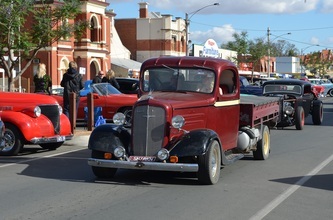 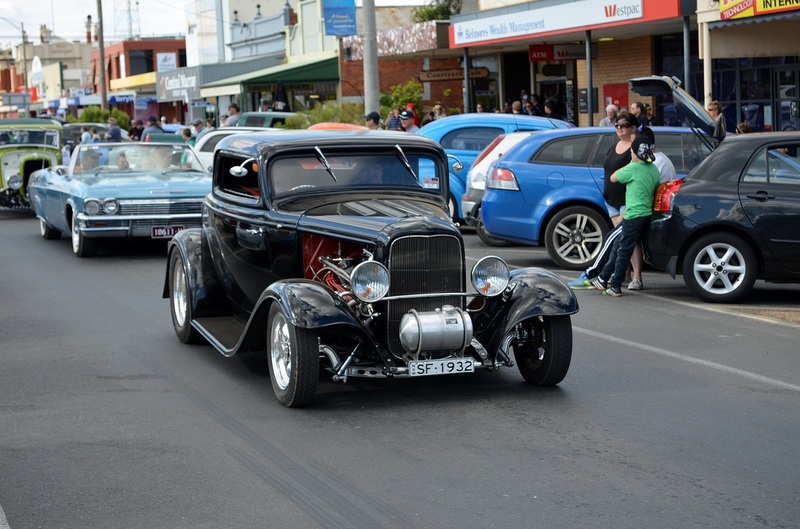 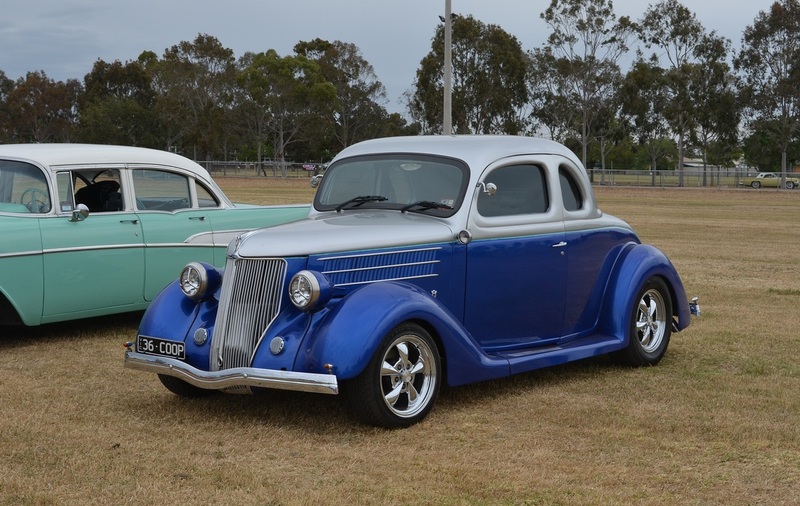 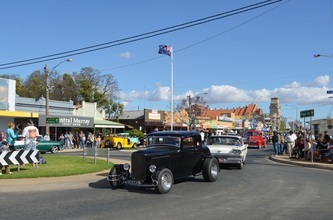 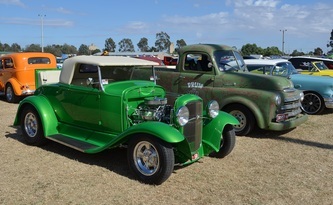 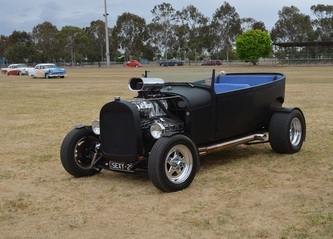 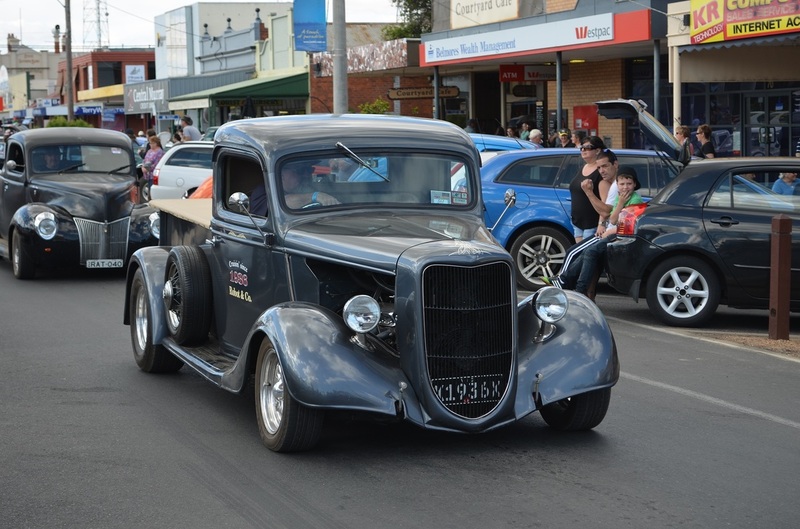 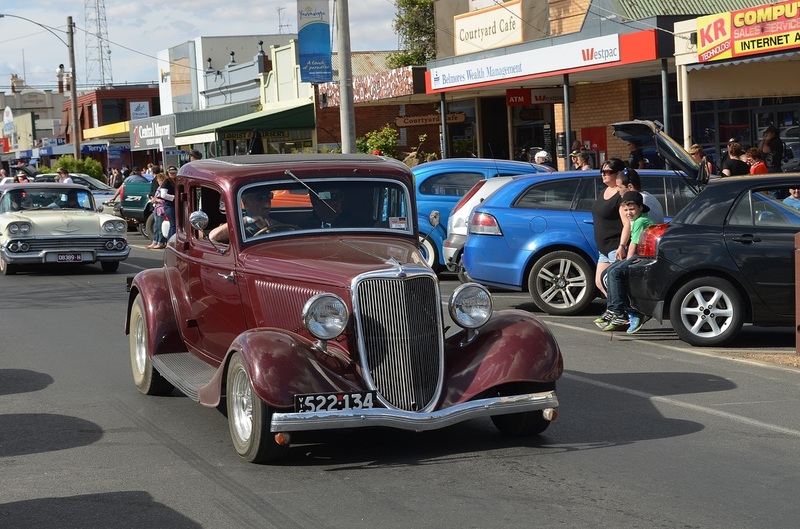 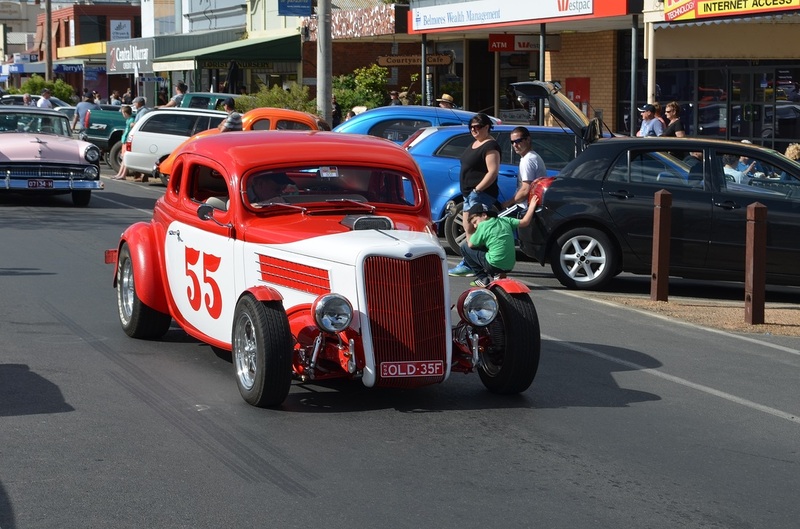 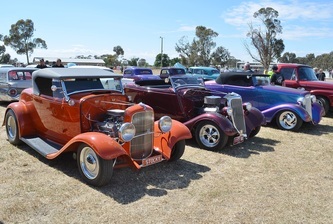 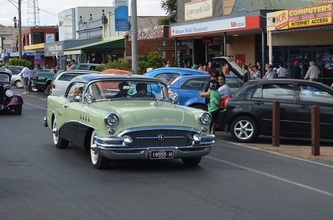 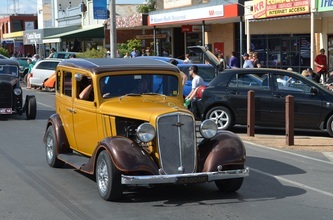 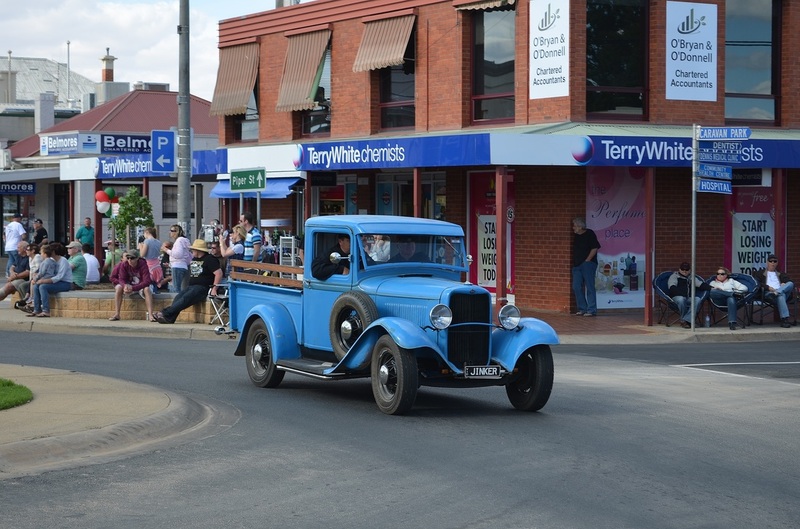 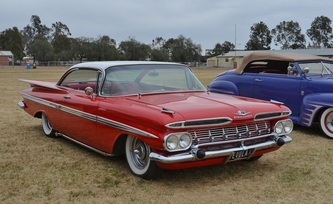 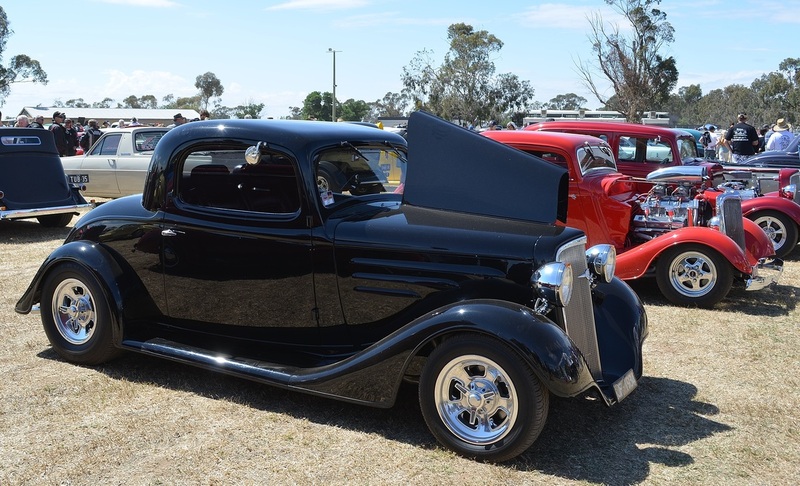 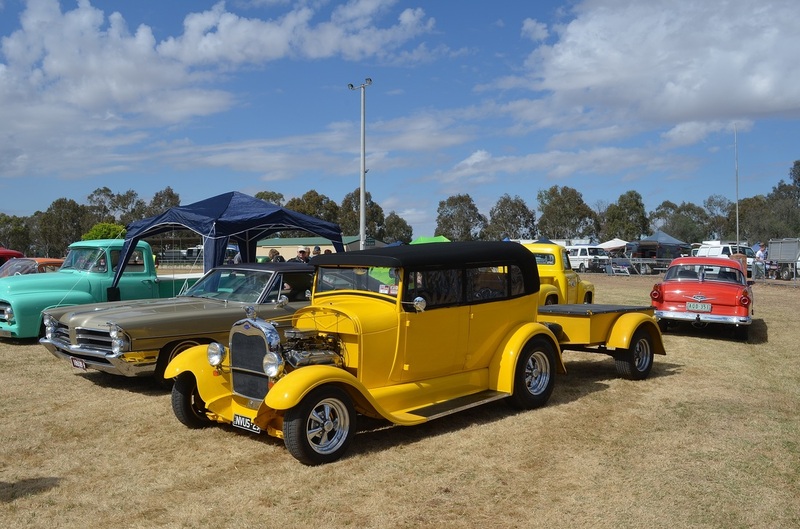 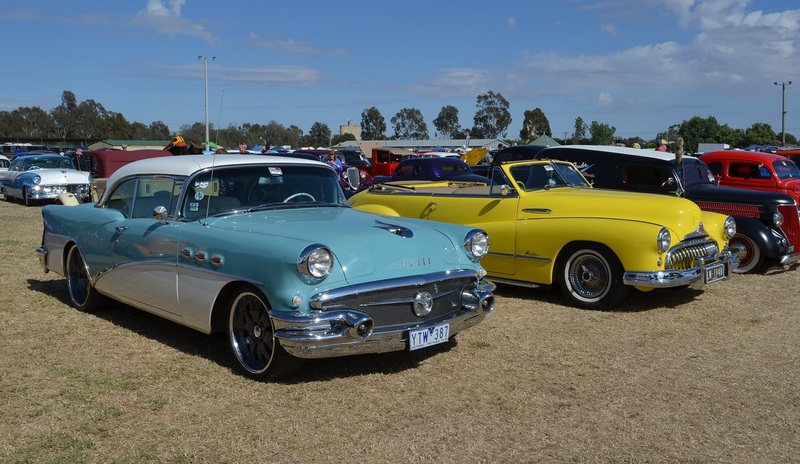 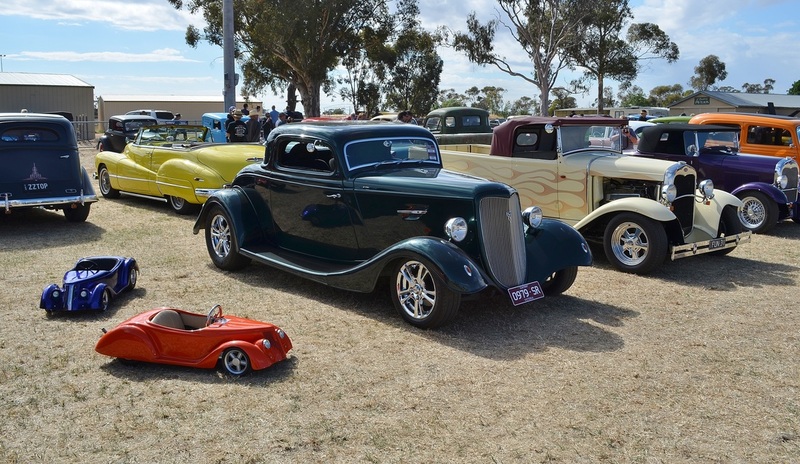 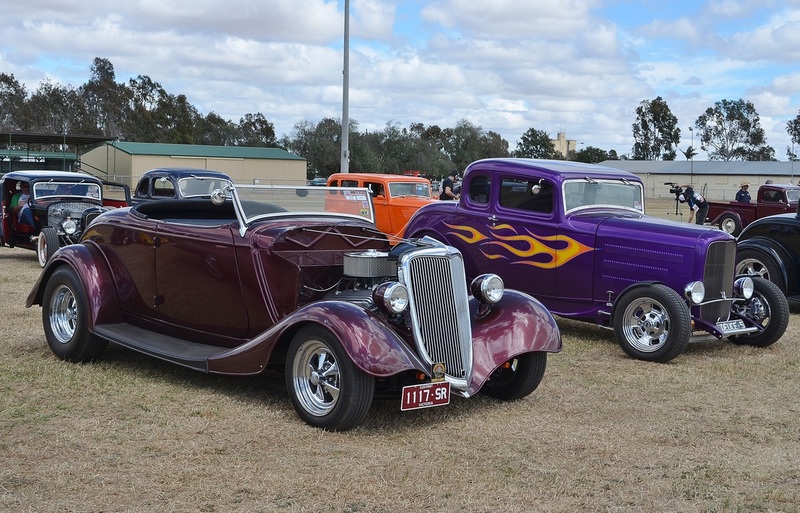 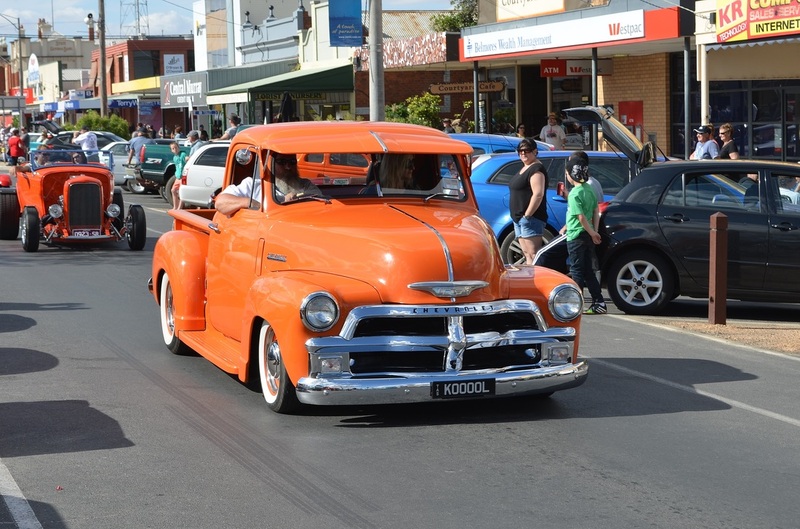 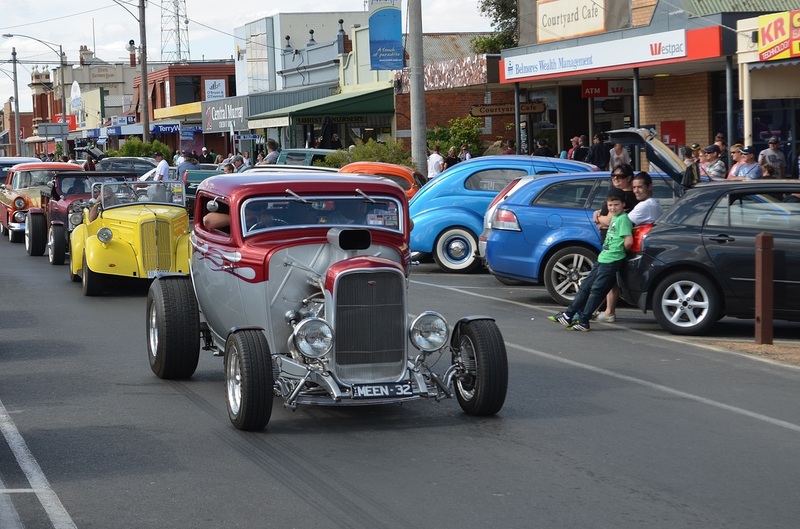 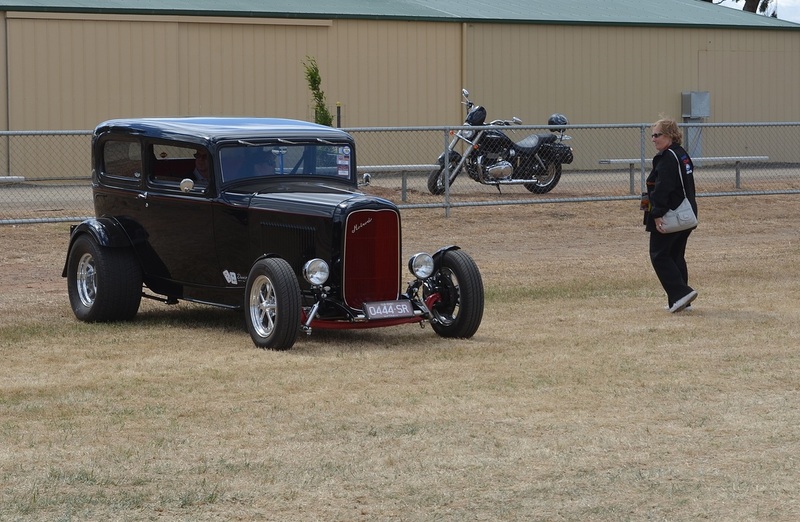 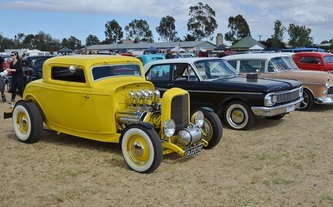 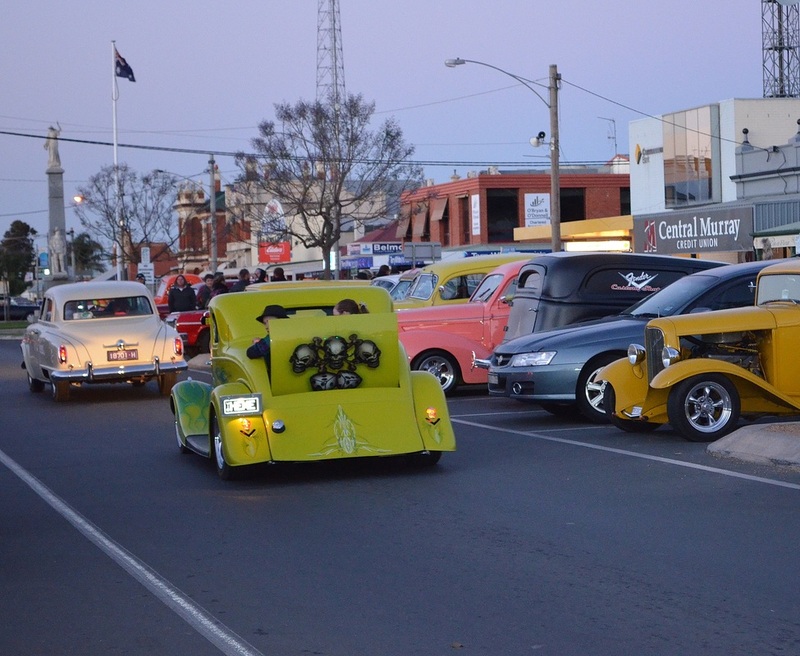 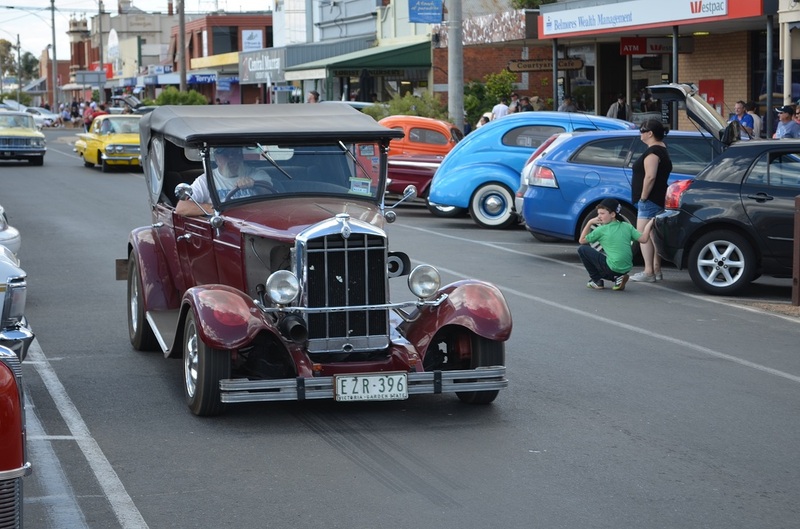 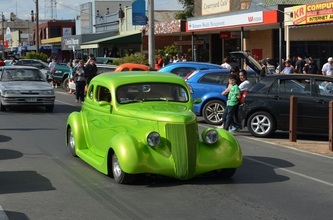 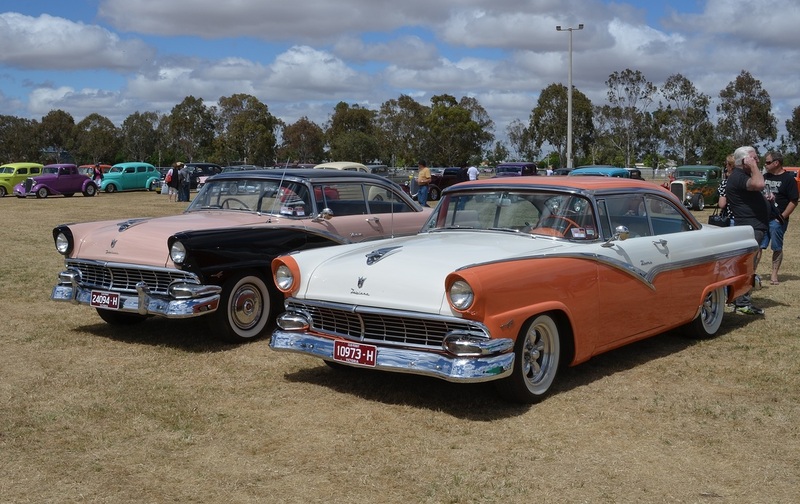 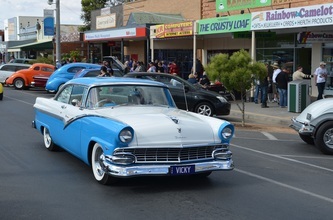 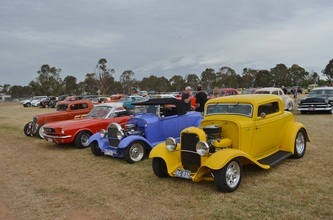 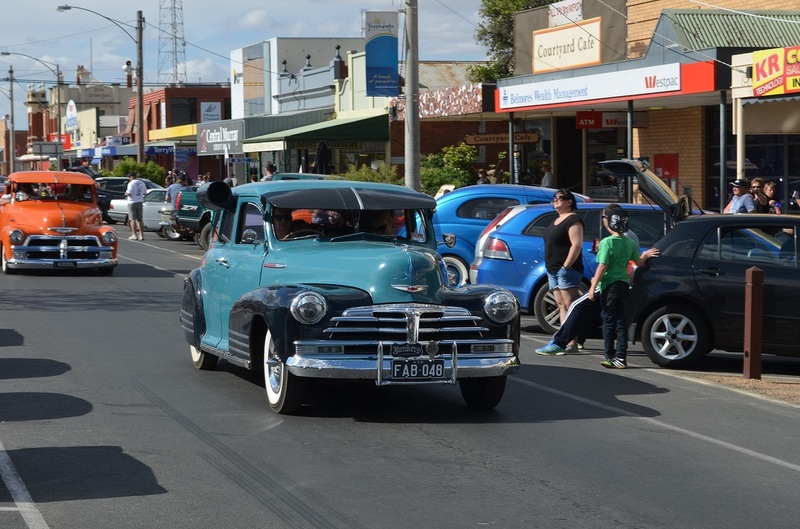 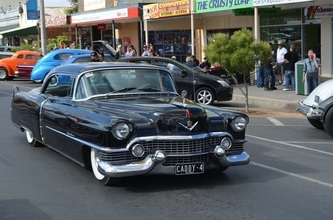 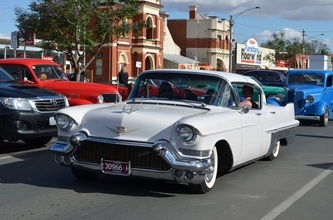 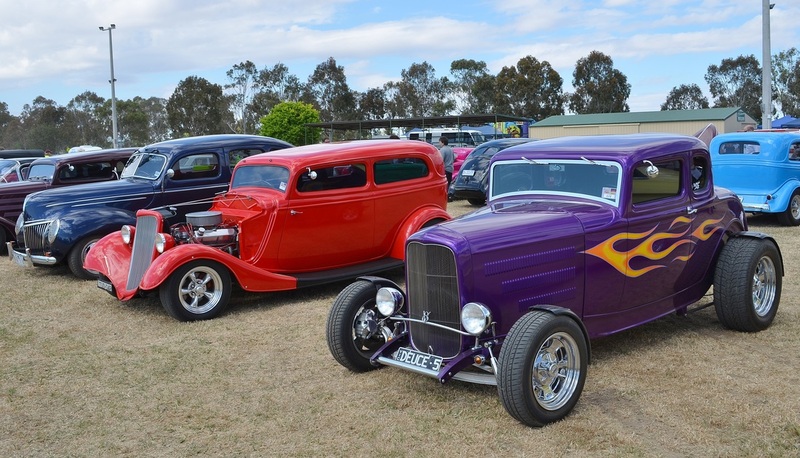 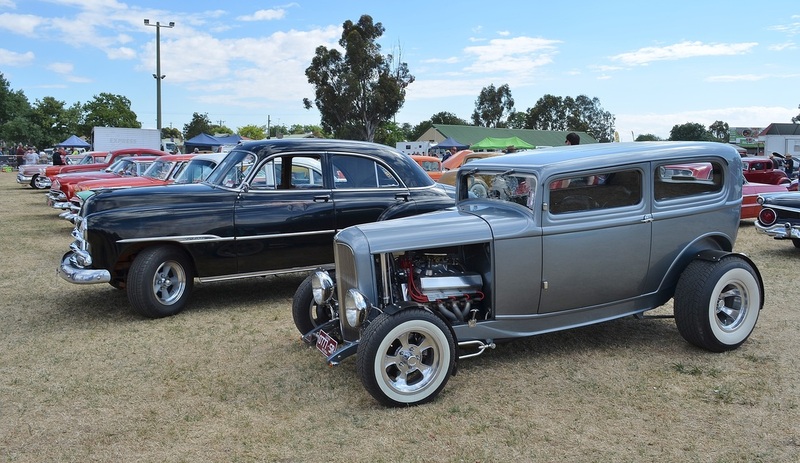 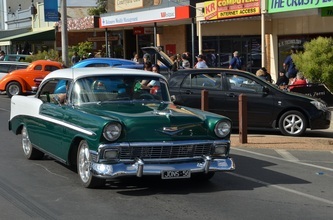 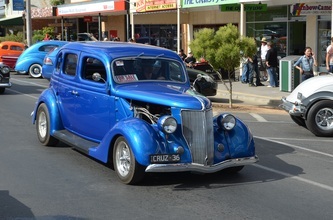 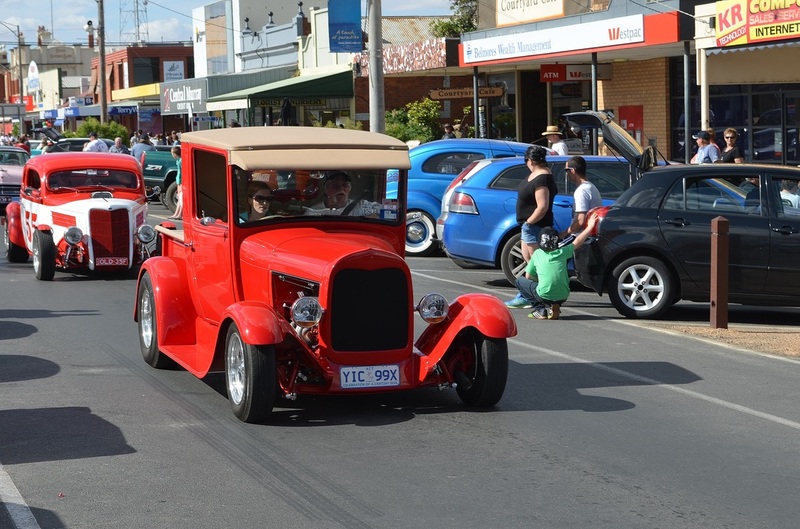 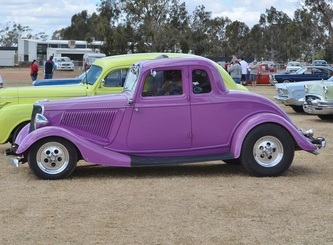 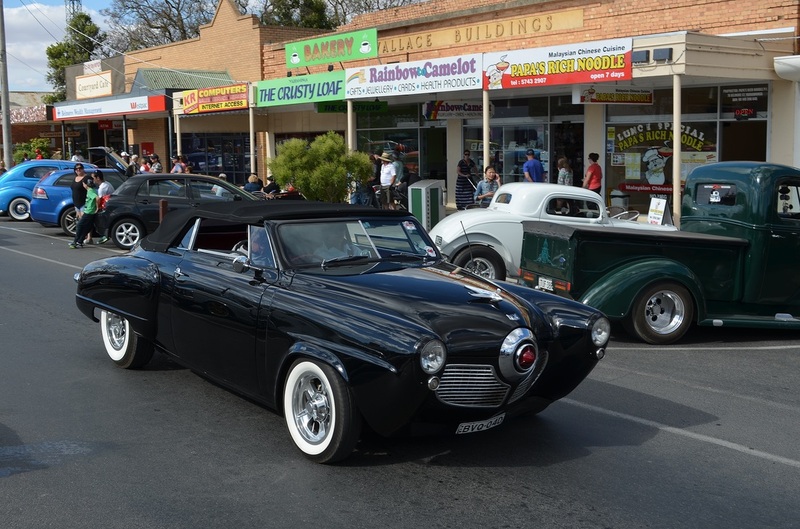 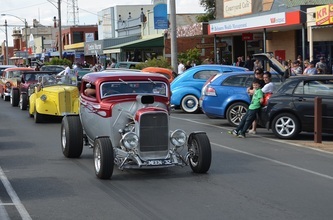 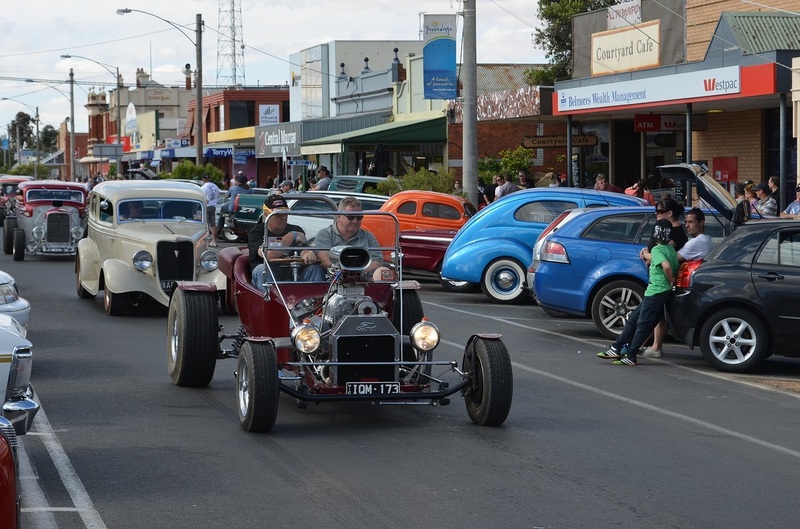 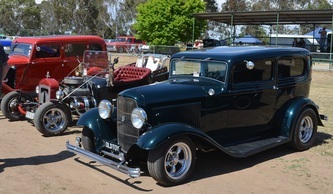 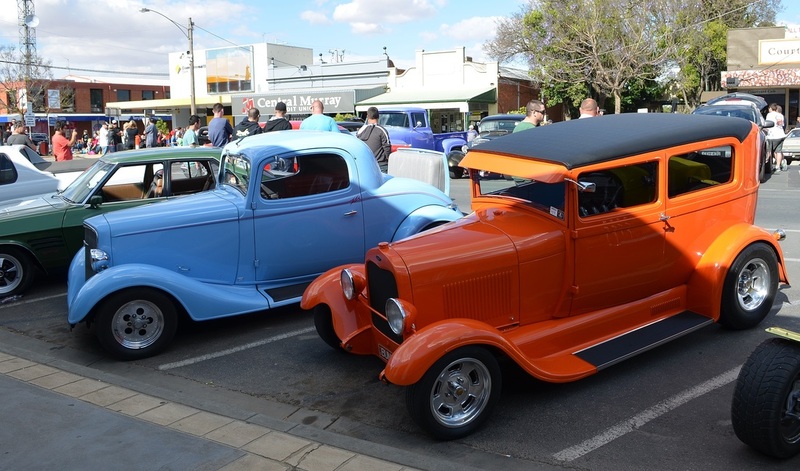 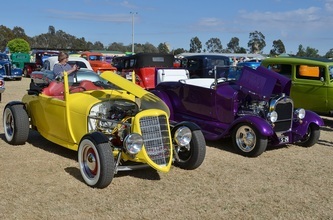 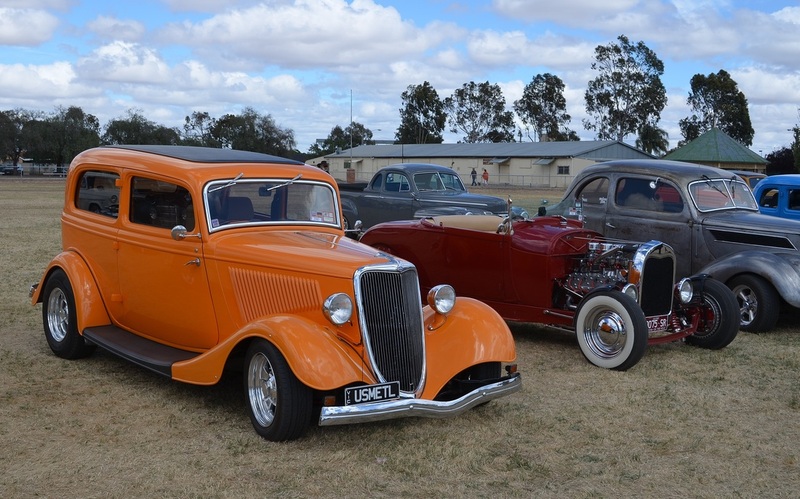 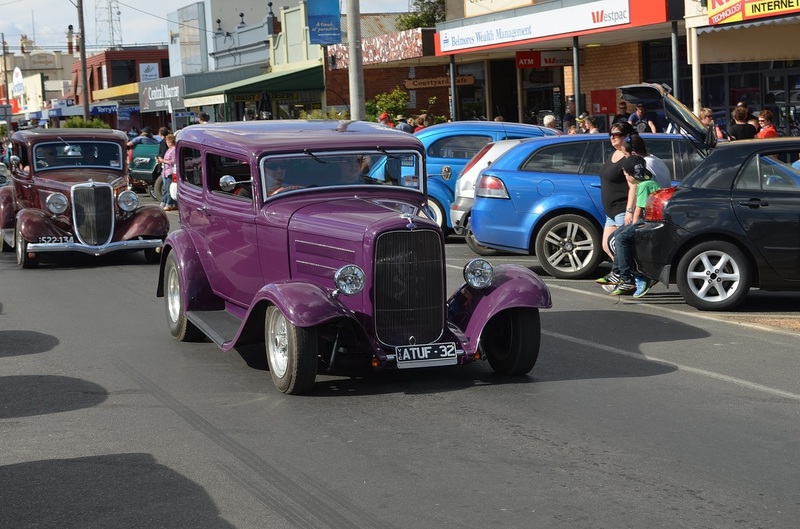 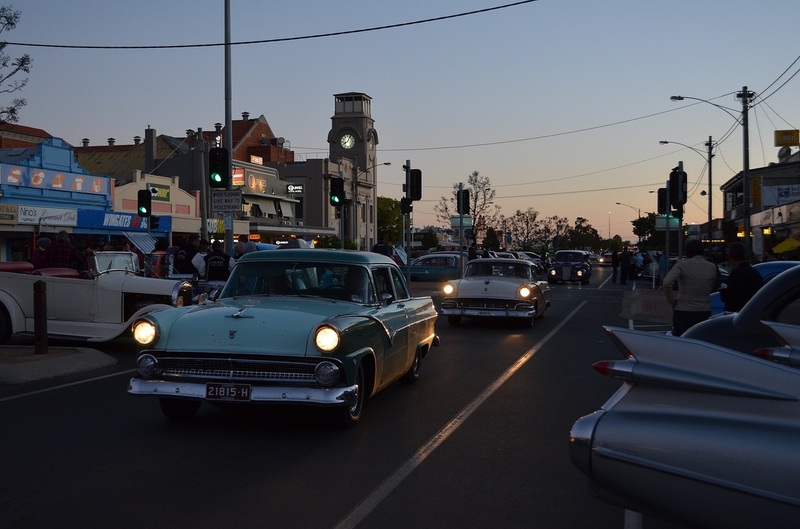 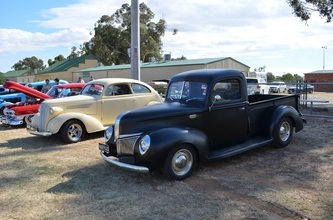 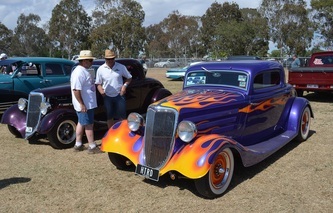 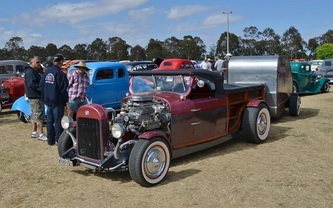 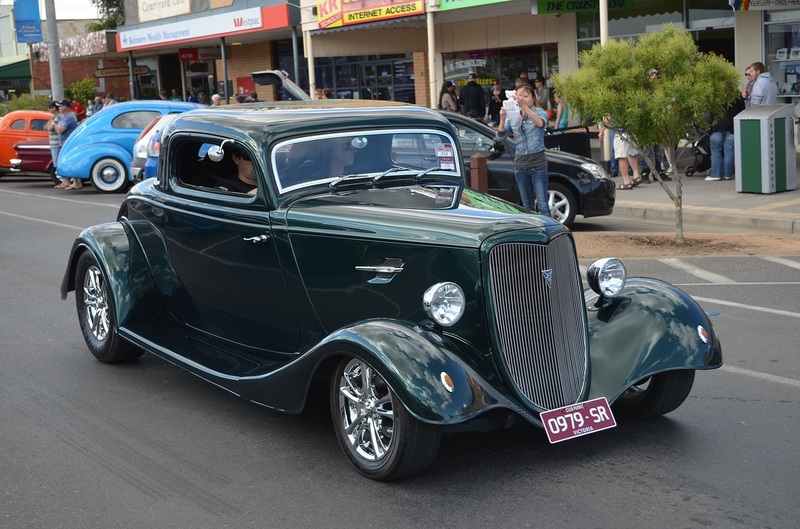 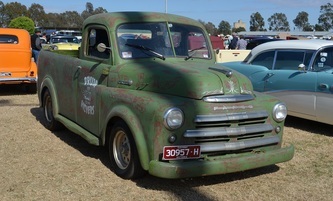 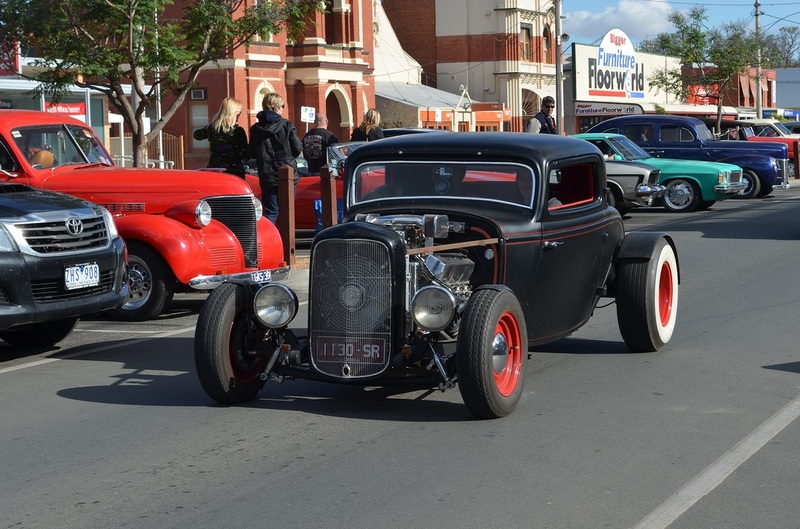 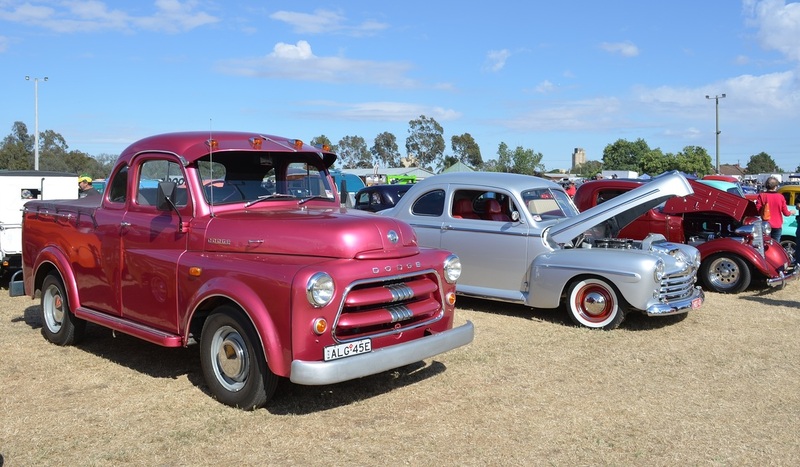 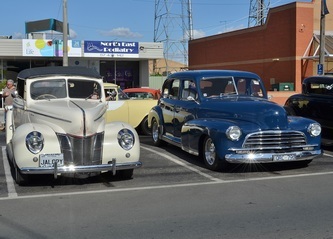 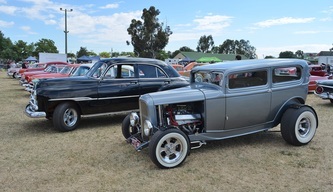 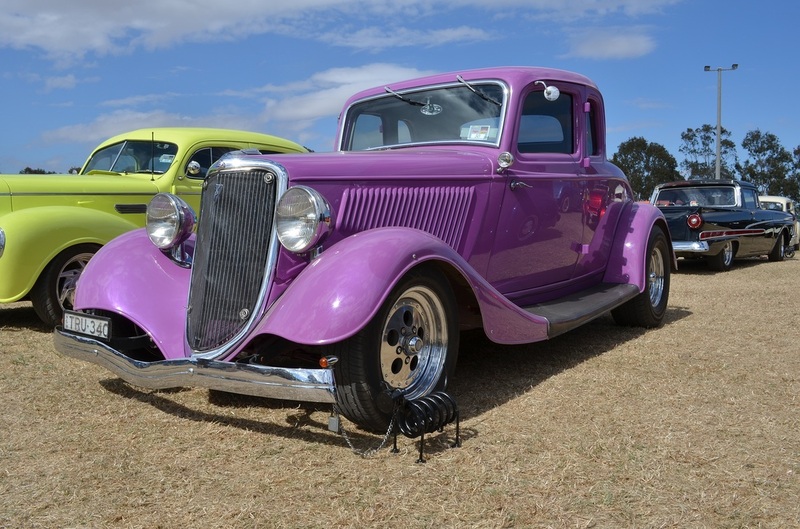 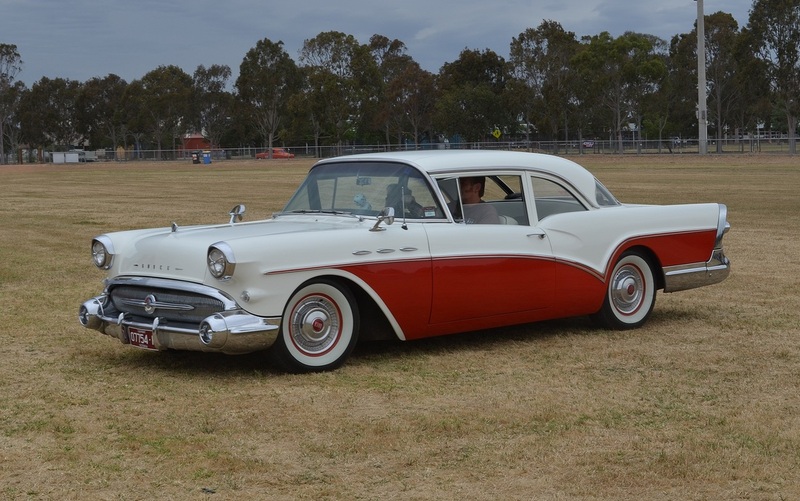 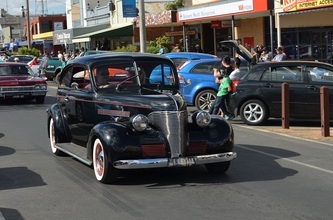 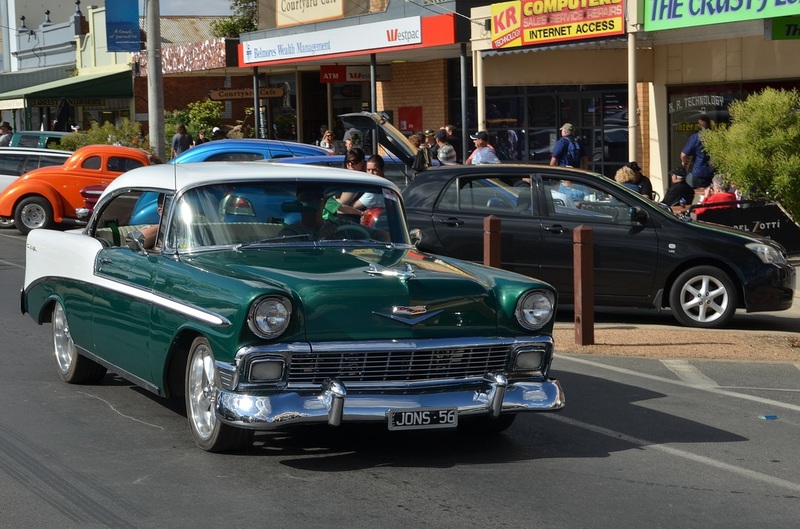 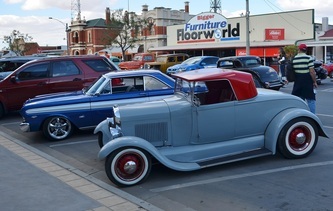 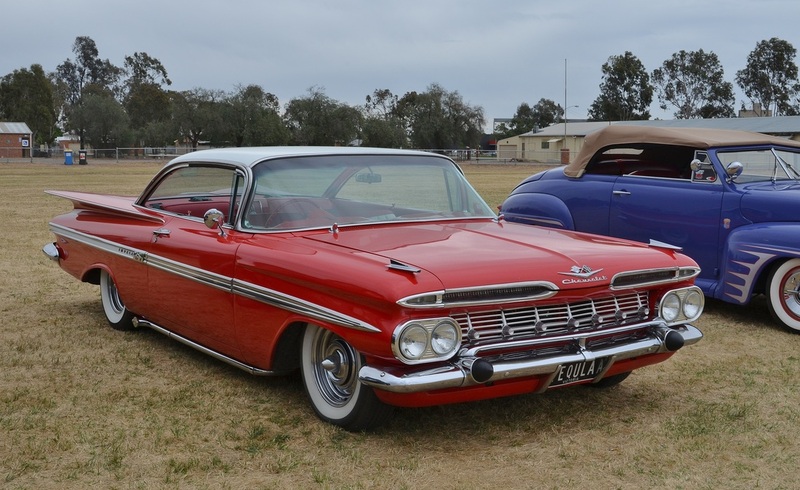 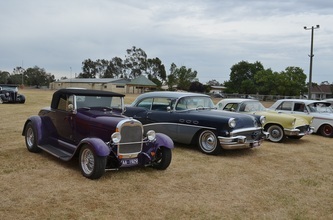 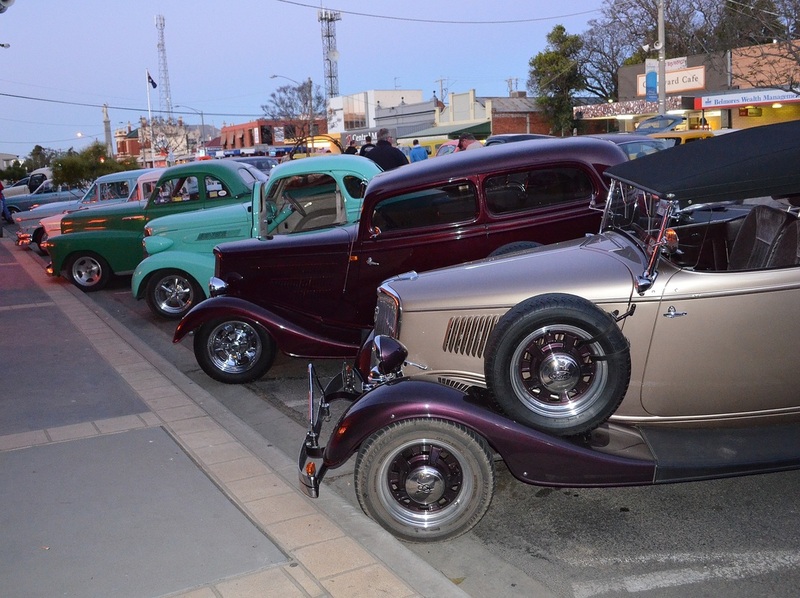 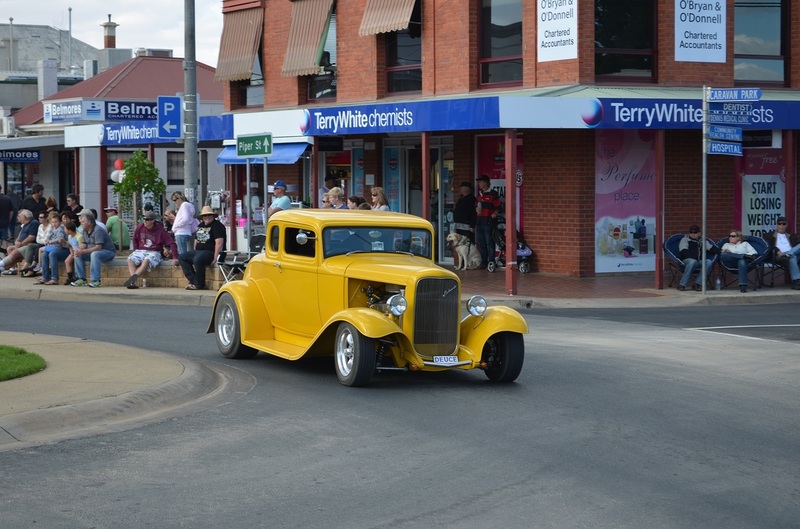 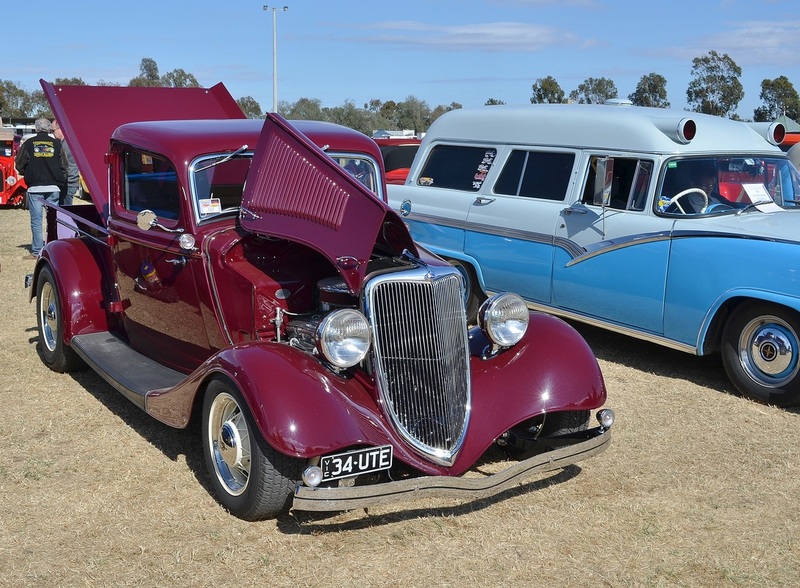 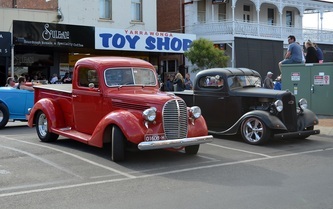 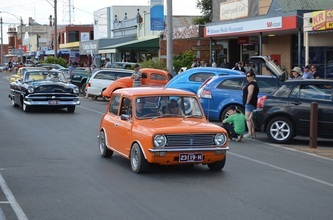 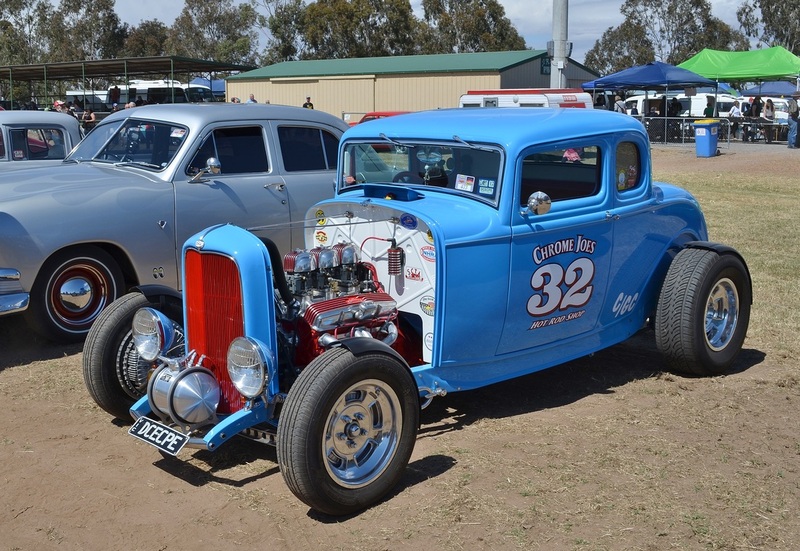 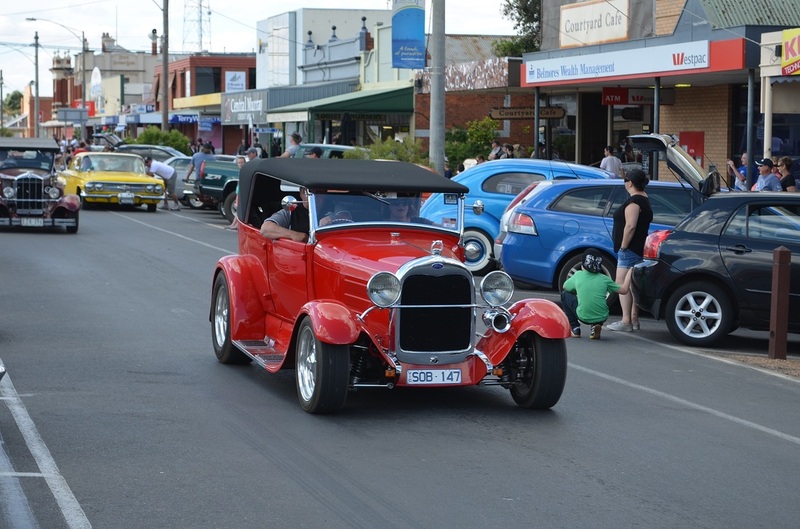 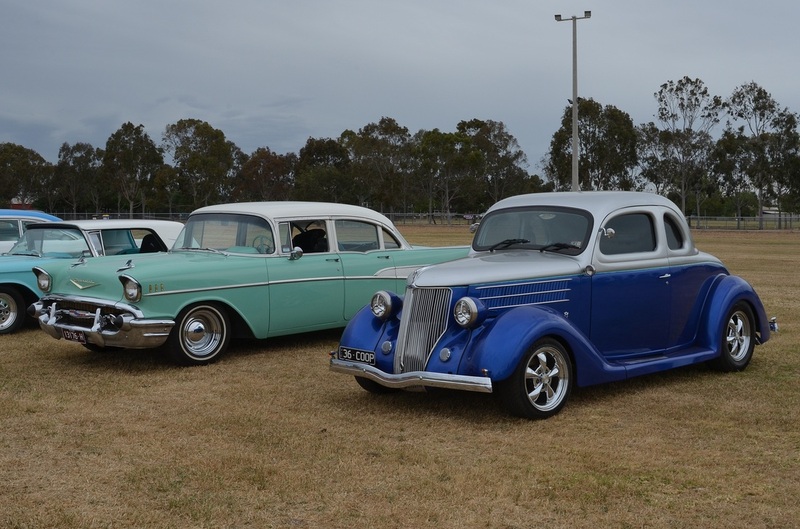 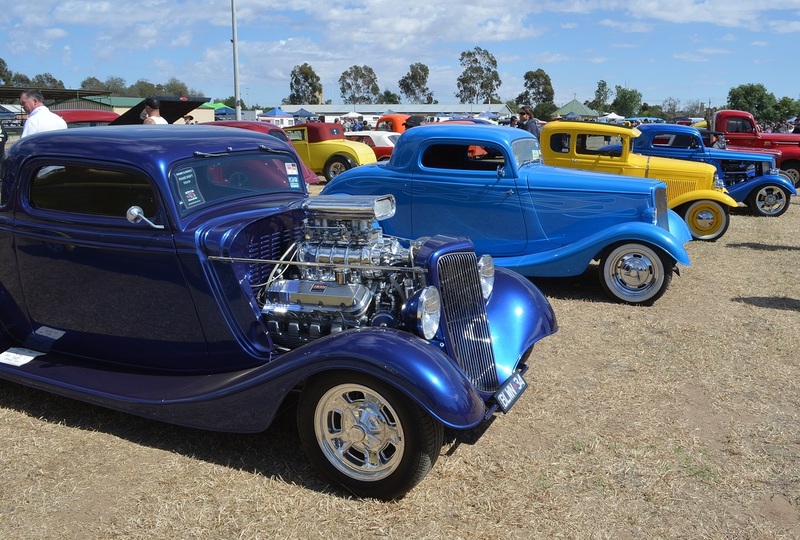 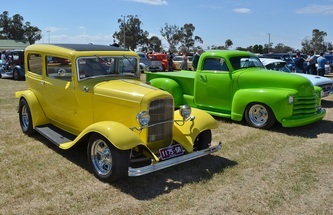 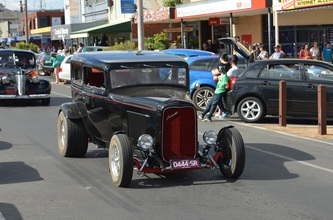 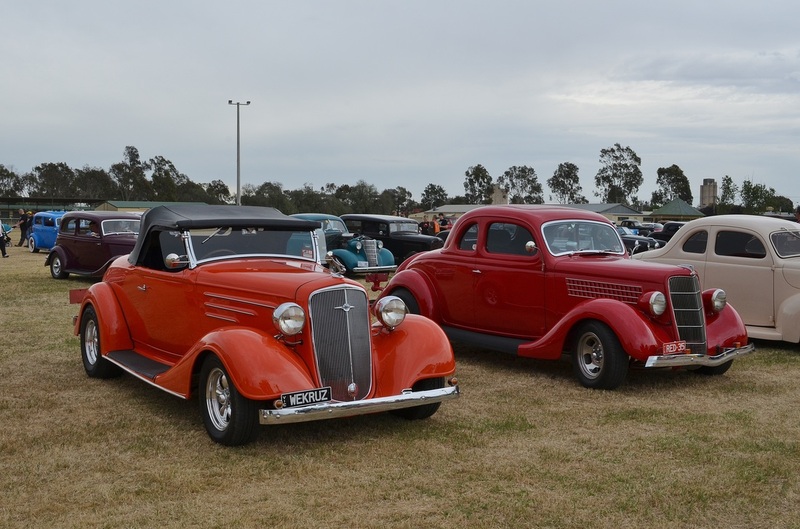 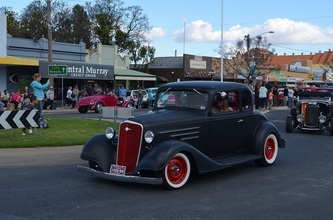 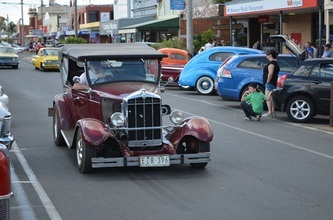 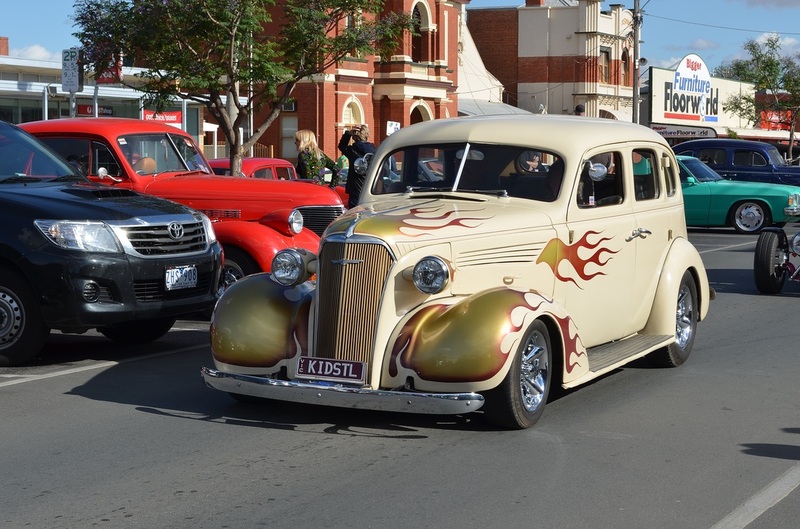 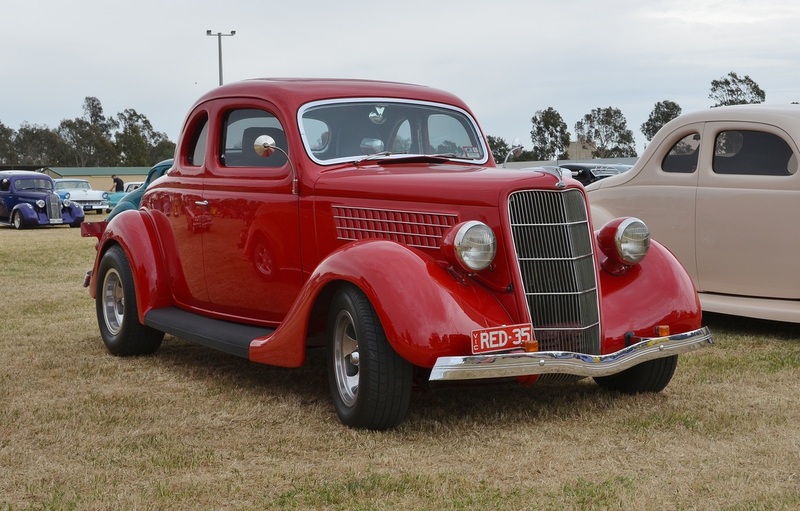 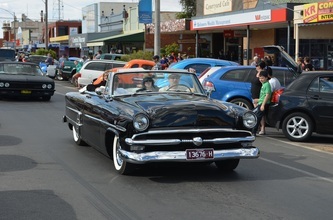 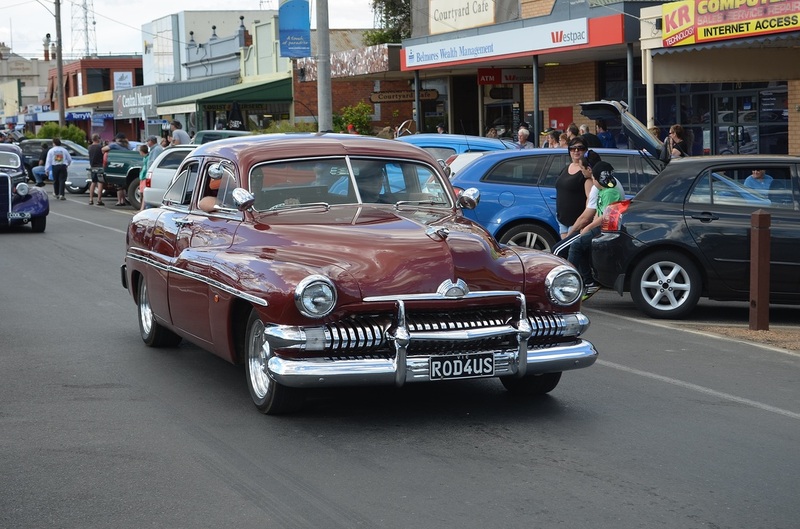 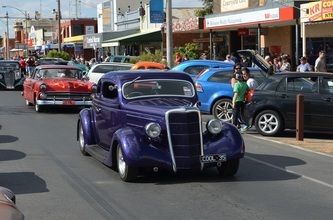 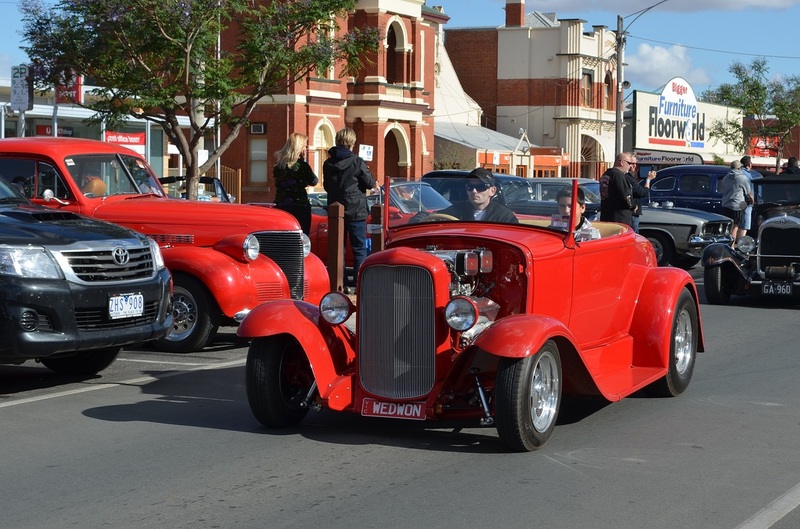 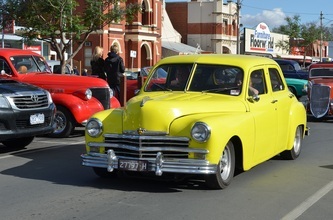 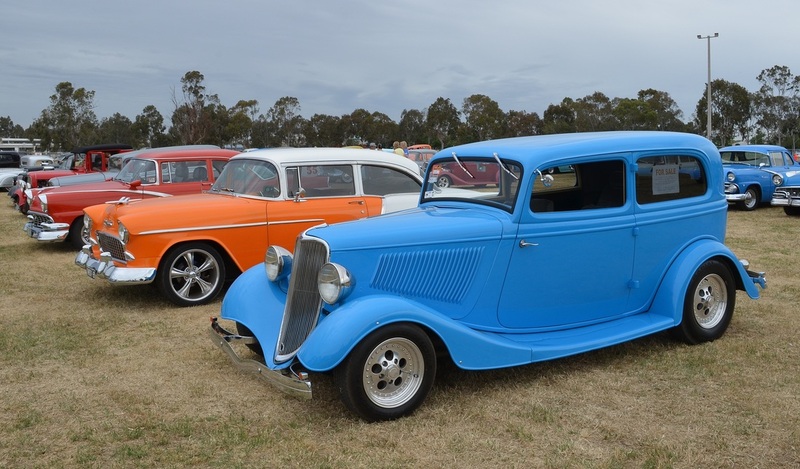 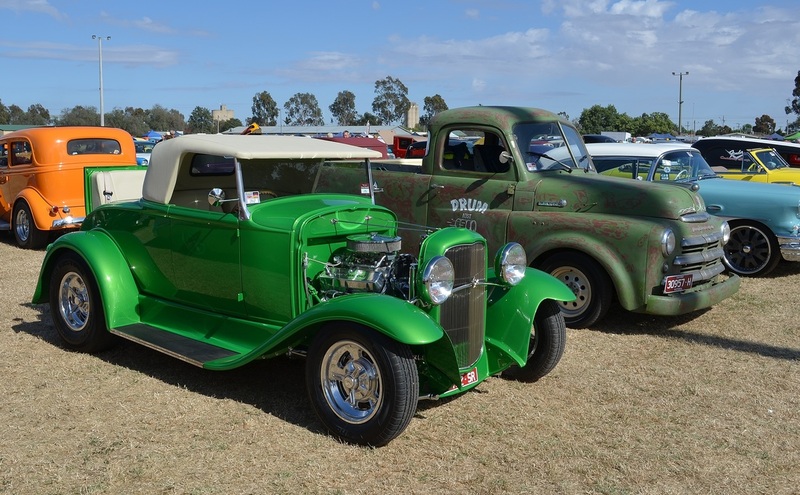 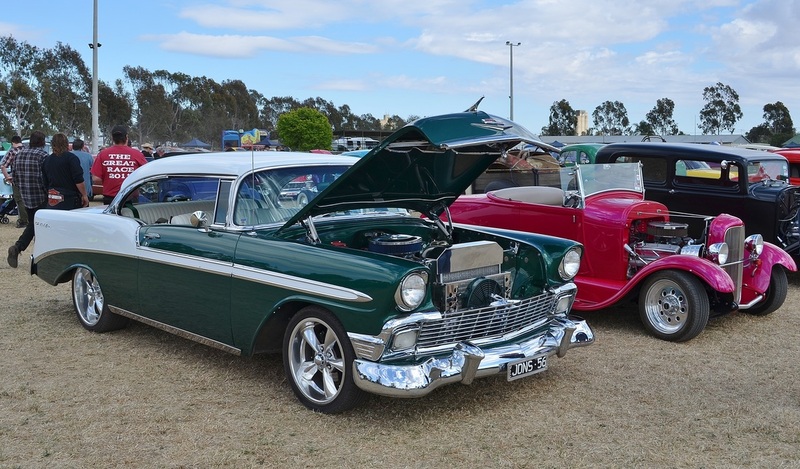 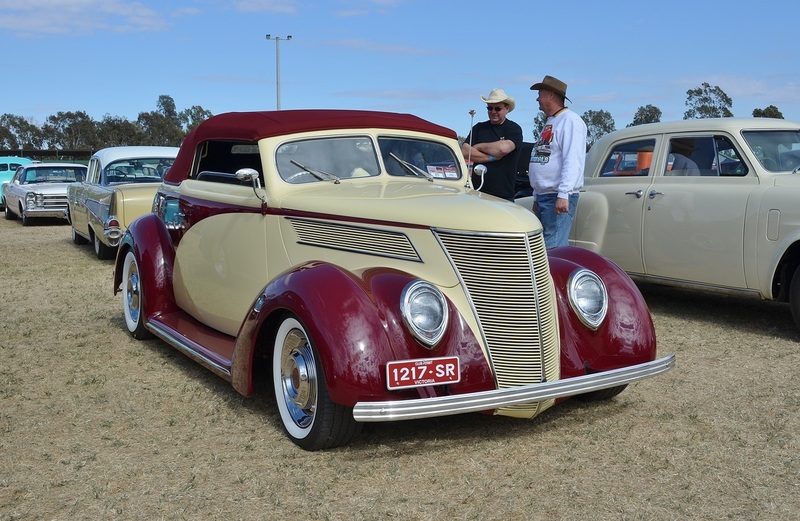 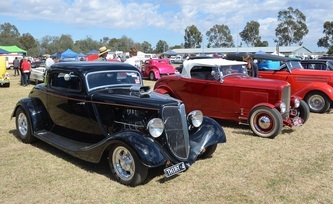 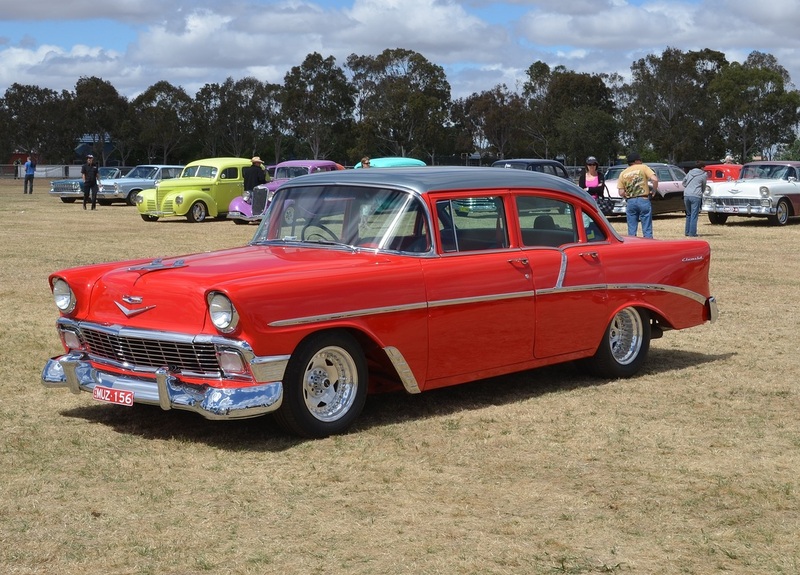 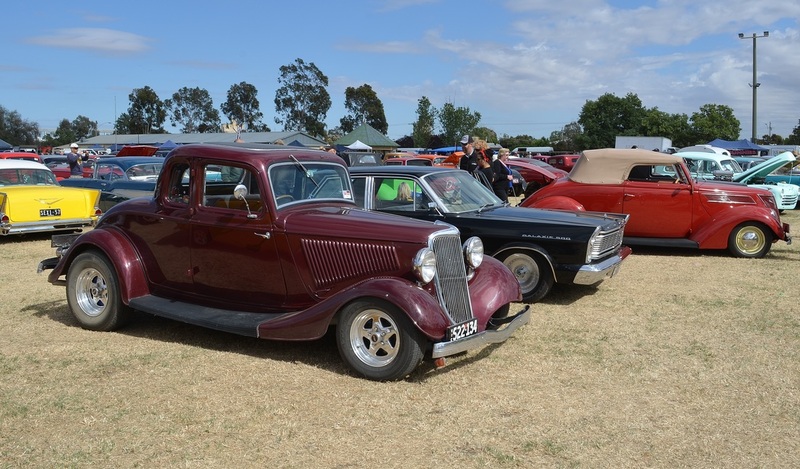 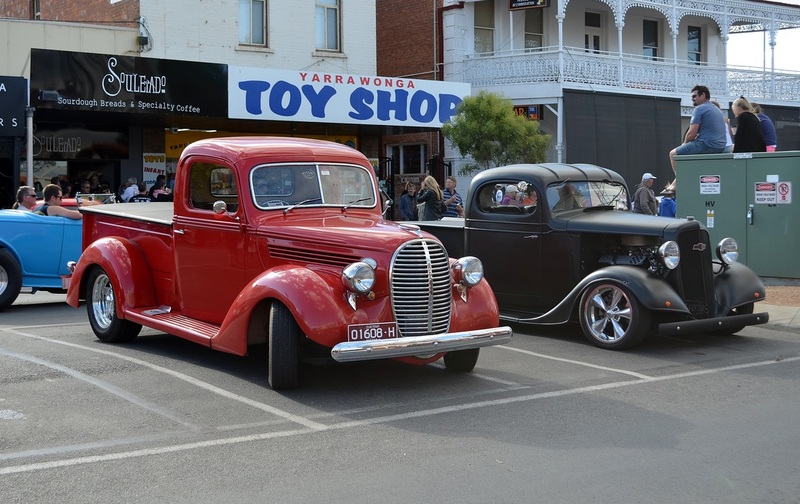 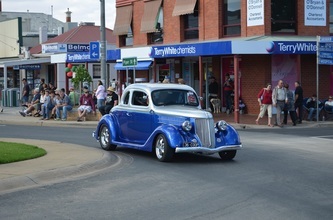 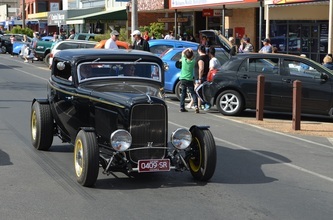 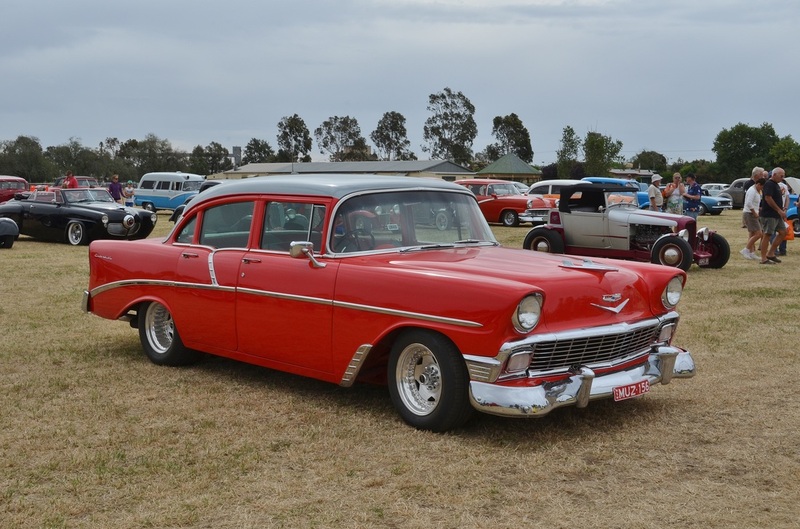 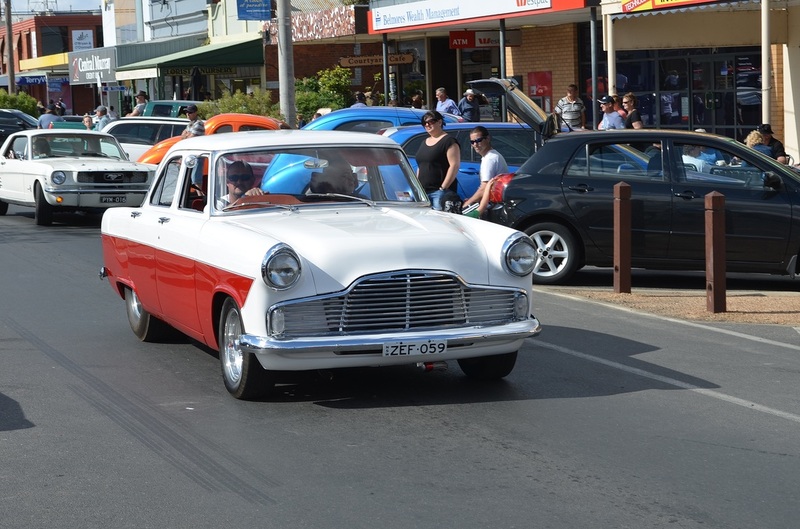 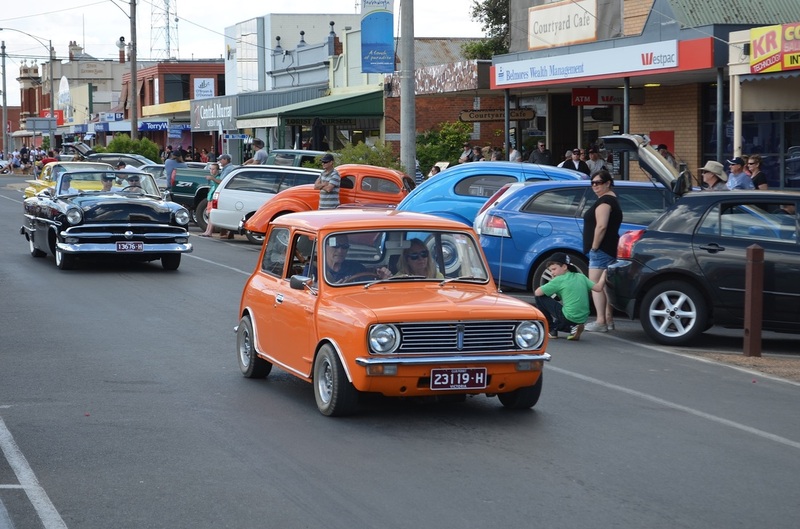 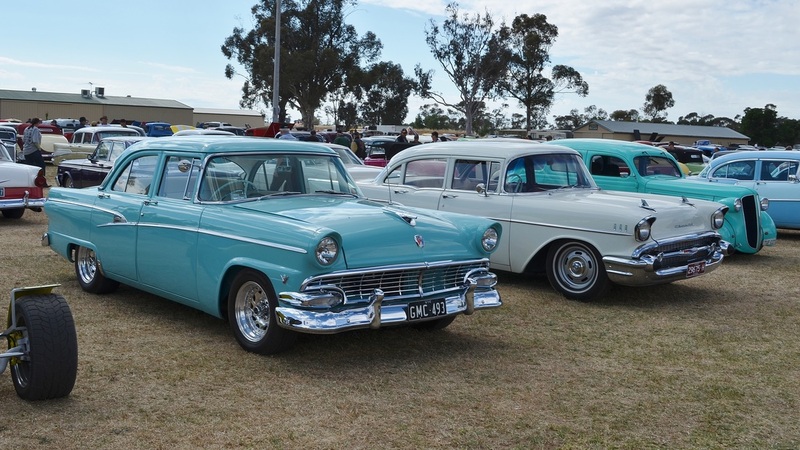 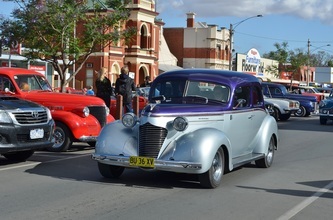 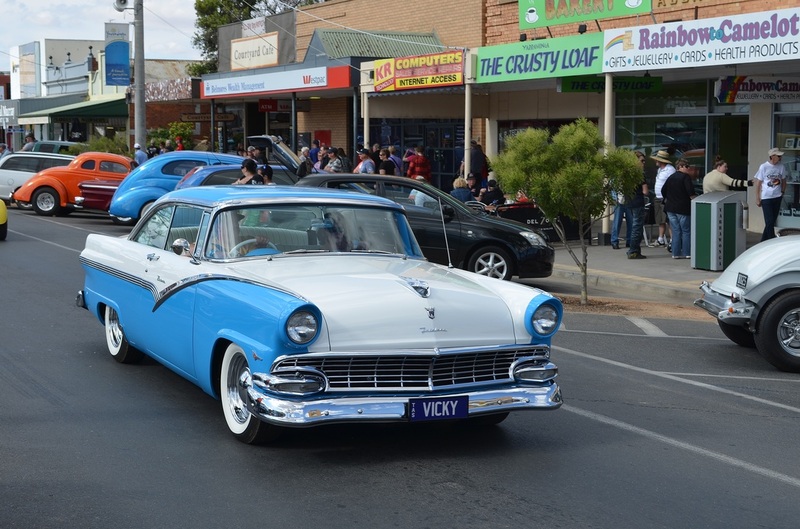 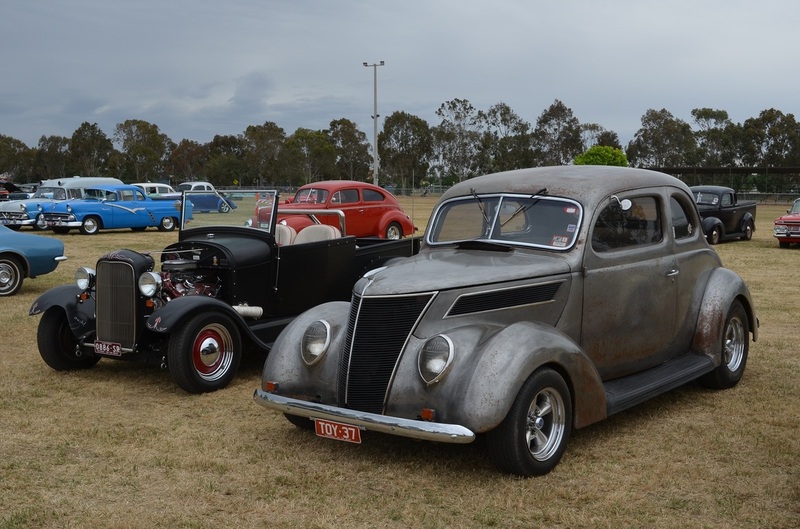 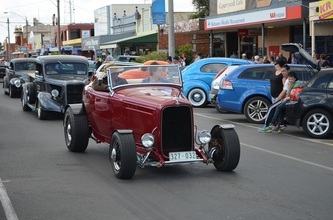 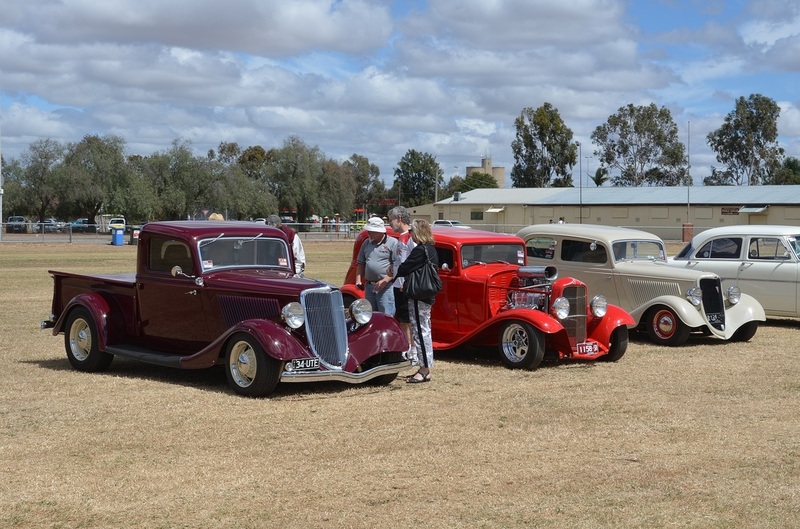 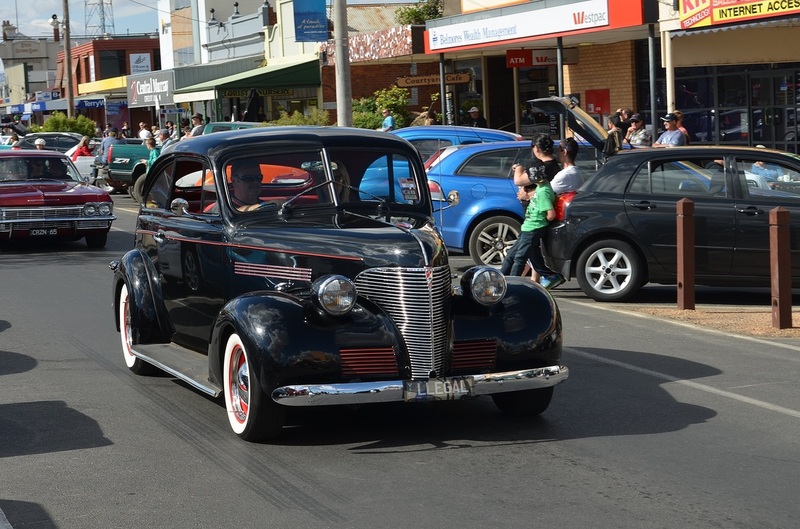 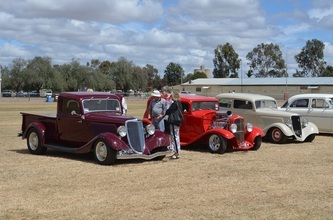 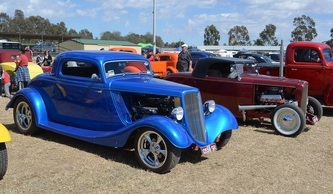 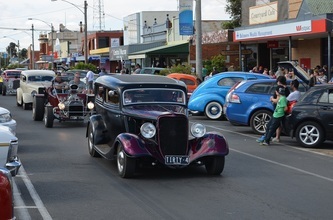 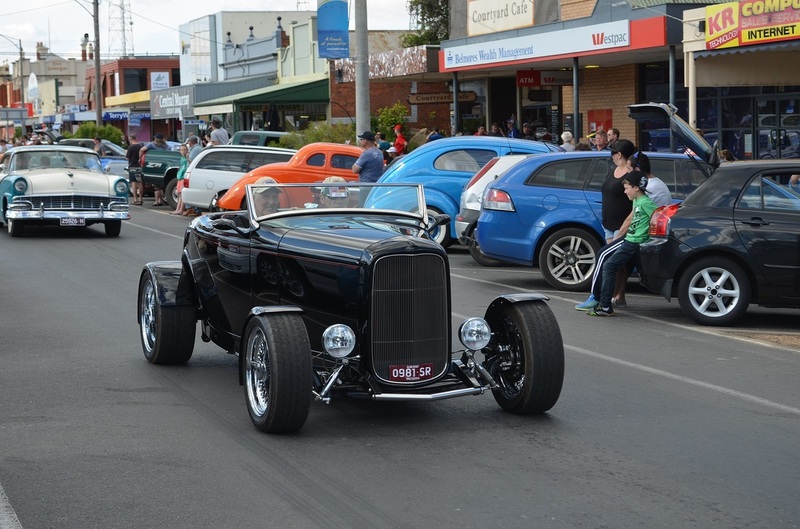 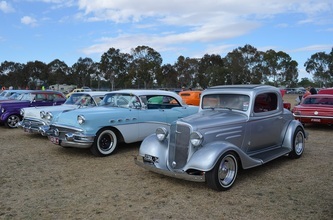 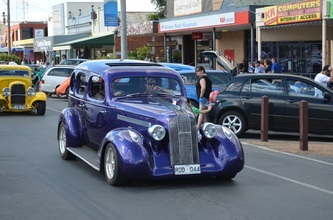 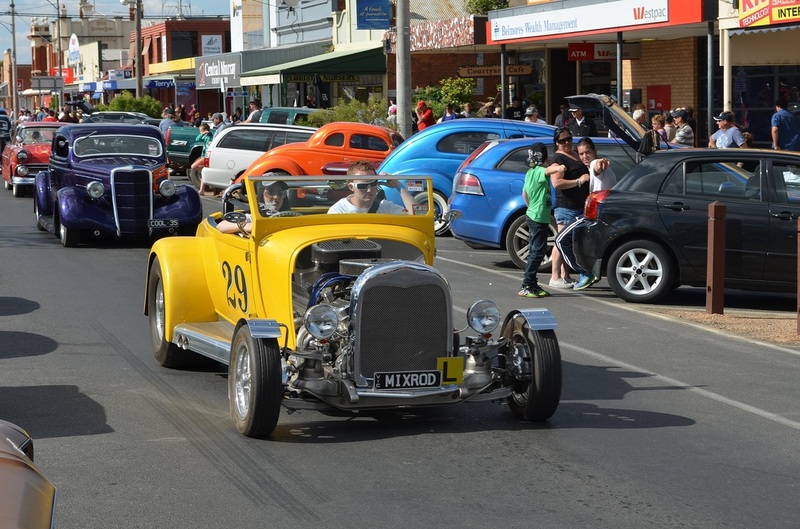 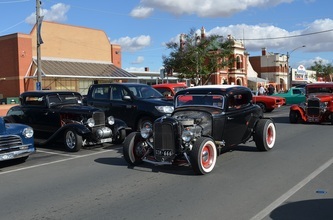 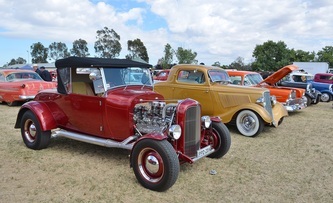 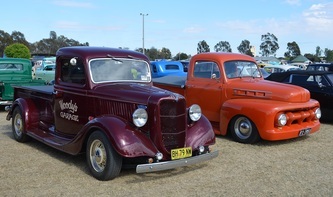 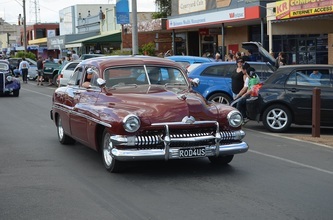 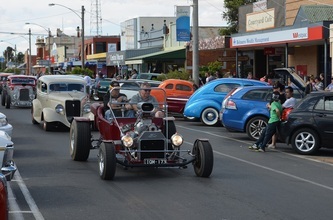 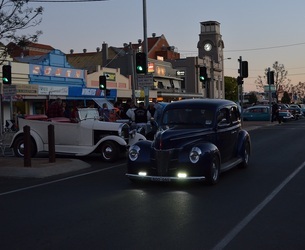 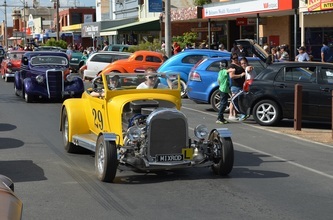 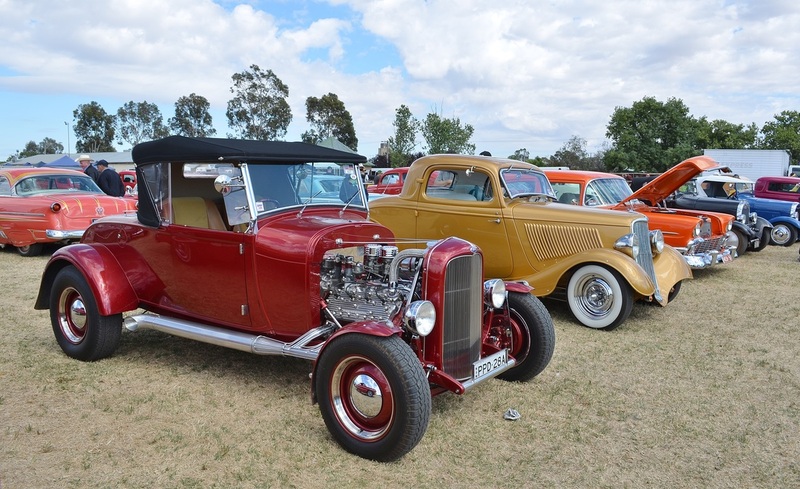 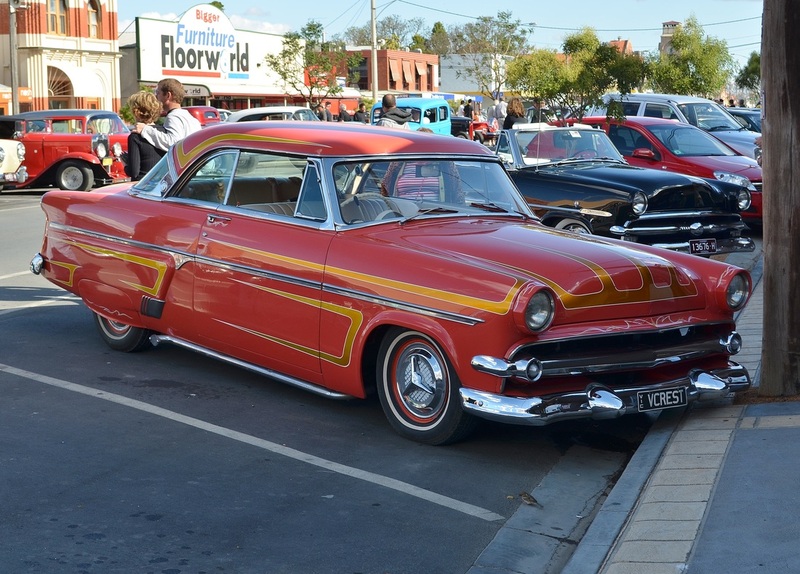 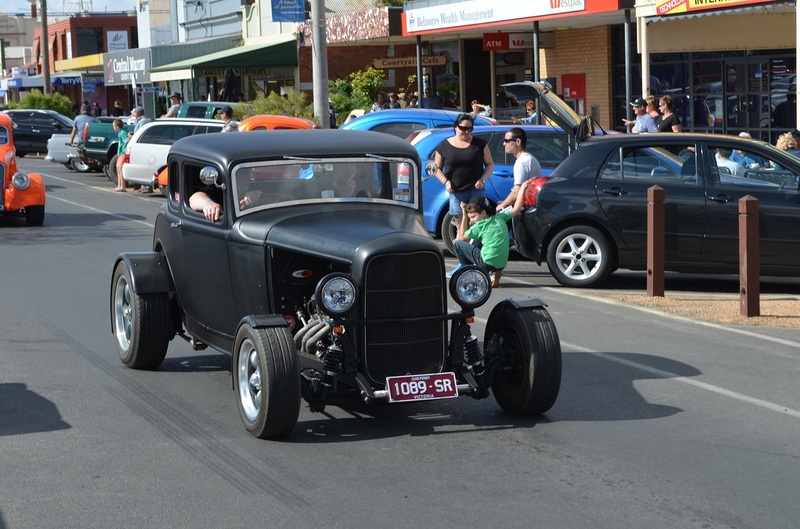 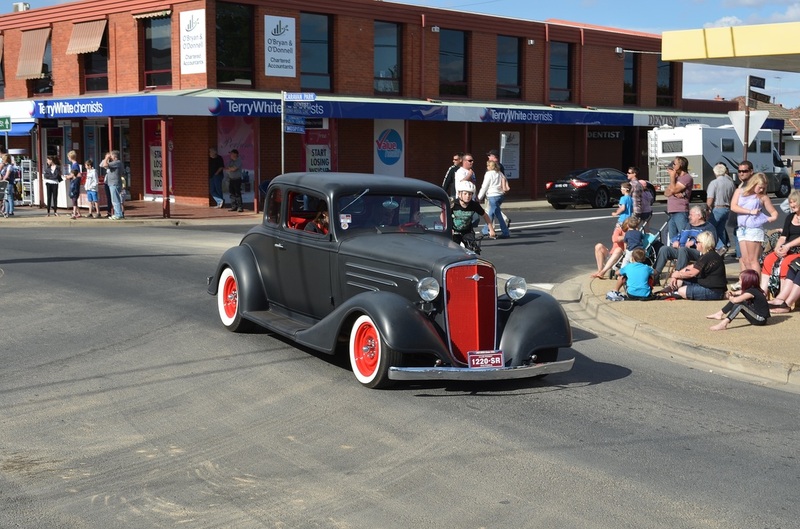 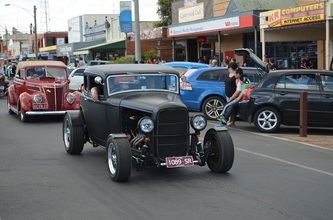 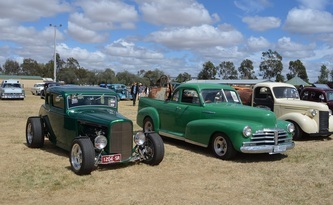 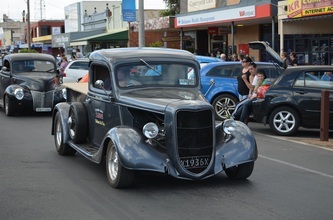 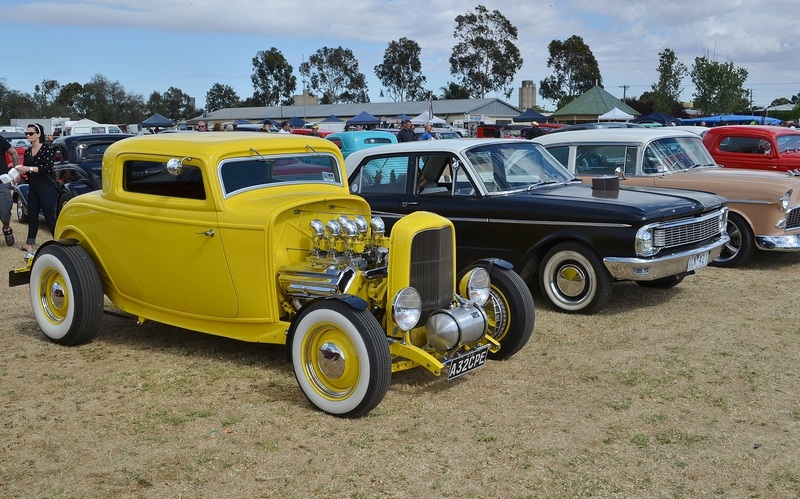 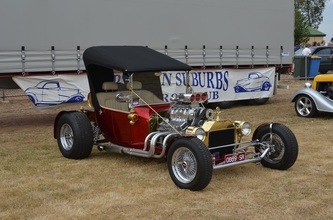 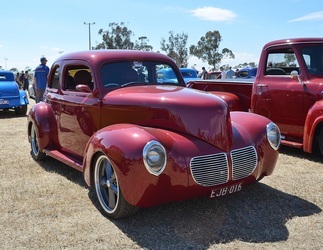 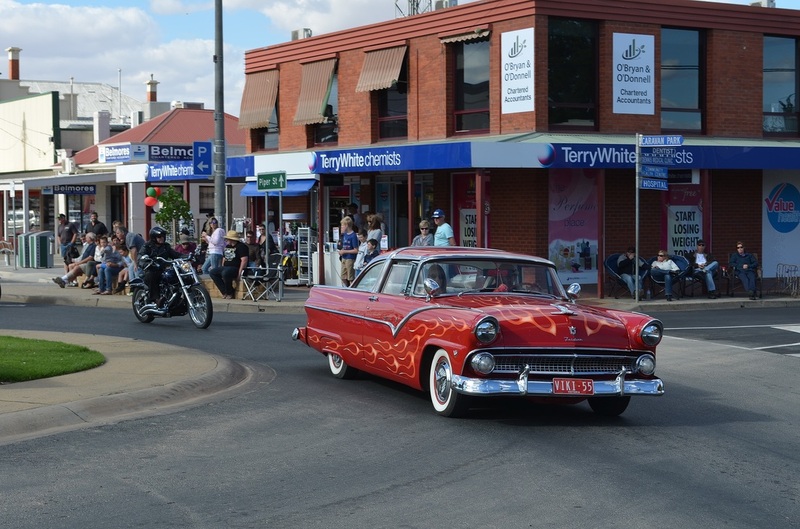 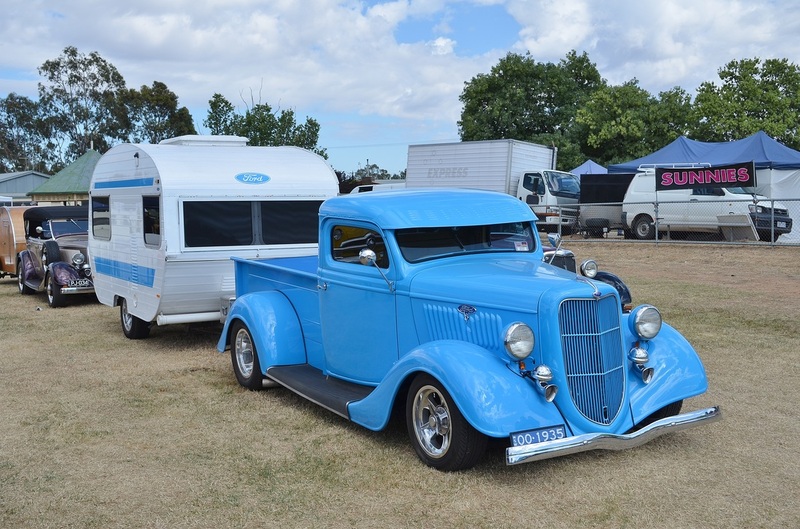 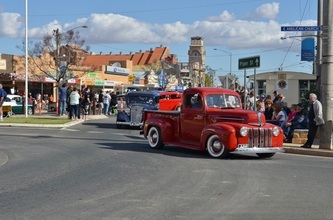 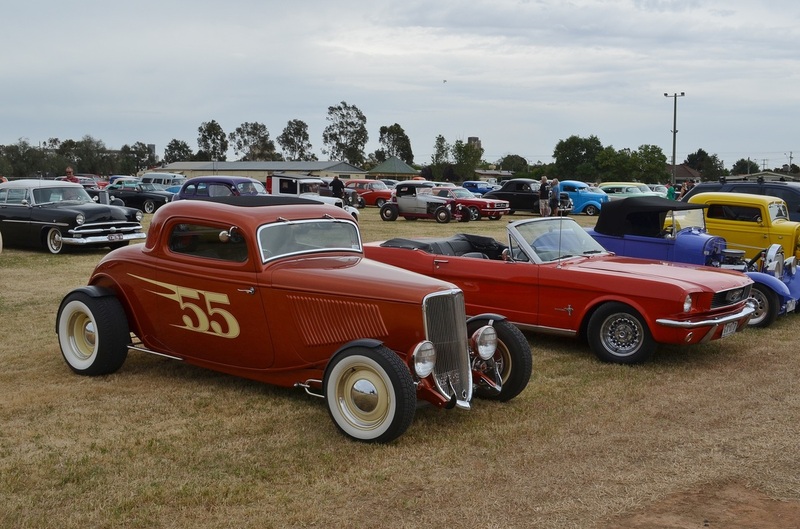 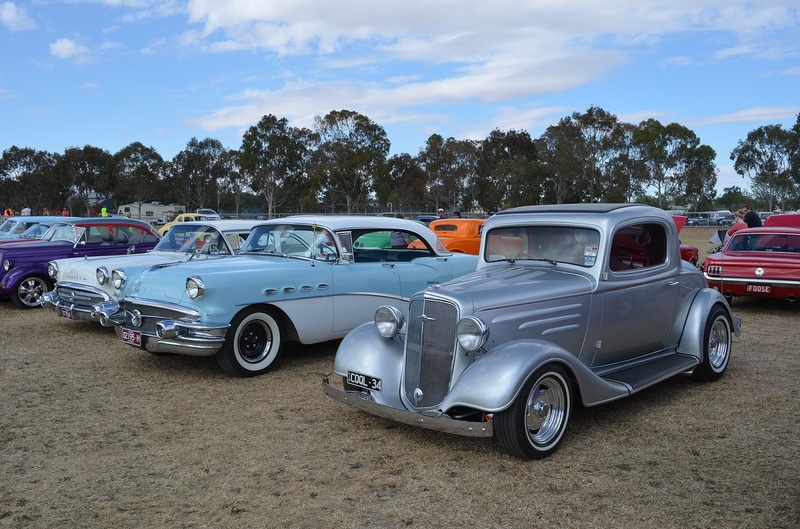 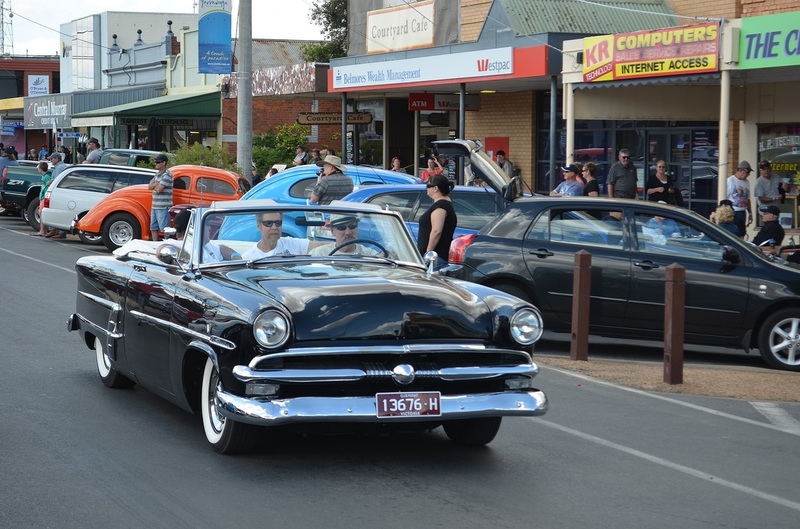 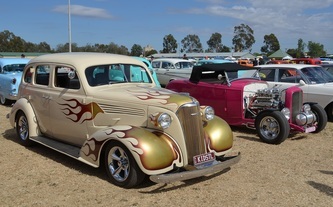 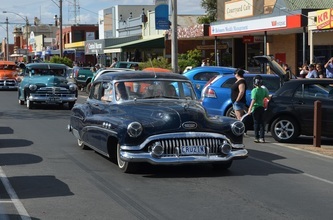 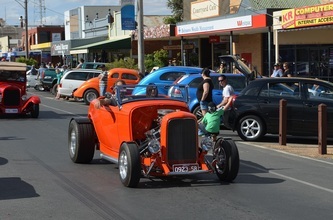 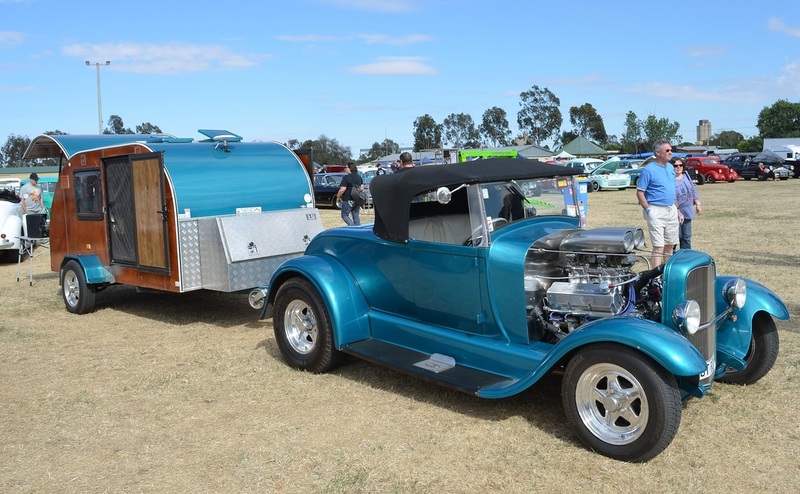 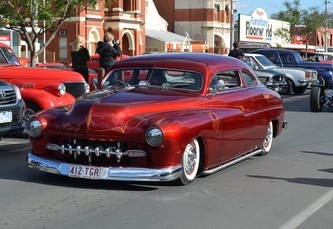 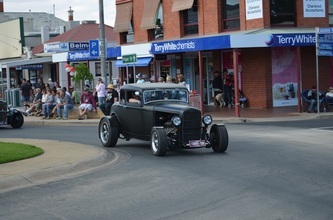 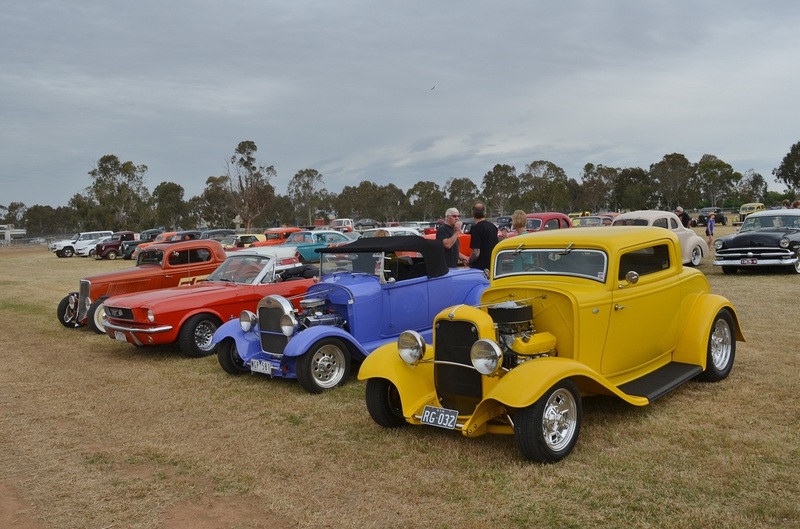 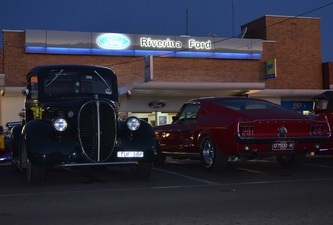 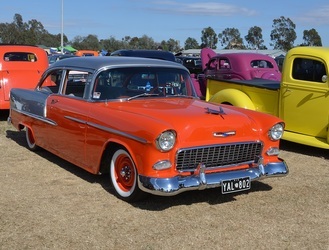 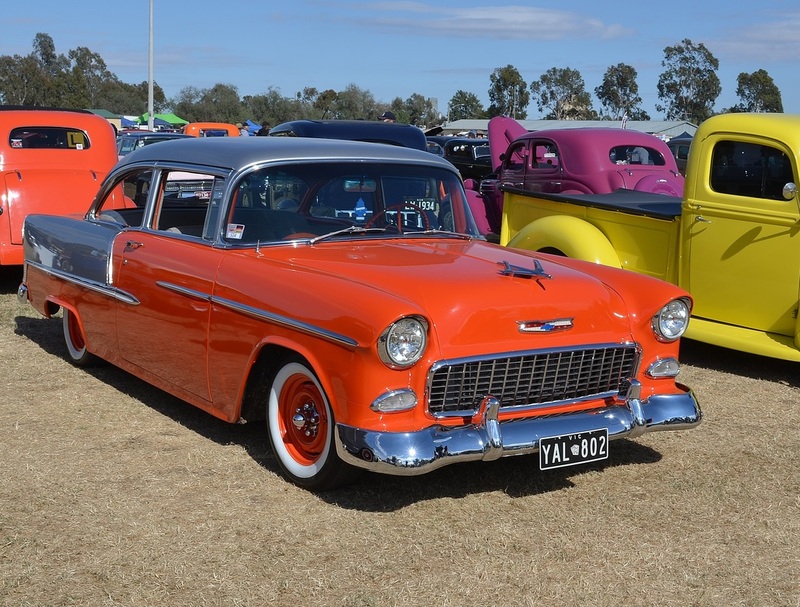 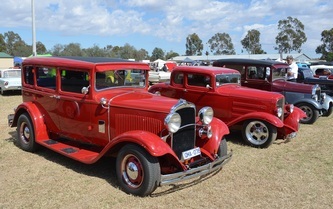 This year was the first Lake Mulwala Rod Run hosted by Northern Suburbs Street Rodders. 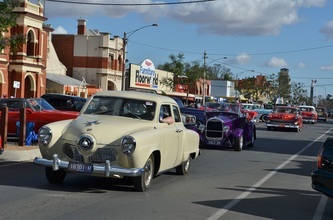 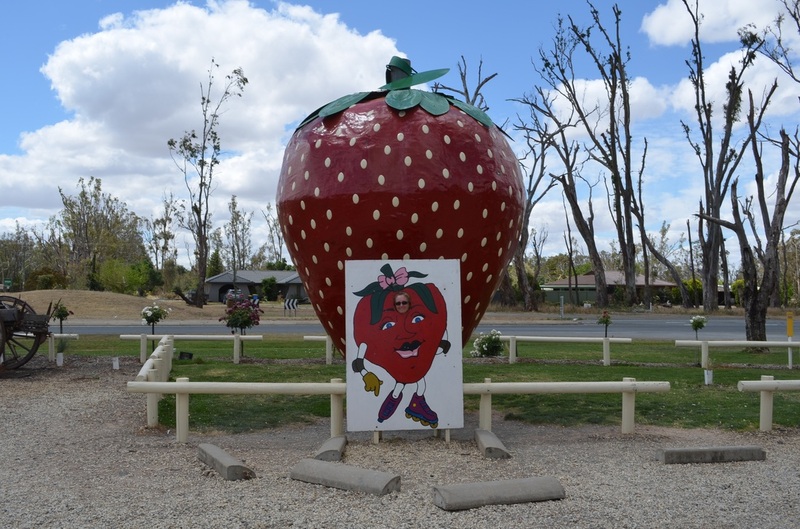 The run was taken from Bright to Yarrawonga by the organisers due to the spiralling cost of accommodation at Bright. What a great success it was with 850 entrants, a far greater number than Bright and in a much larger town which could handle the increased number of people. 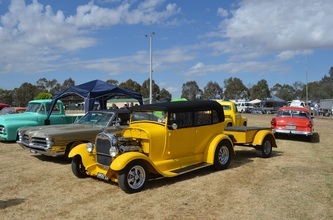 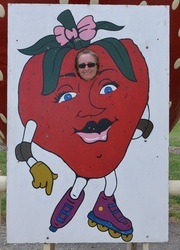 The weekend started with registrations at the Showground on Friday afternoon followed by a Sausage Sizzle that night. 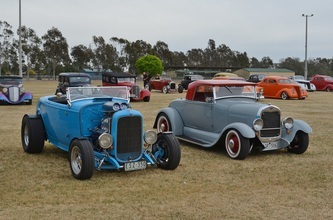 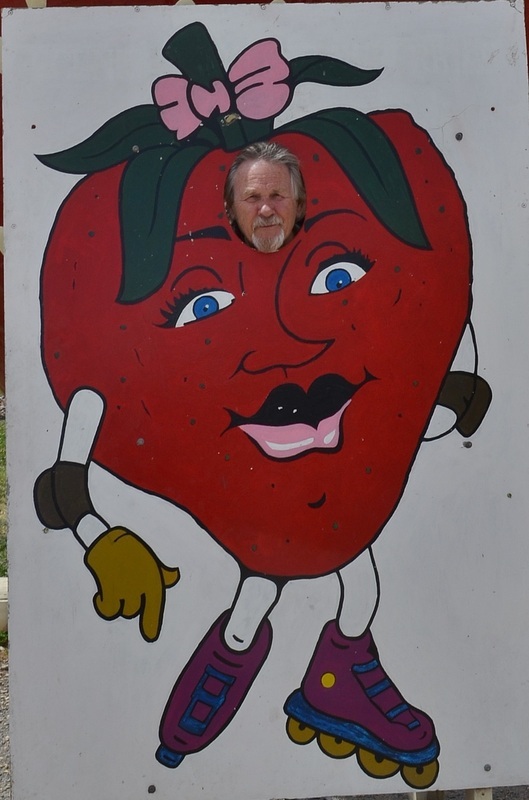 Saturday morning there were more registrations and a 95klm poker run which saw a great number of rodders visiting an olive farm, winery, strawberry farm and museum. 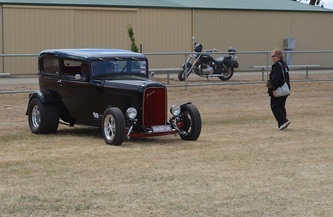 In the afternoon they had driving events which were unfortunately cut short due to an accident. The street cruise went from 4pm to 10pm and Dinner was at a local club that night. 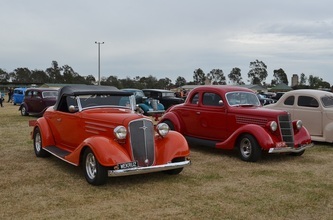 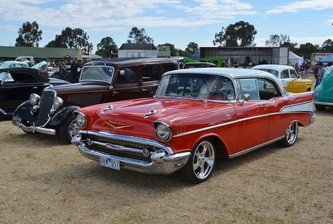 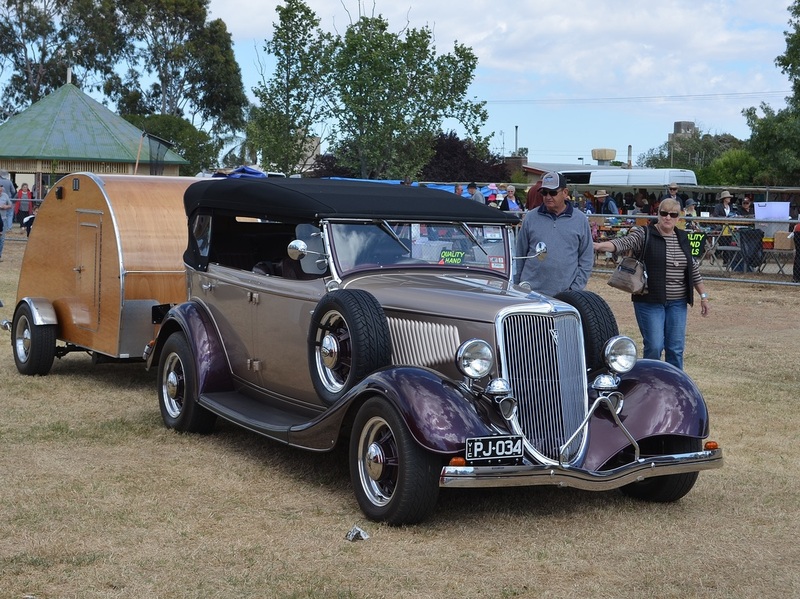 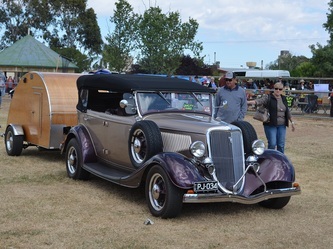 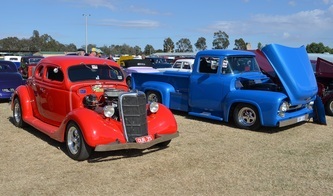 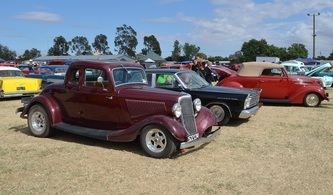 There was a great breakfast at the show ground on the Sunday followed by the Show and Shine and presentation. 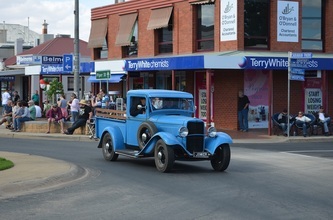 A few teething problems which will be addressed before next year however this is a much better town to hold such a huge event and well done to all the organisers and workers.